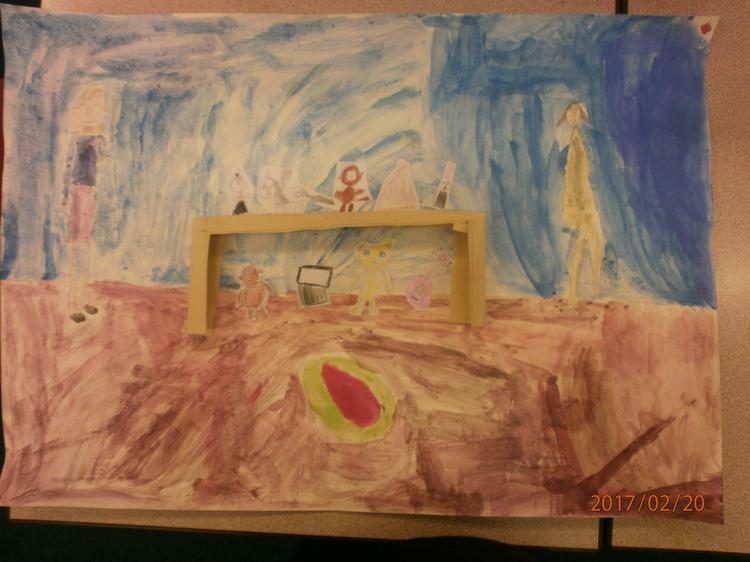 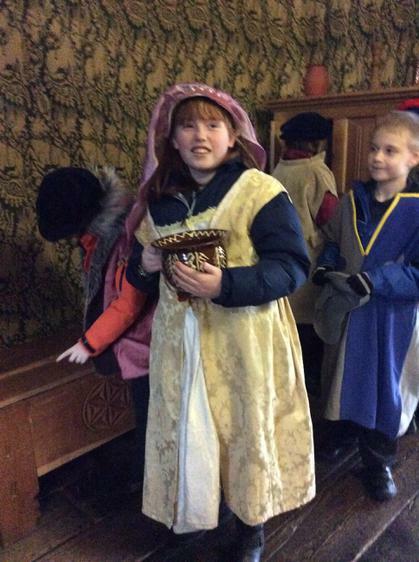 What a fantastic start to our topic about The Tudors! 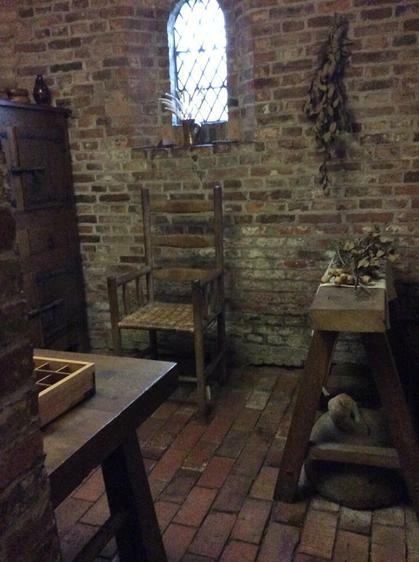 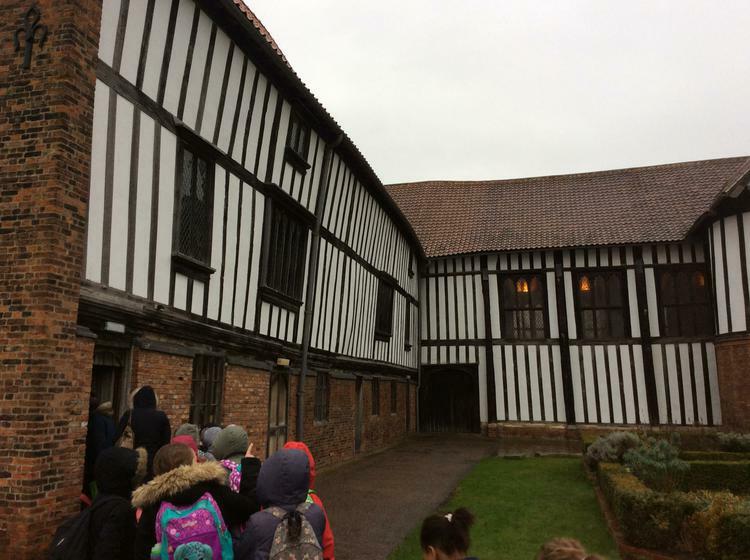 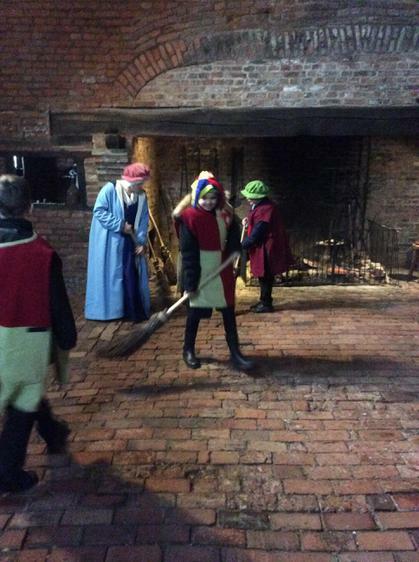 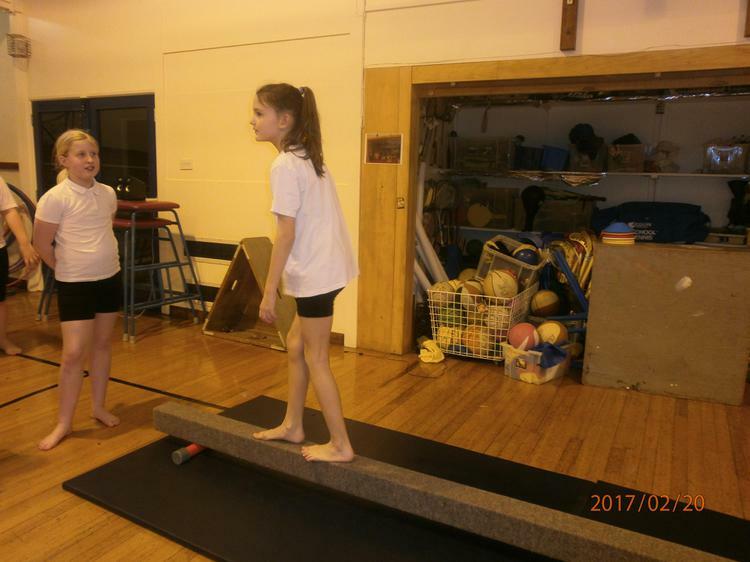 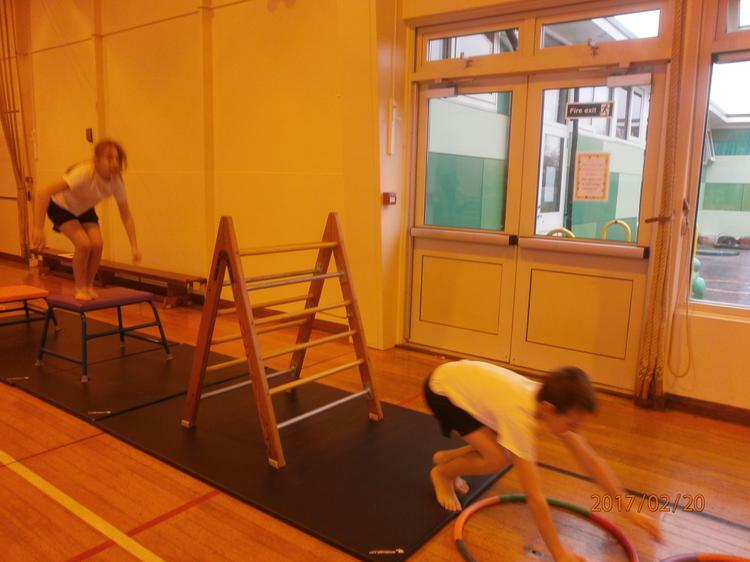 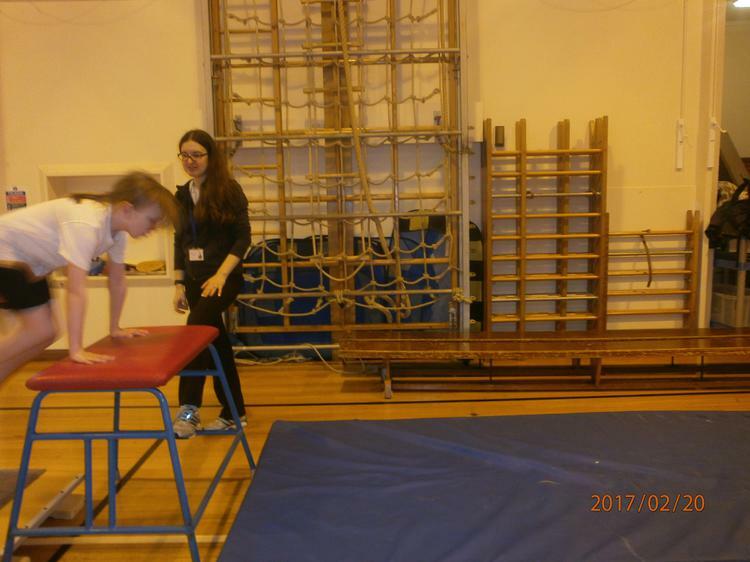 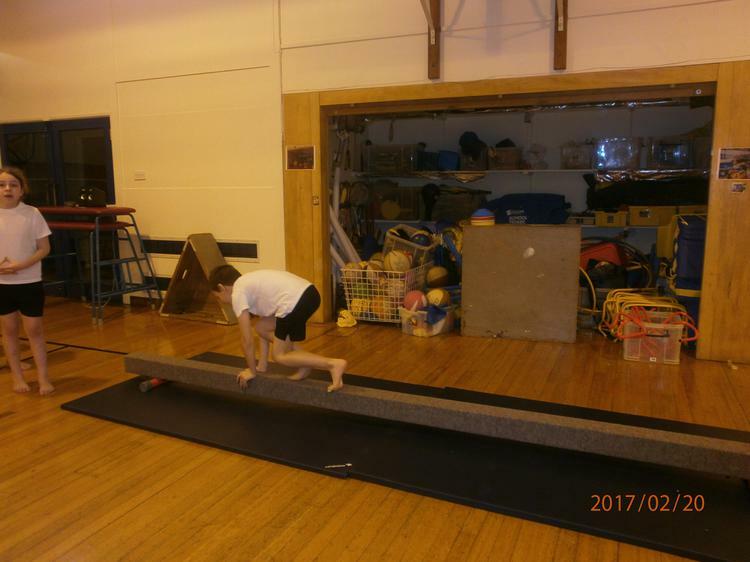 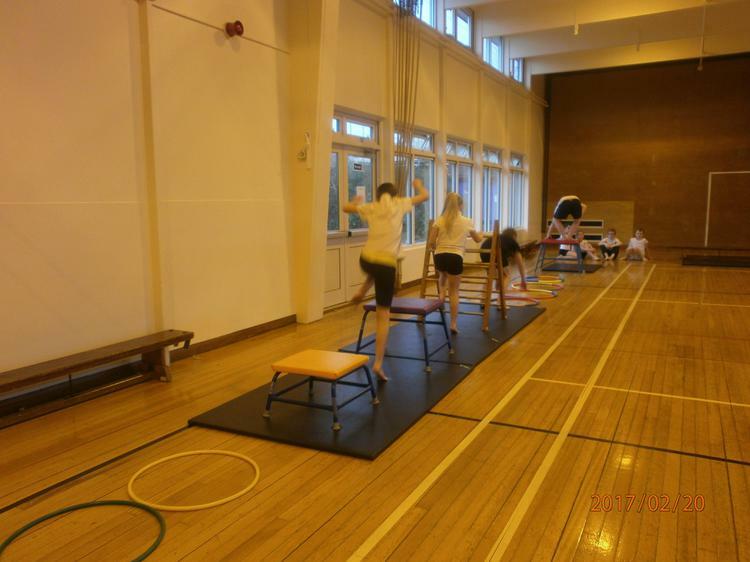 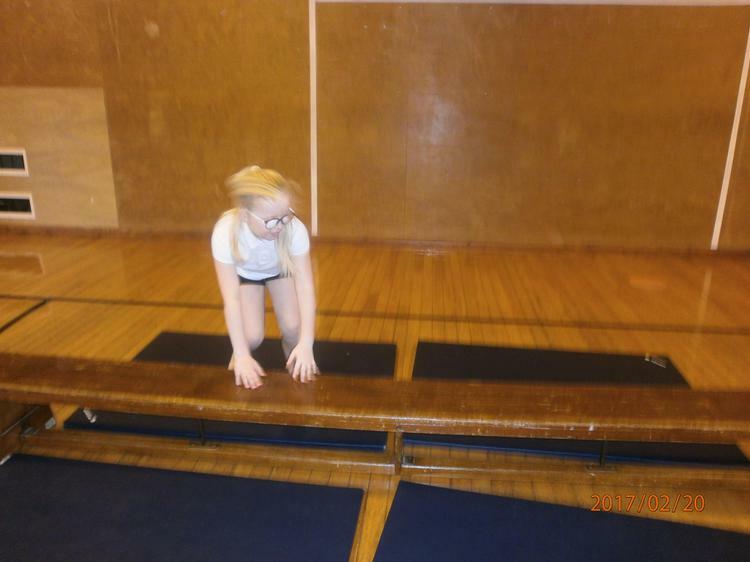 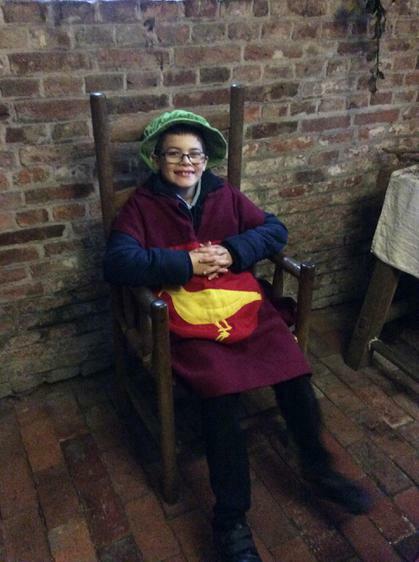 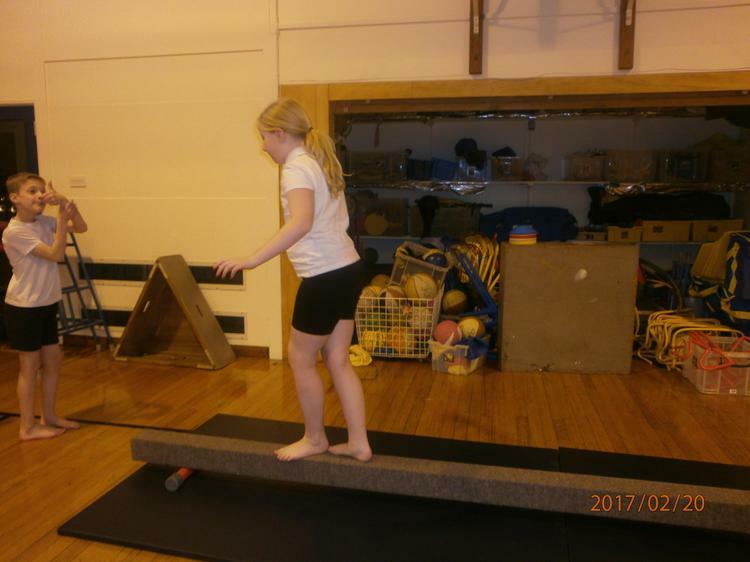 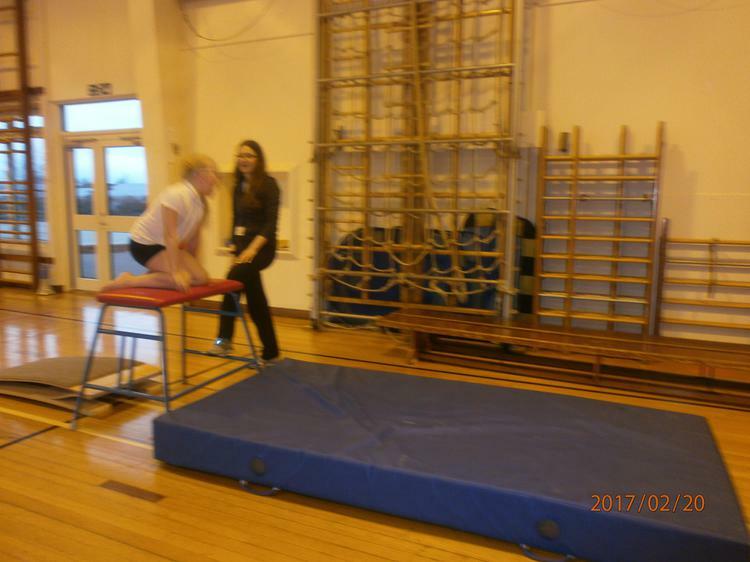 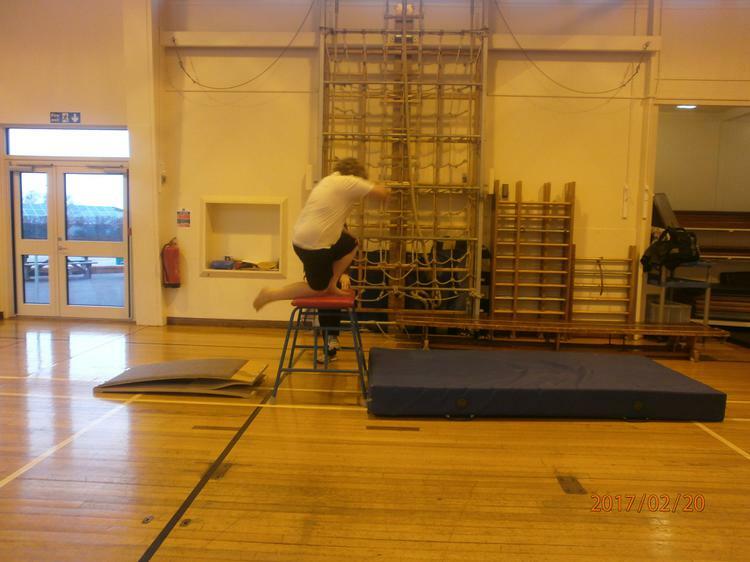 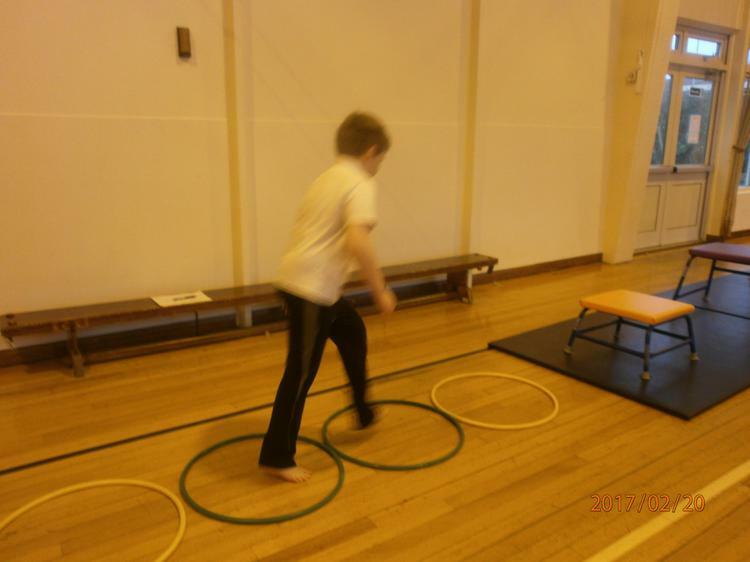 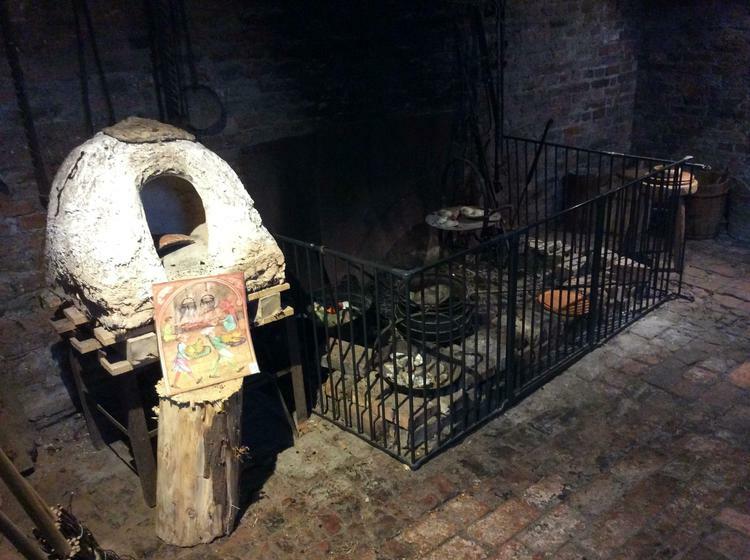 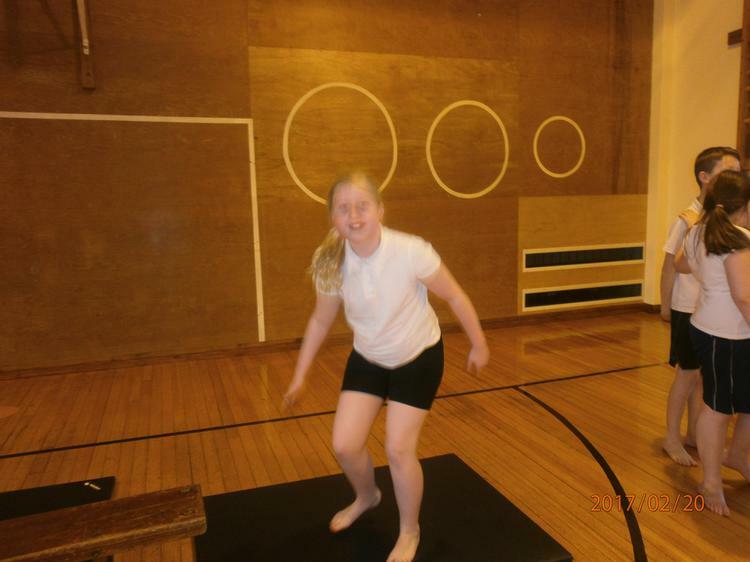 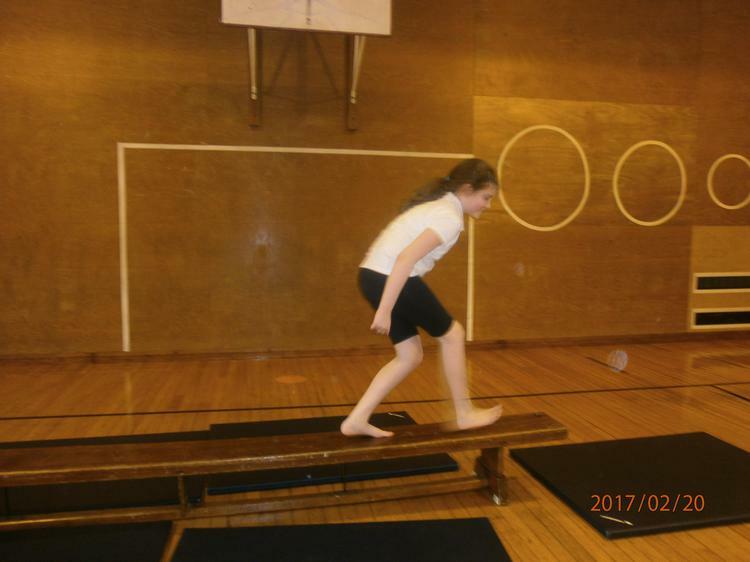 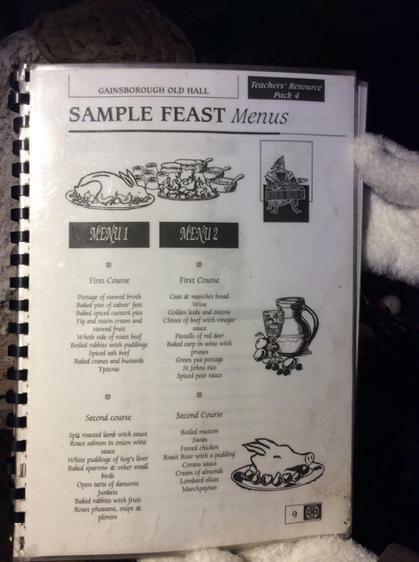 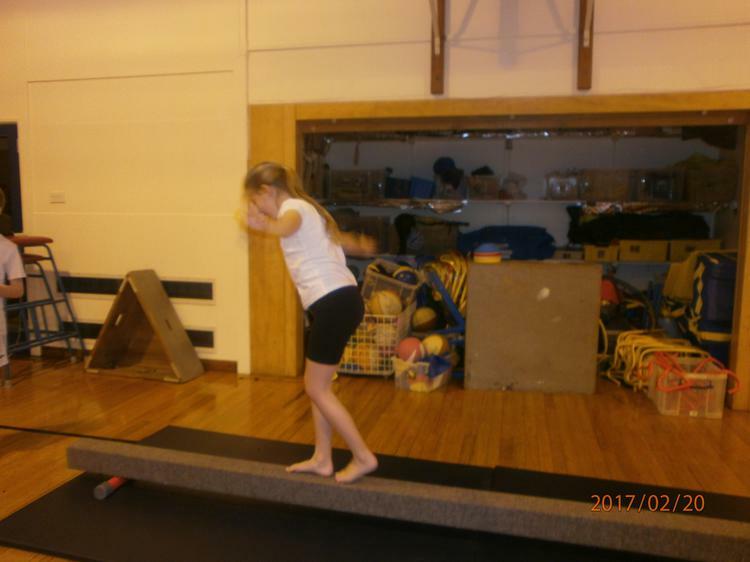 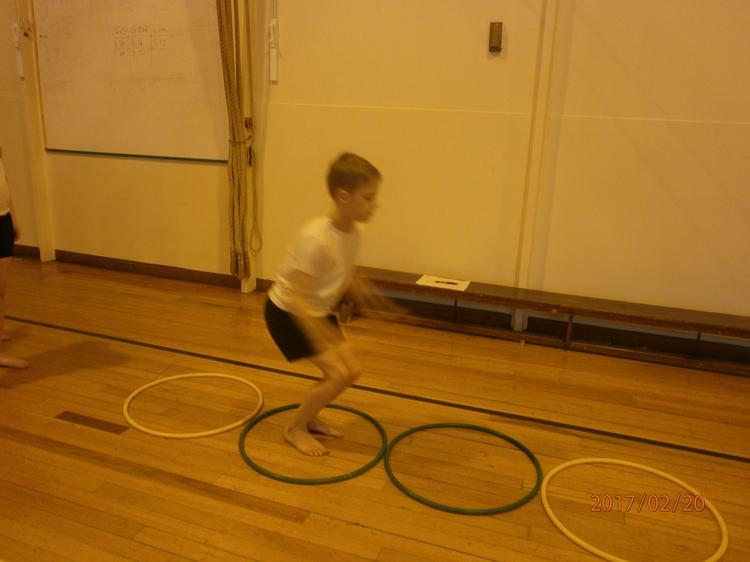 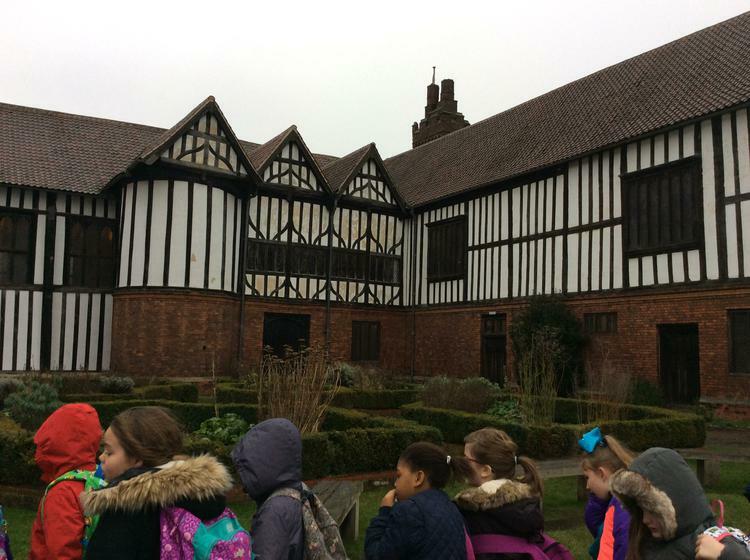 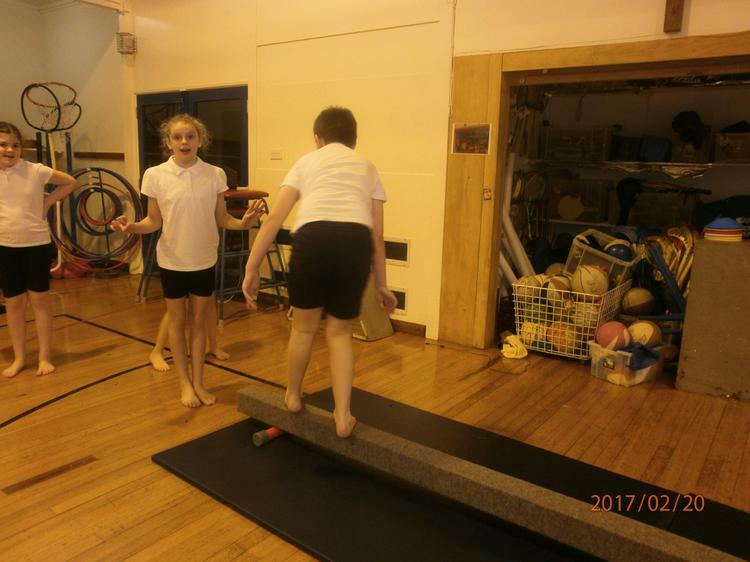 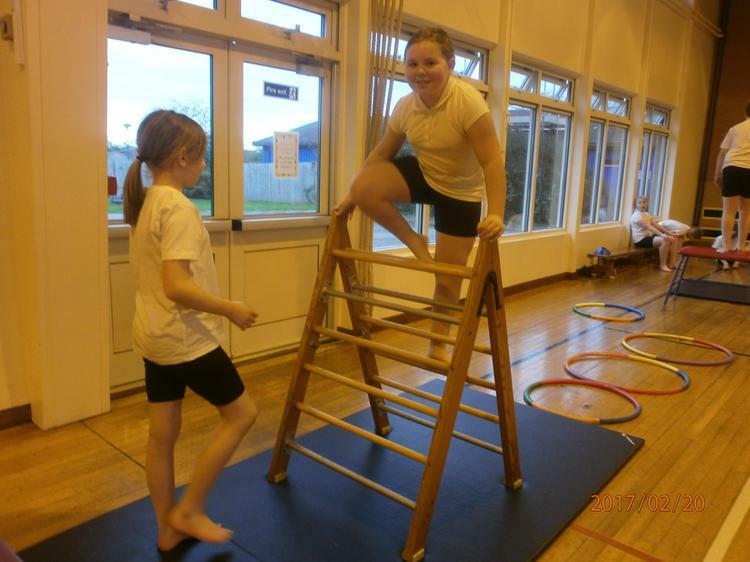 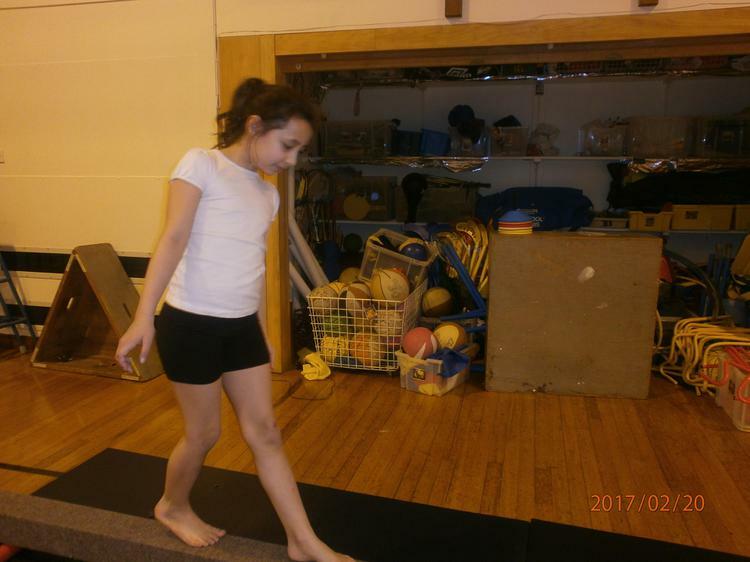 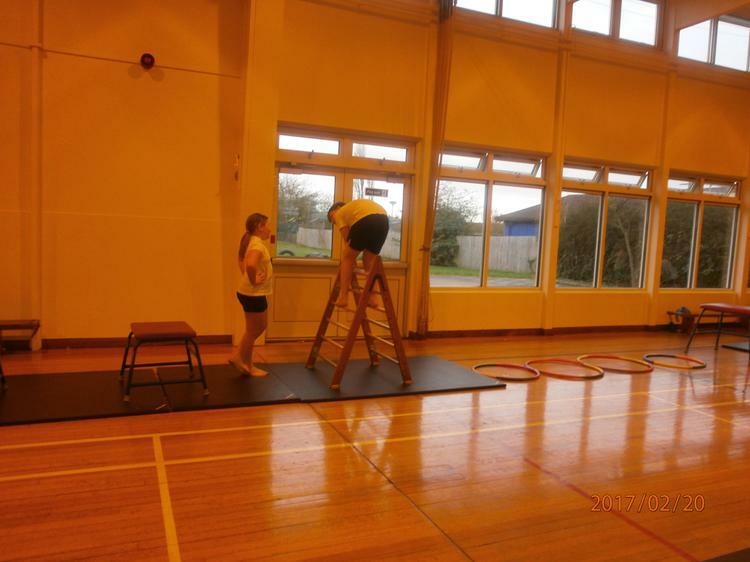 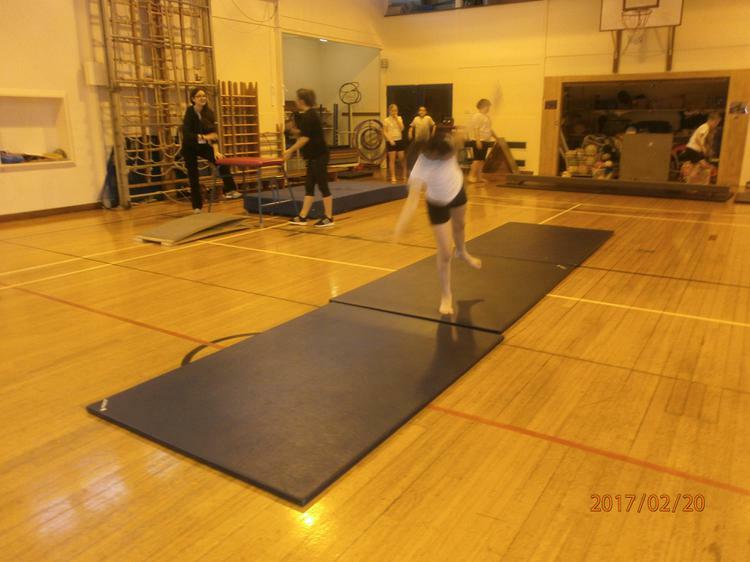 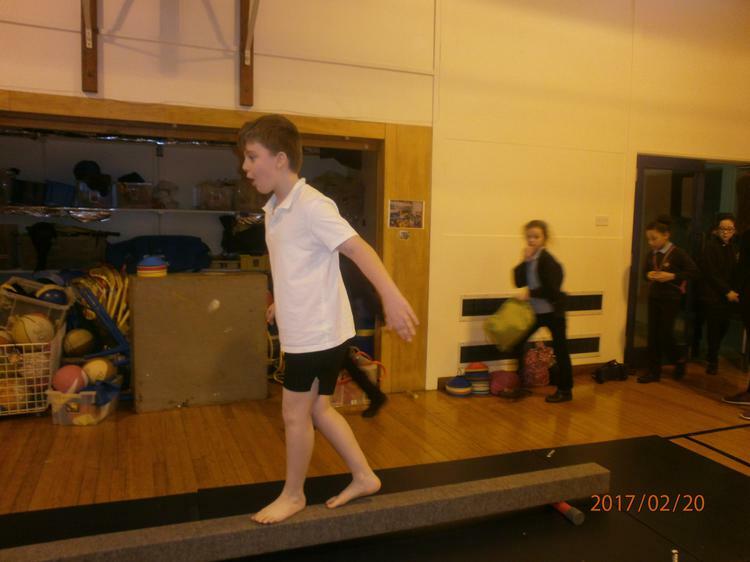 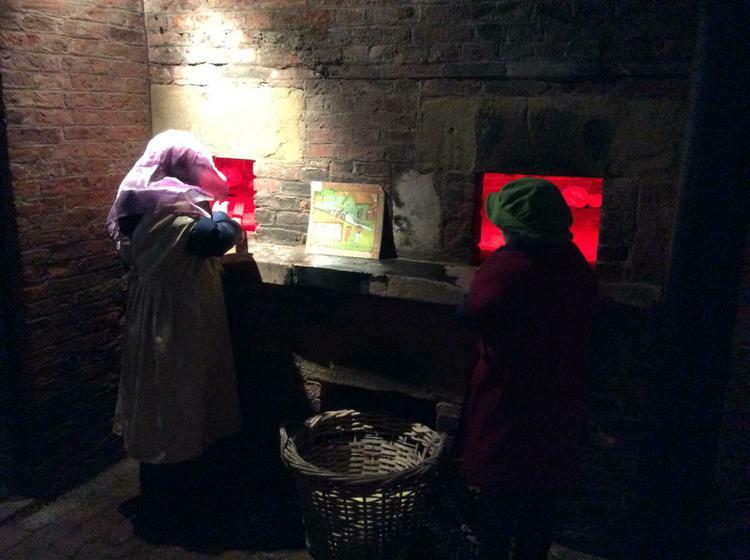 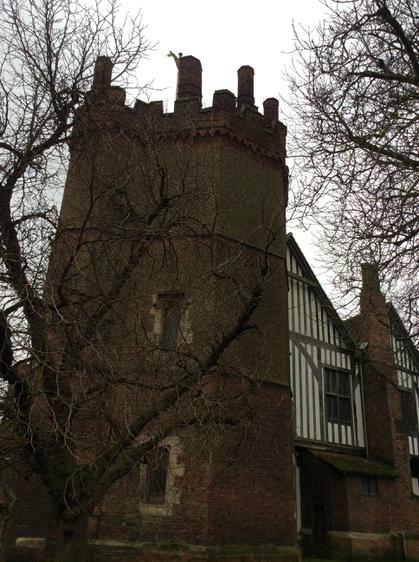 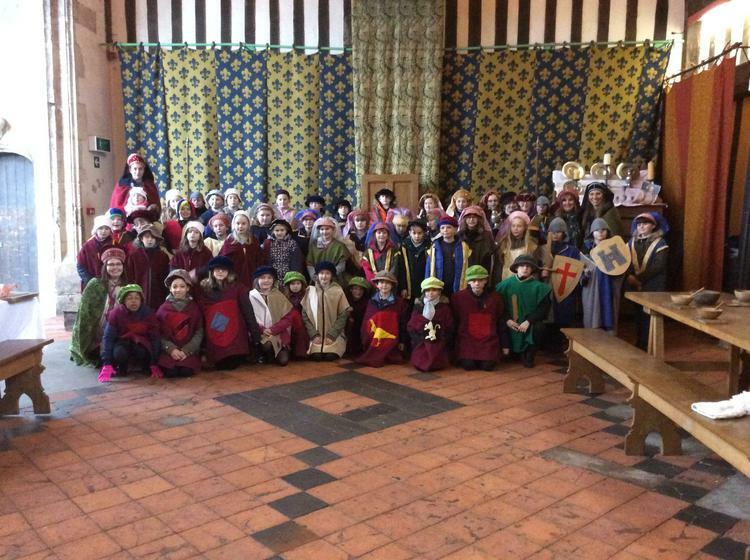 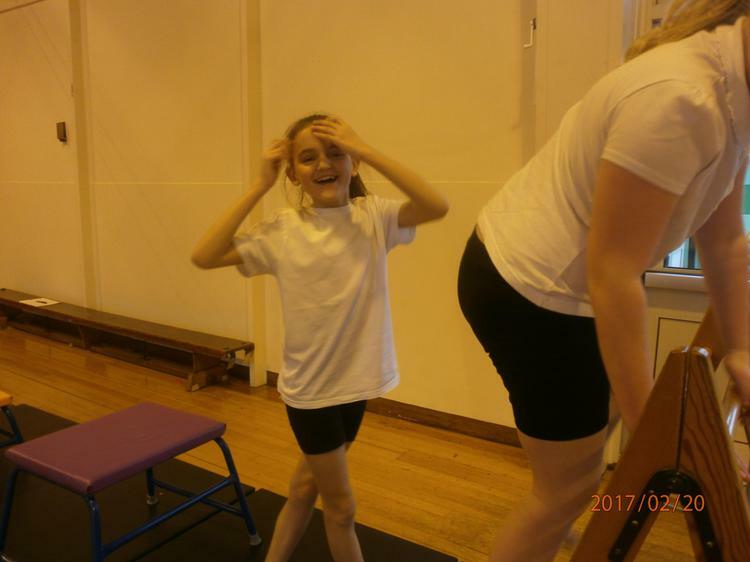 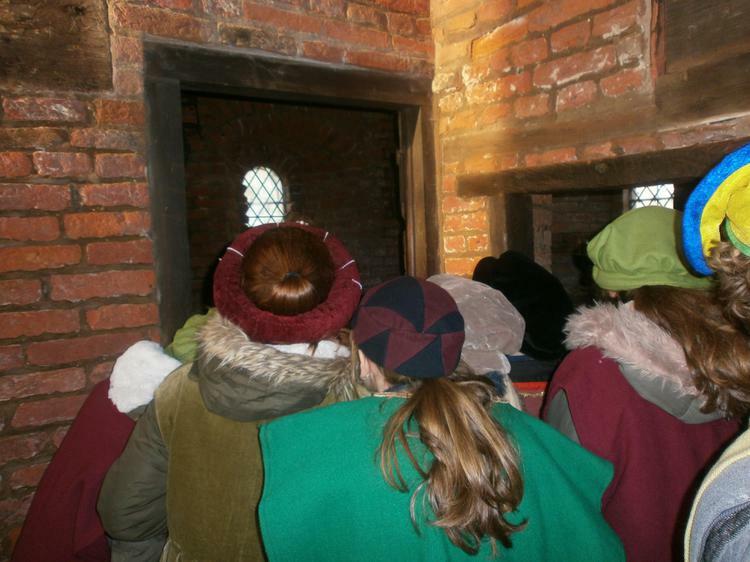 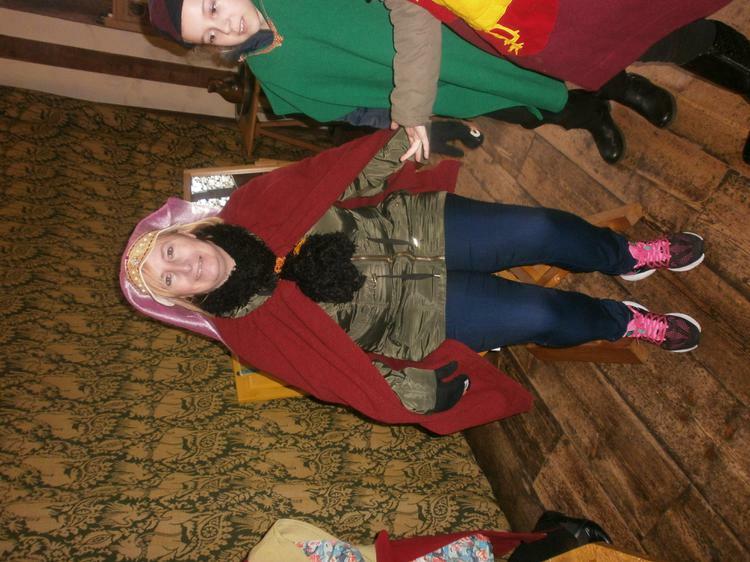 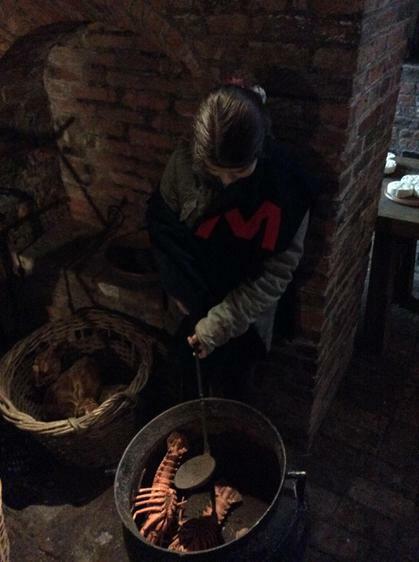 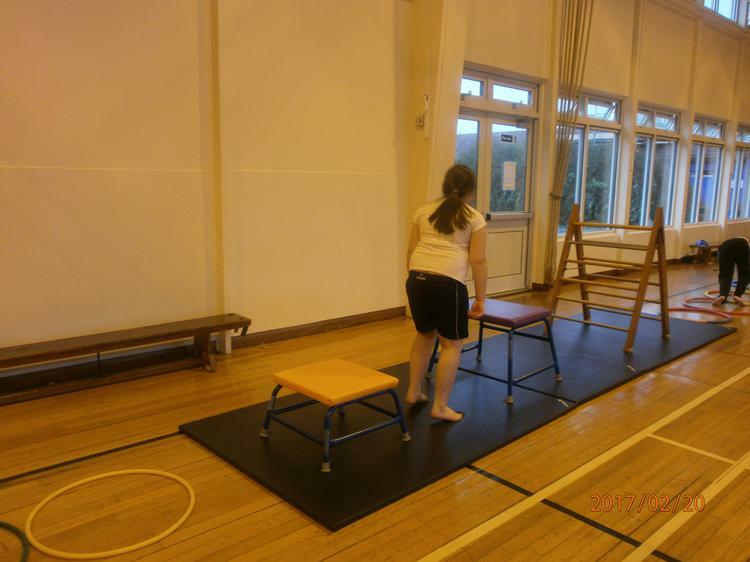 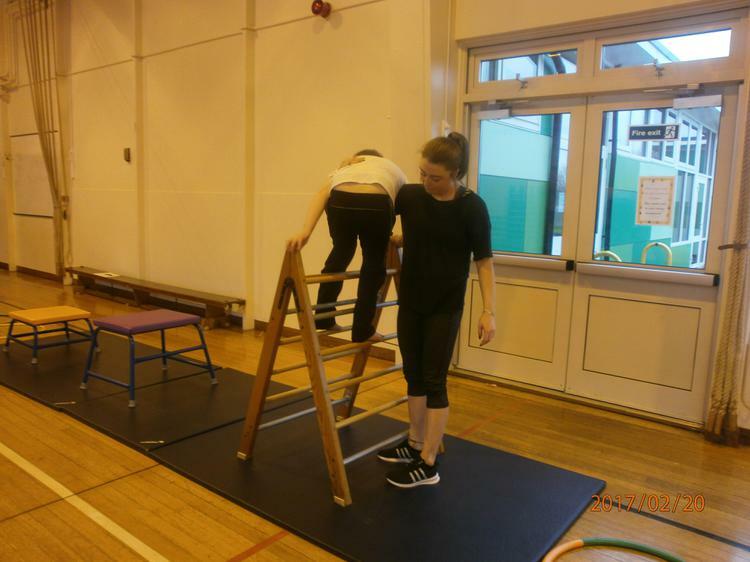 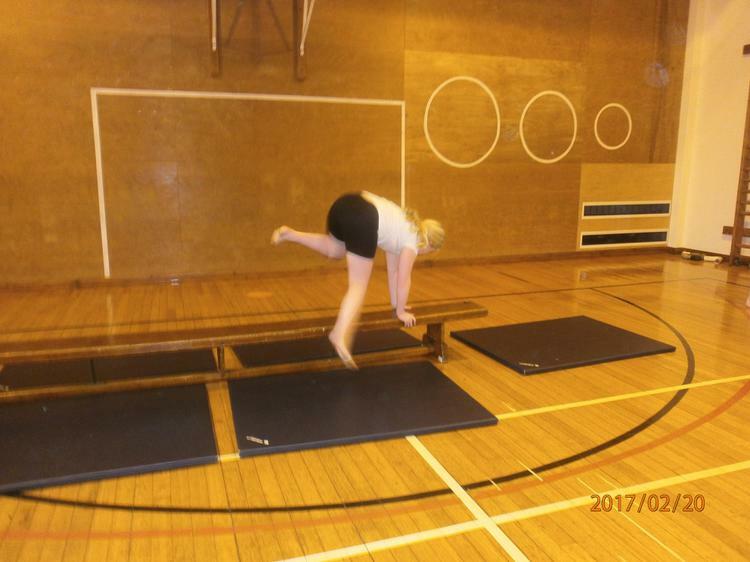 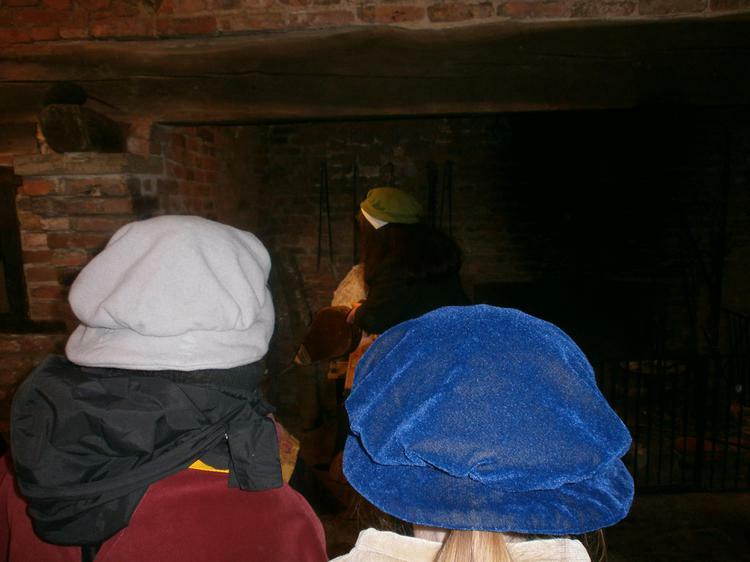 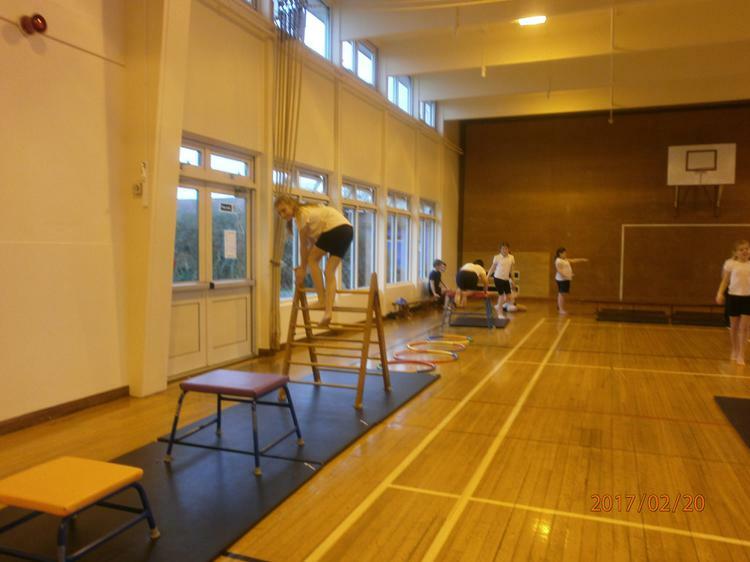 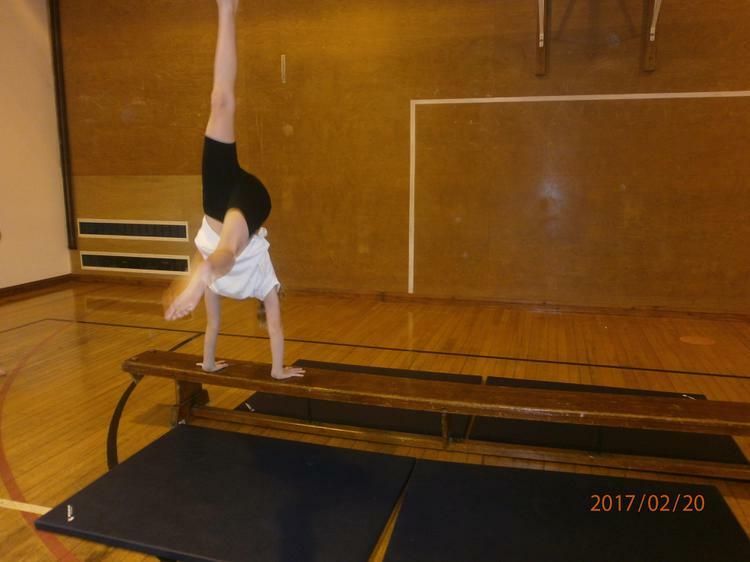 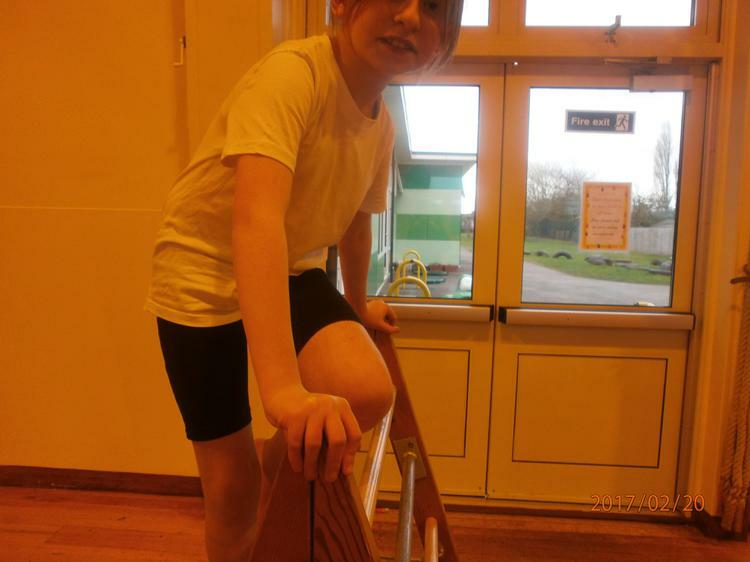 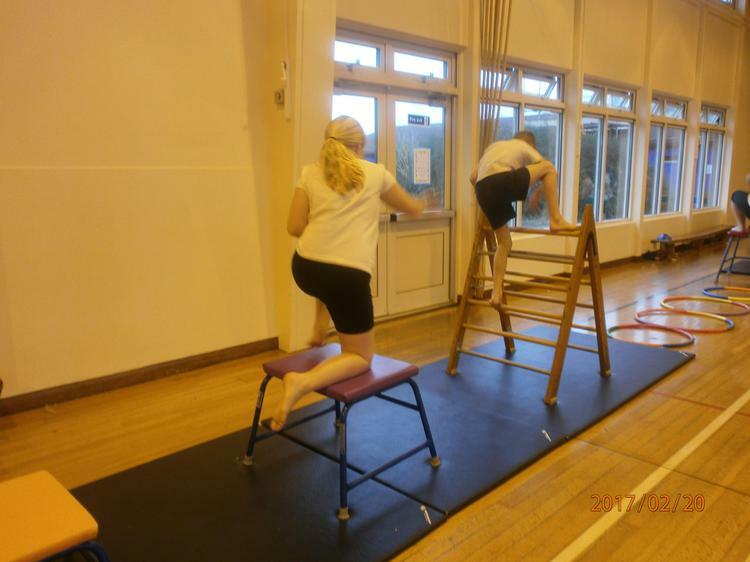 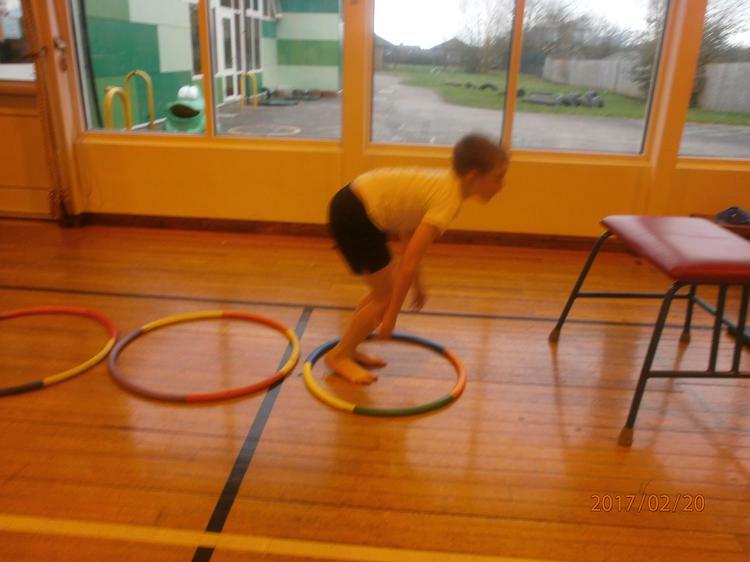 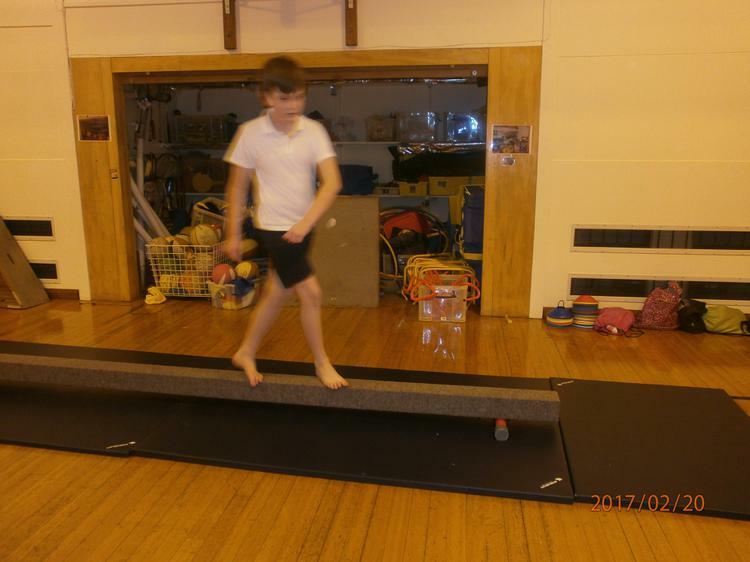 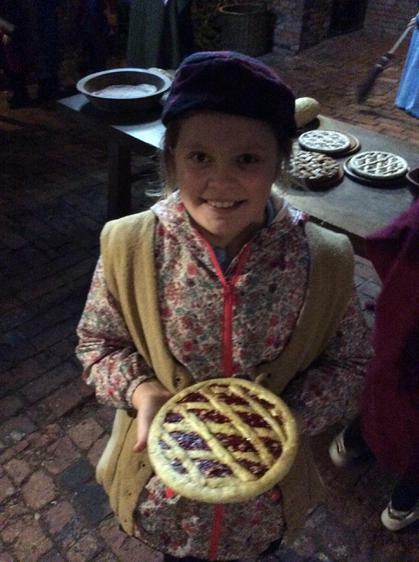 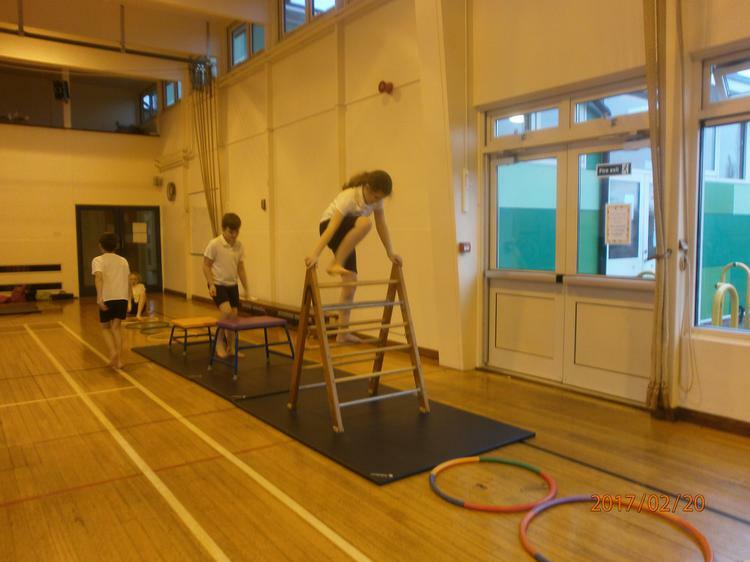 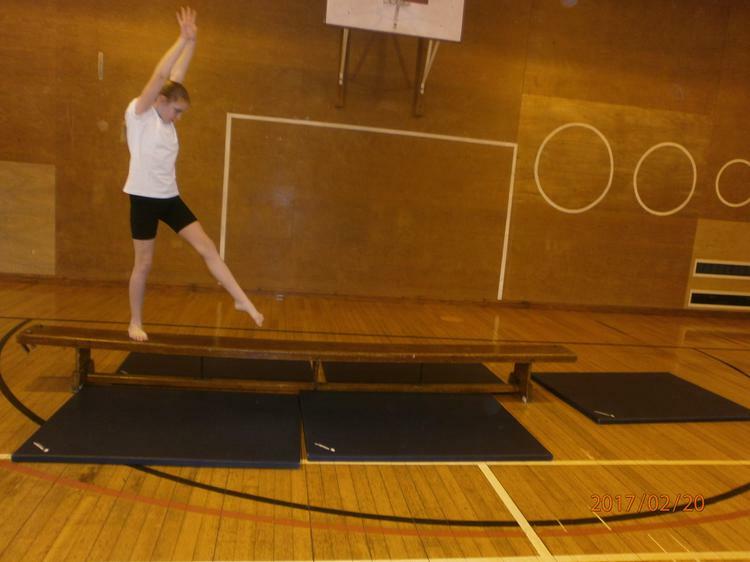 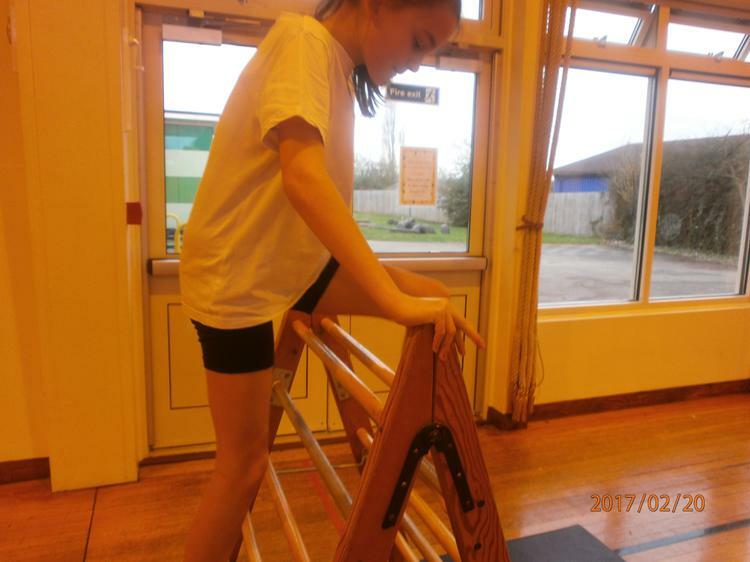 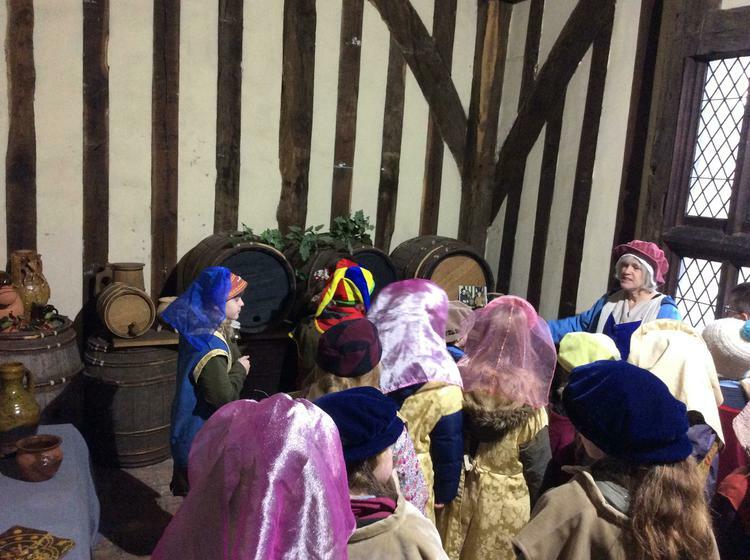 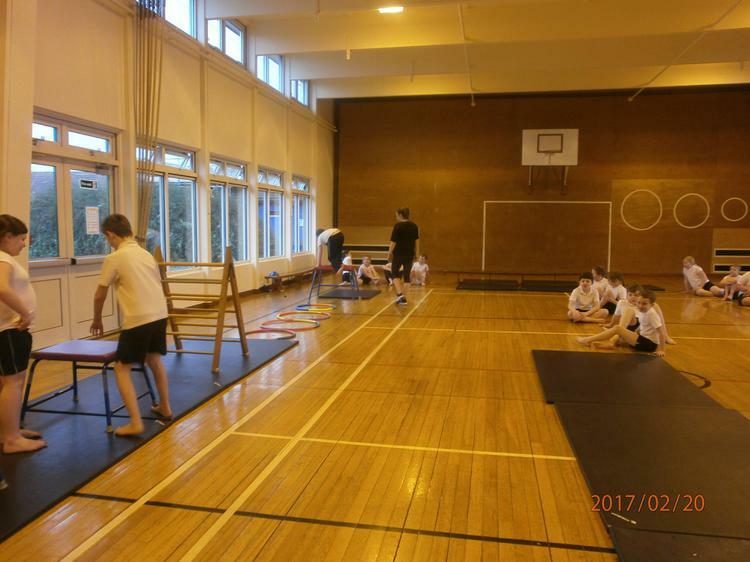 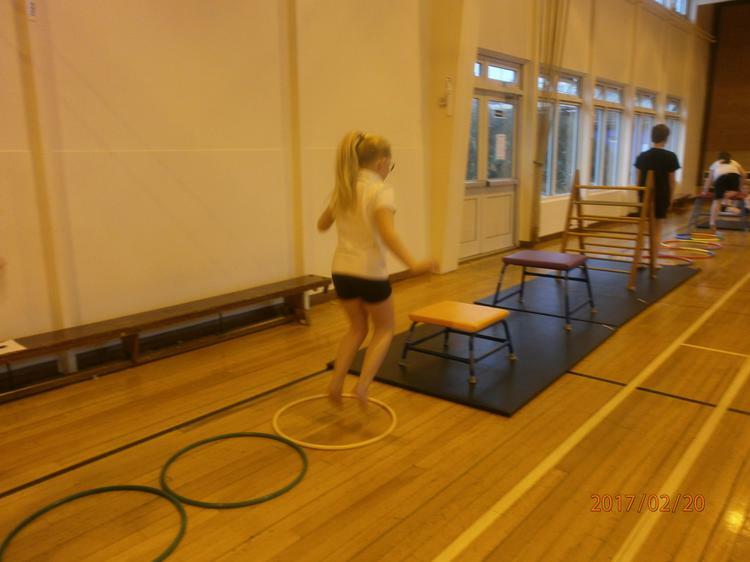 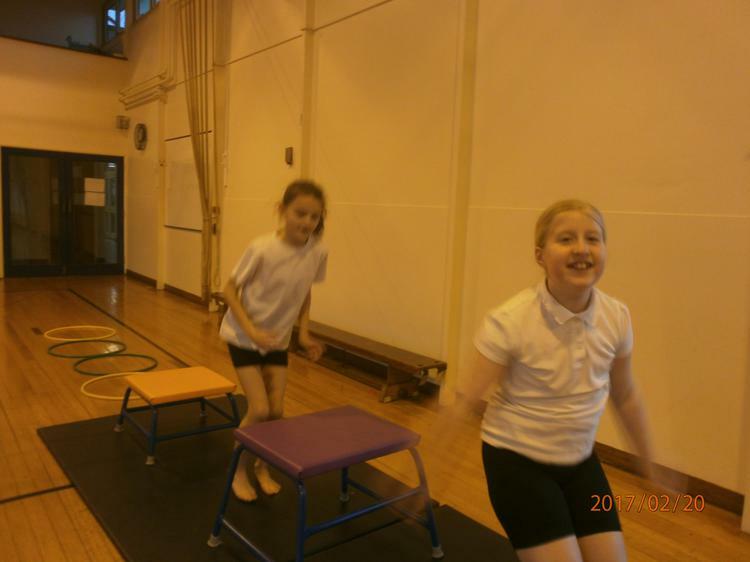 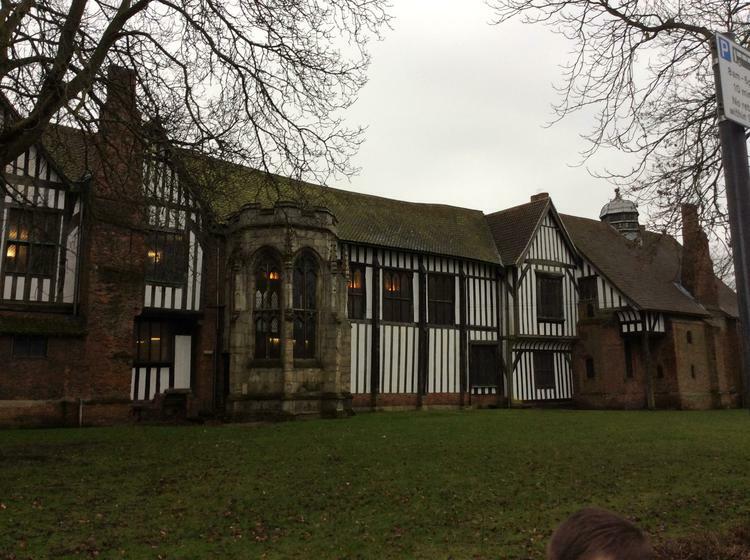 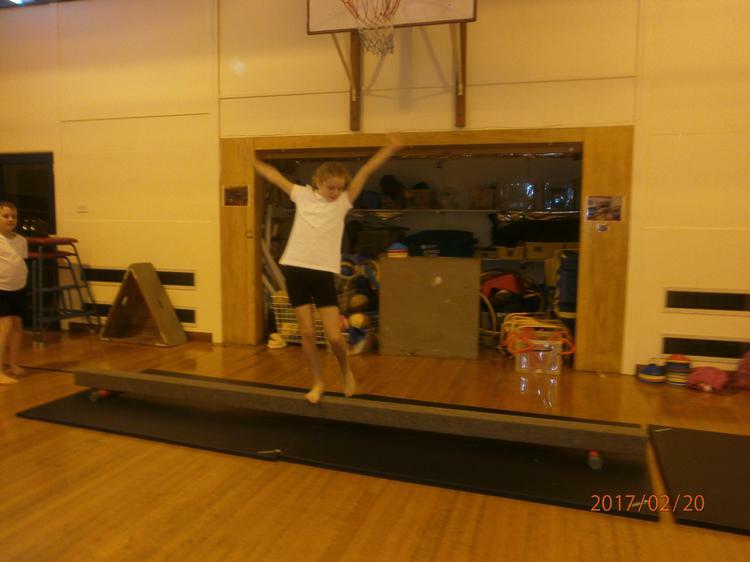 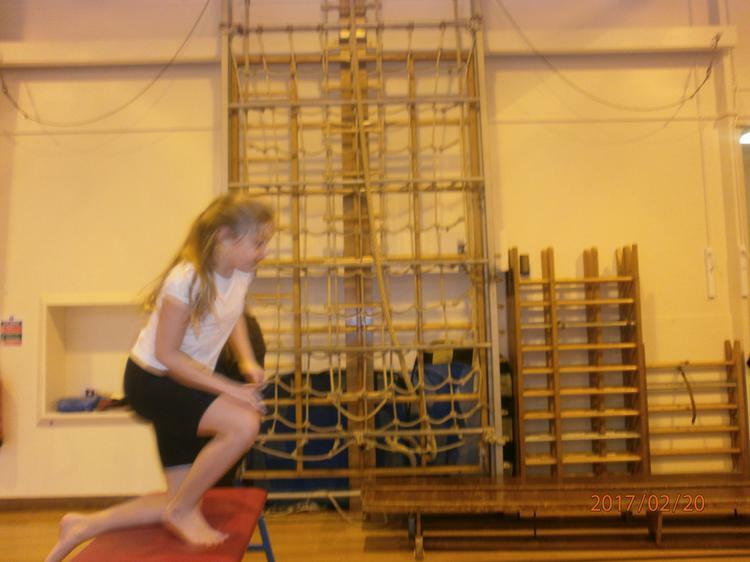 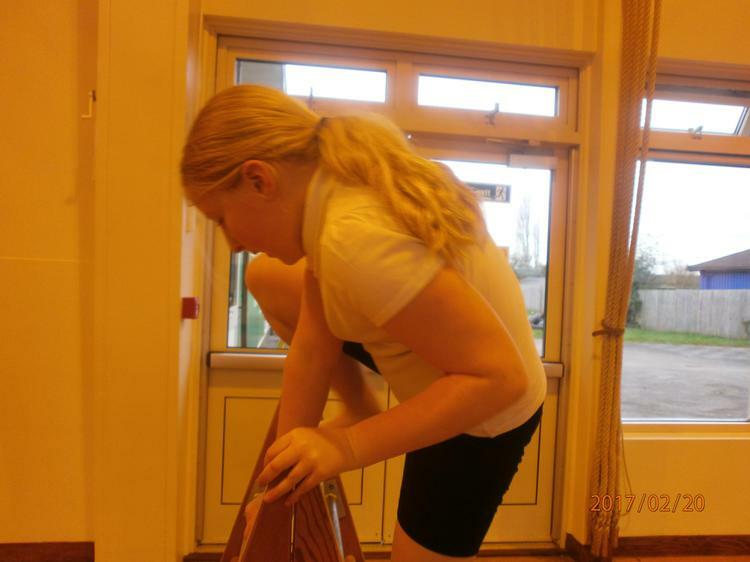 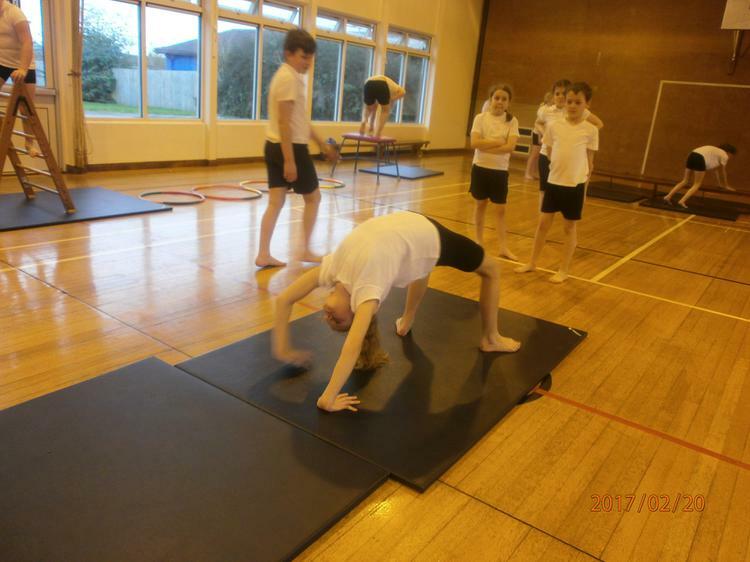 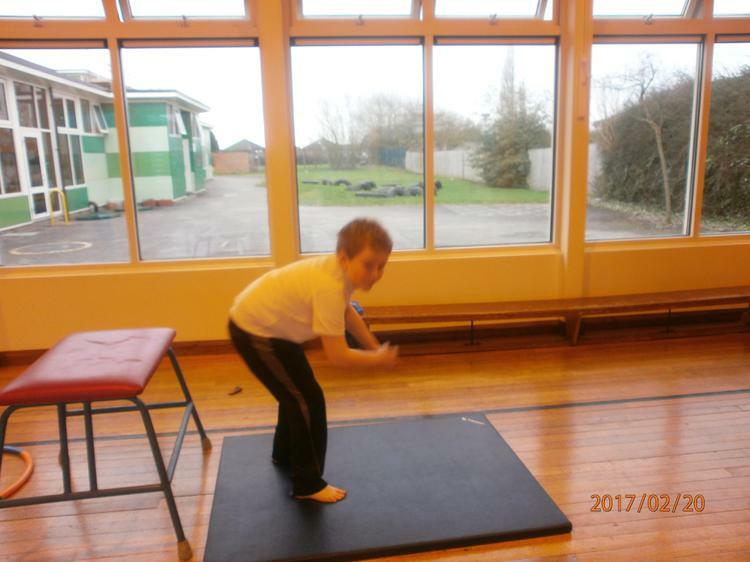 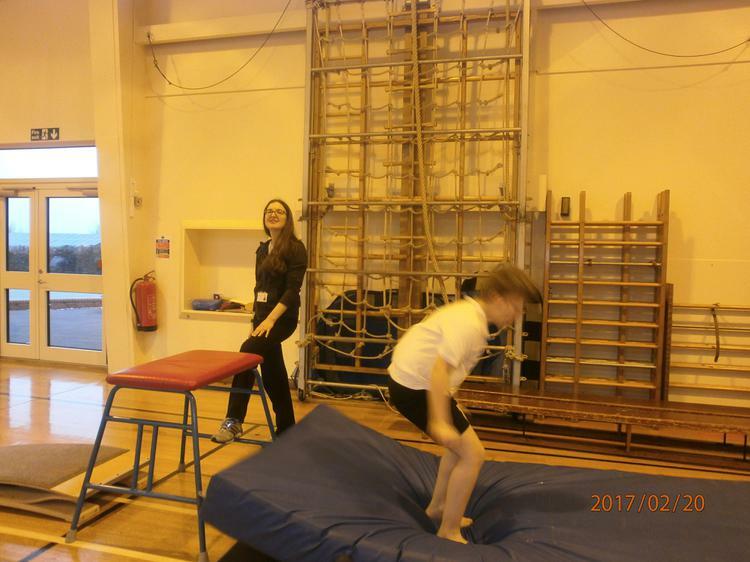 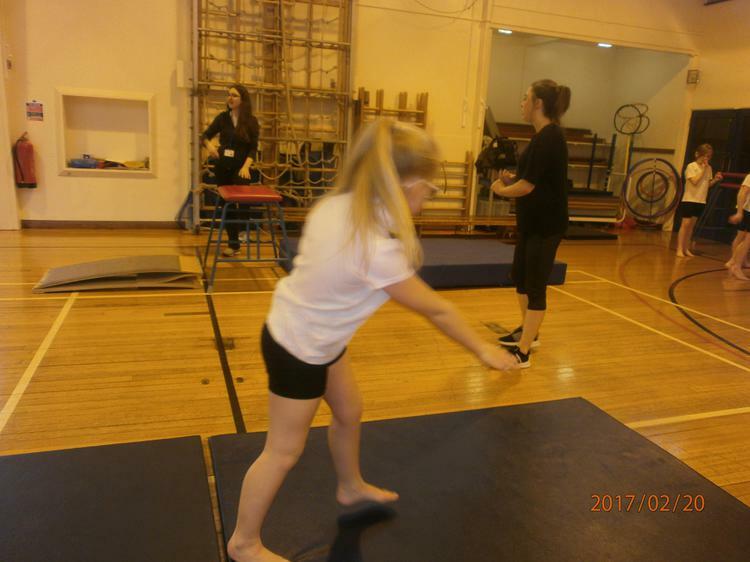 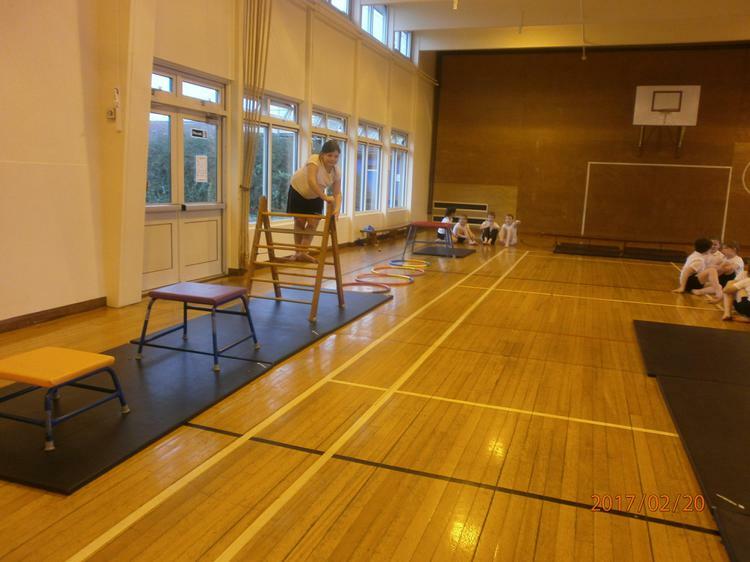 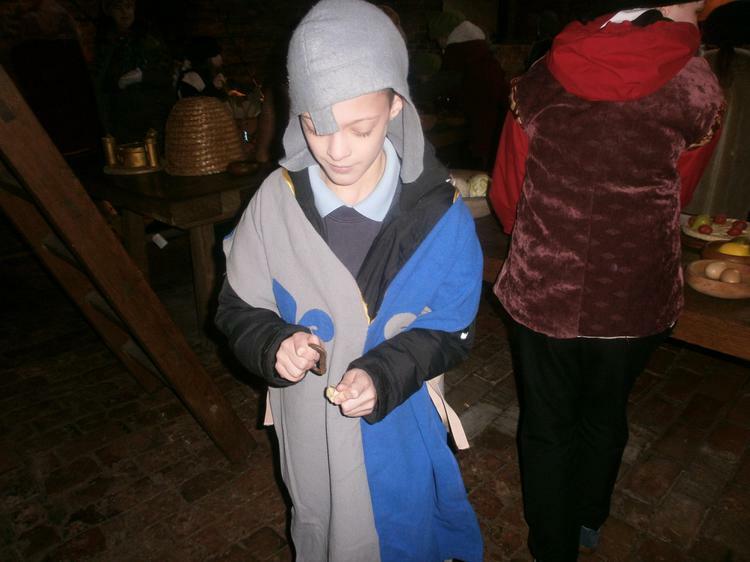 Year 5 had a great time at Gainsborough (despite it being very cold!) 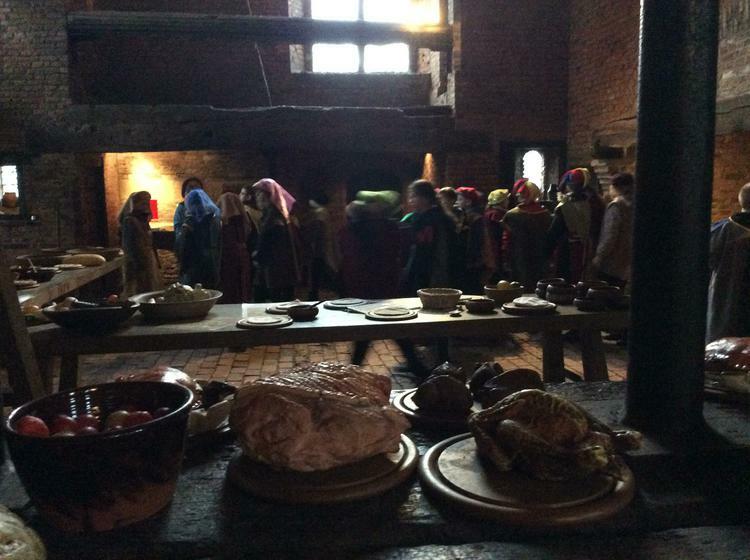 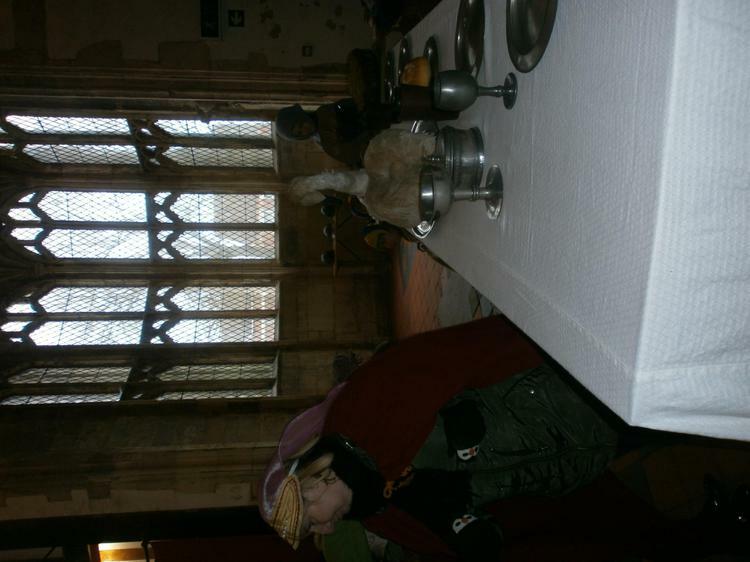 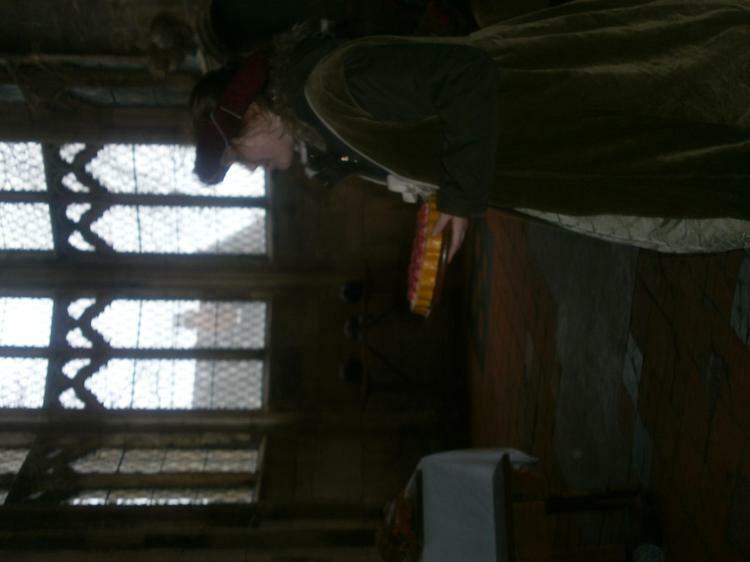 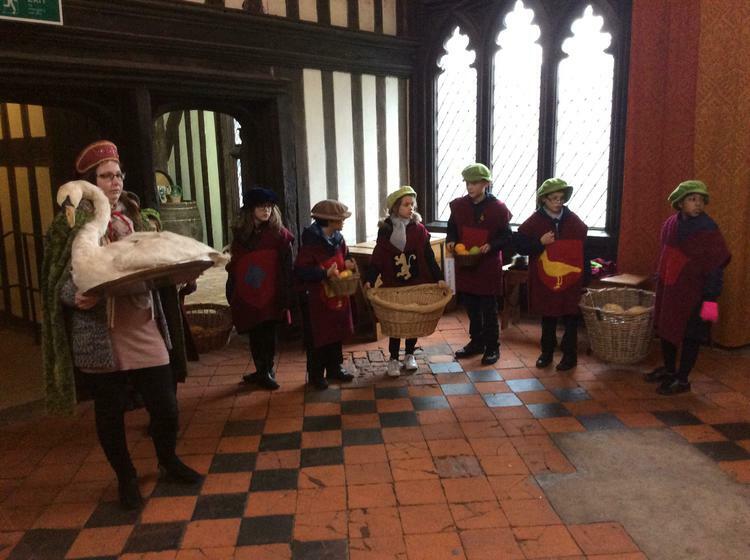 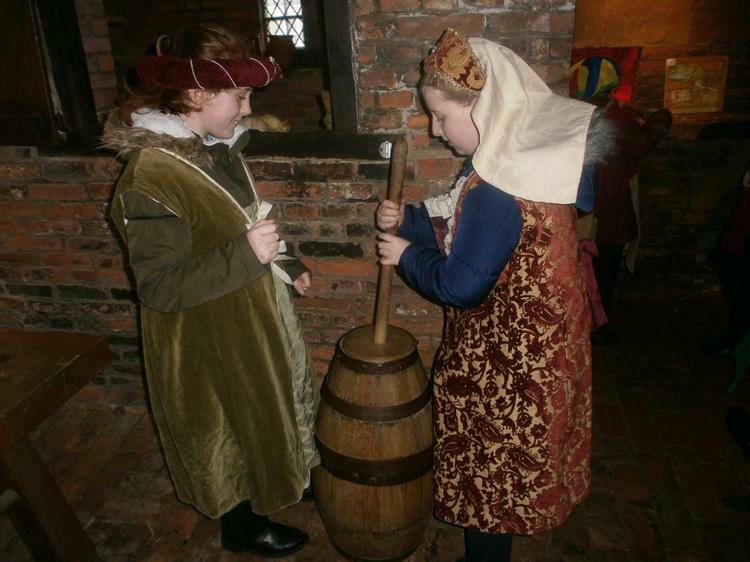 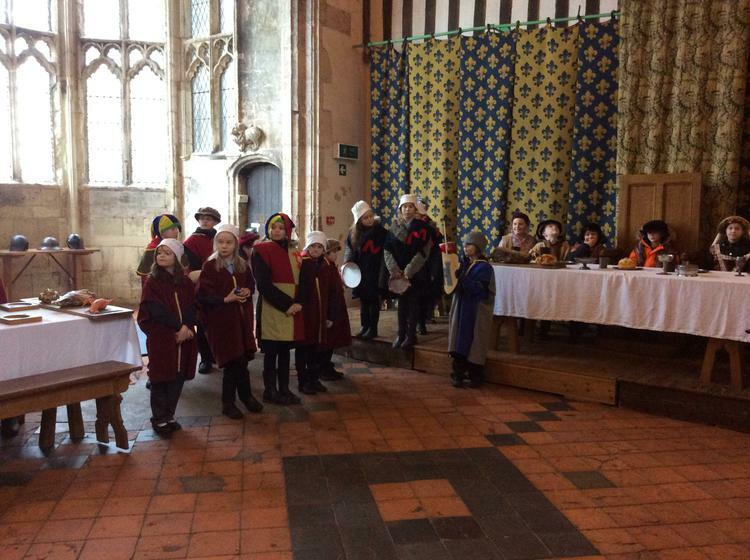 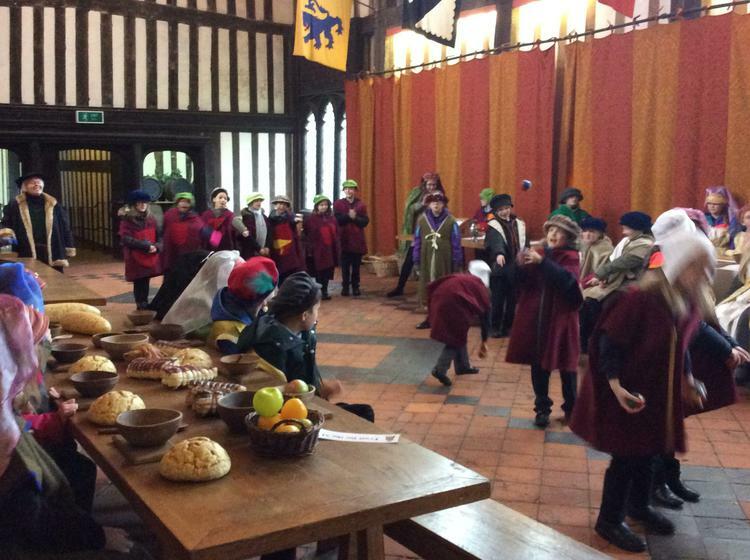 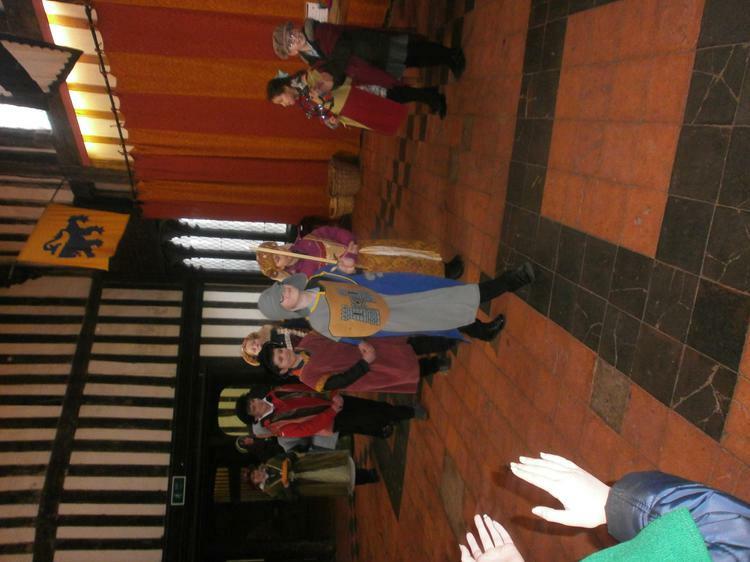 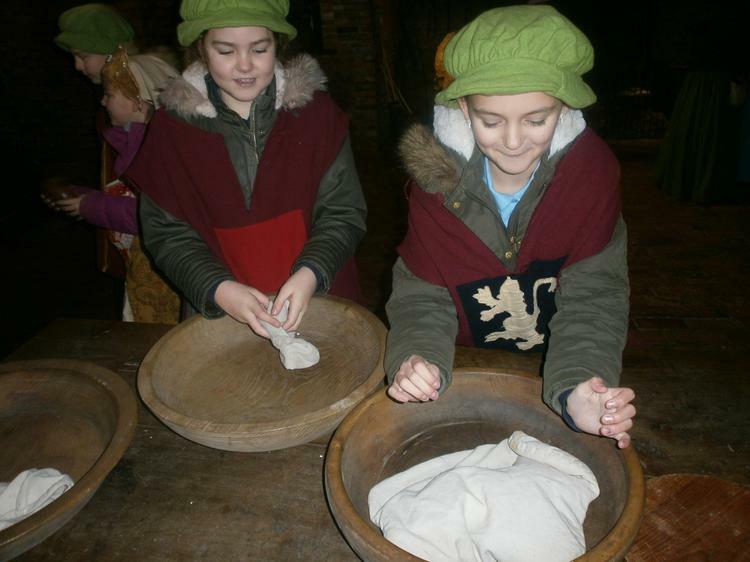 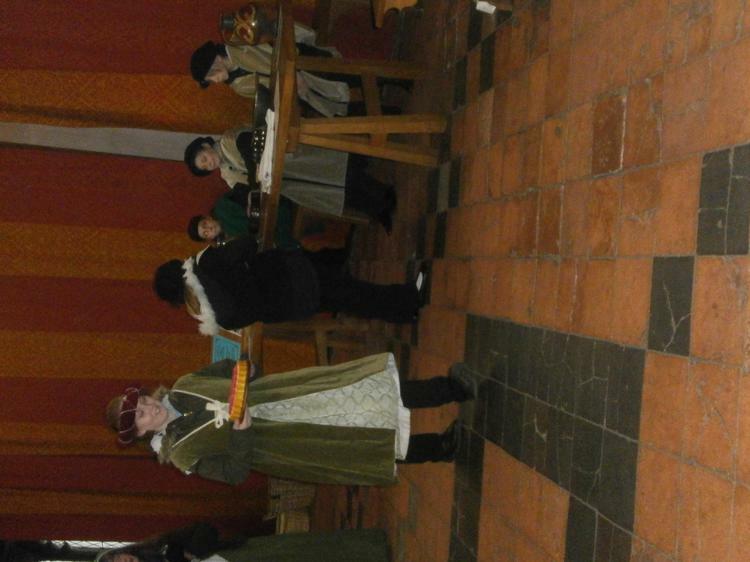 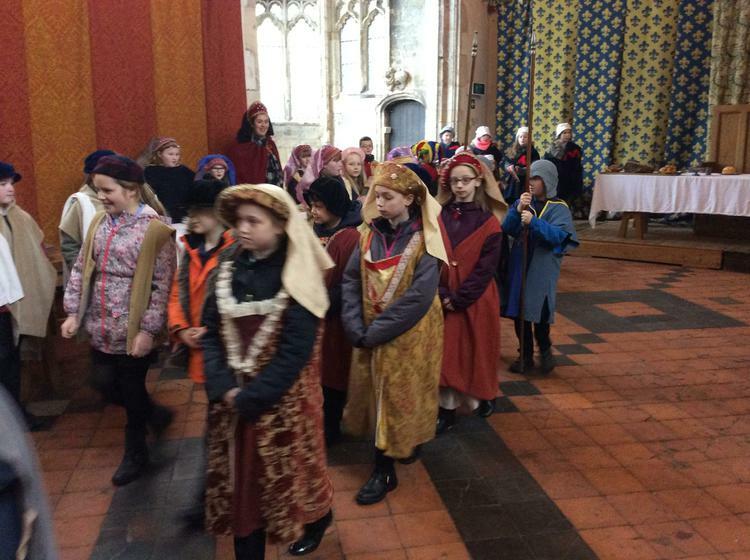 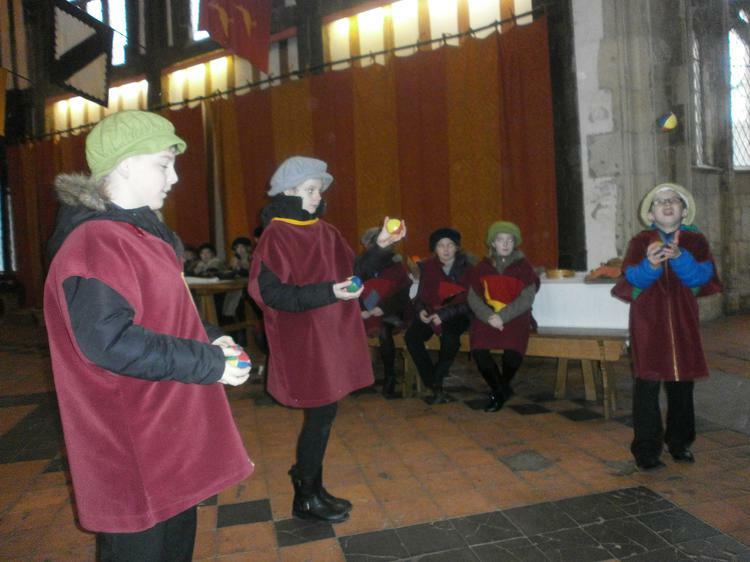 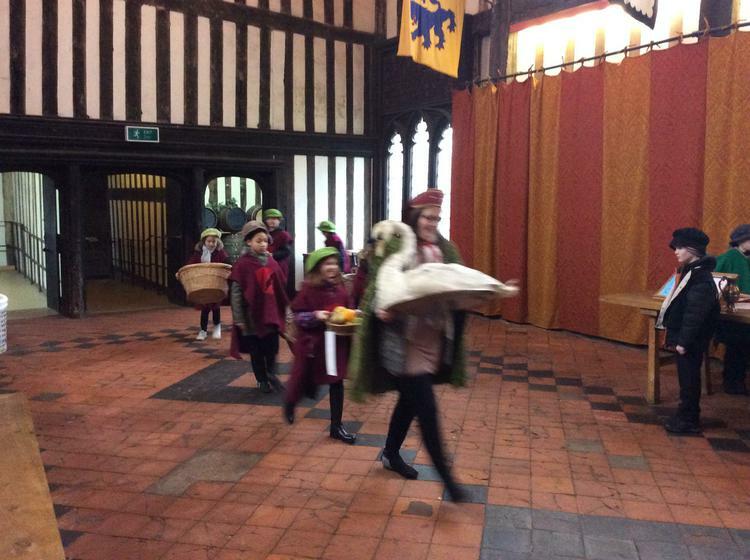 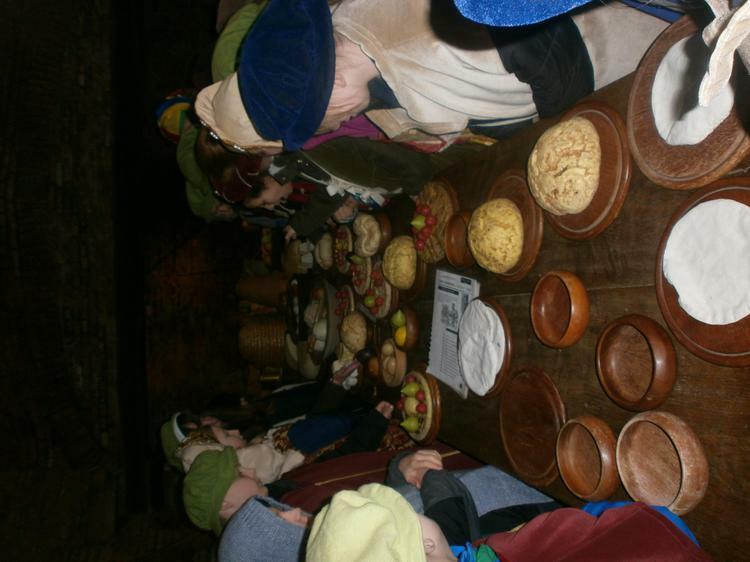 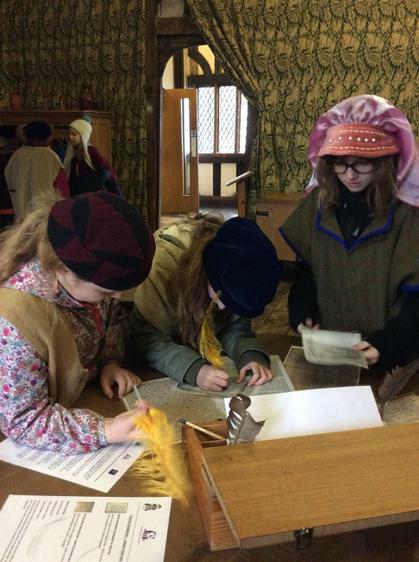 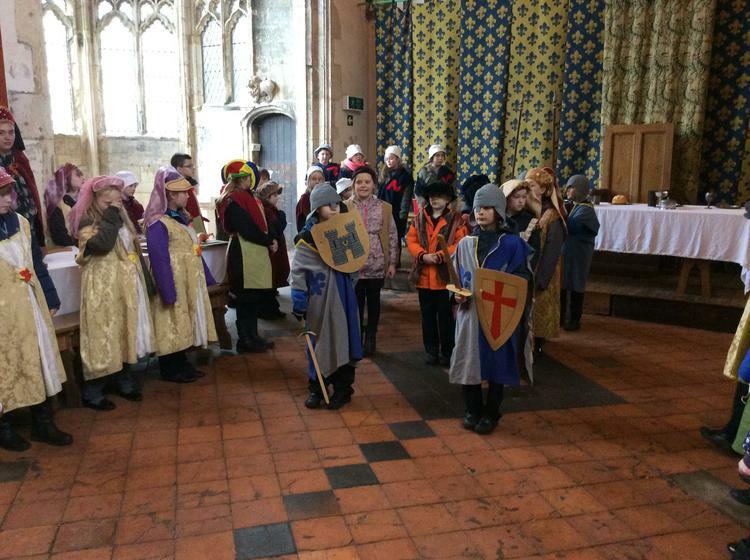 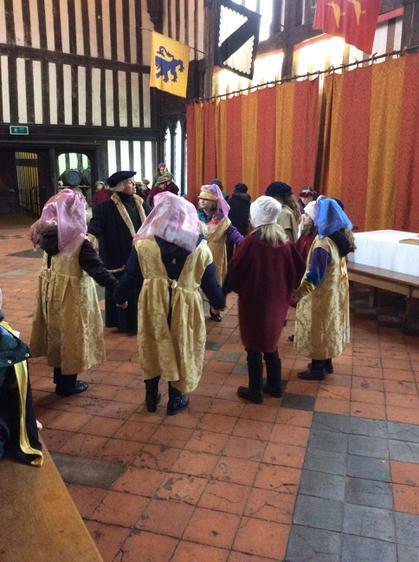 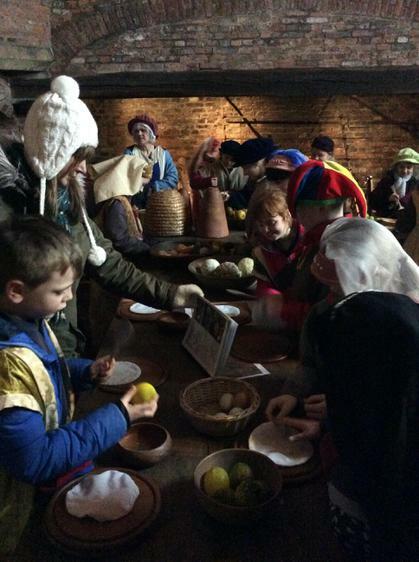 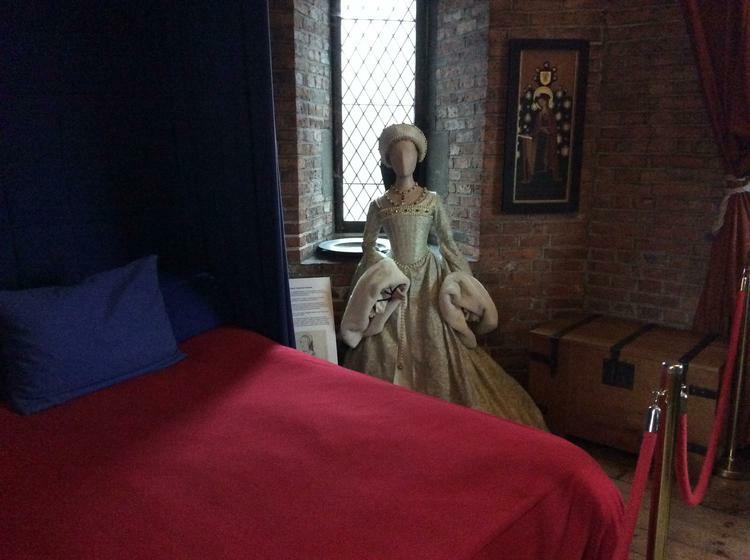 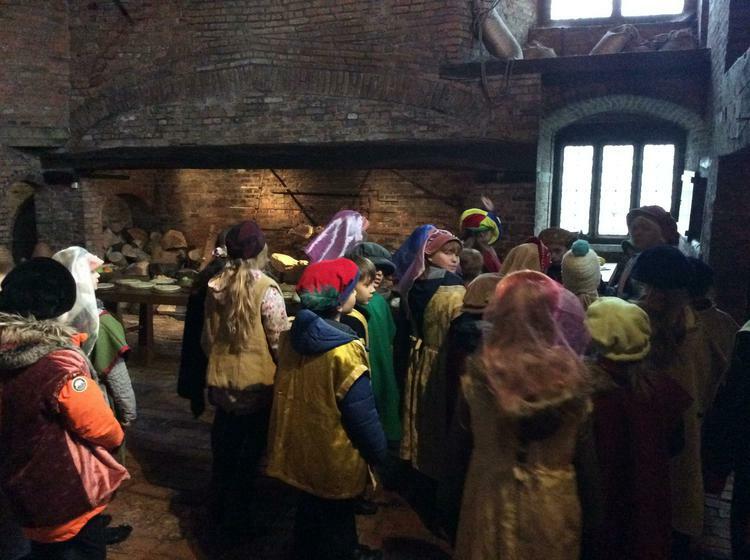 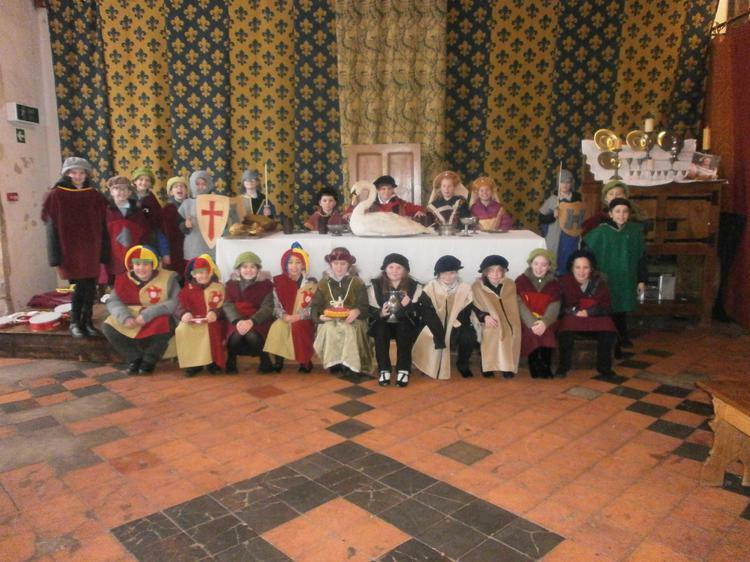 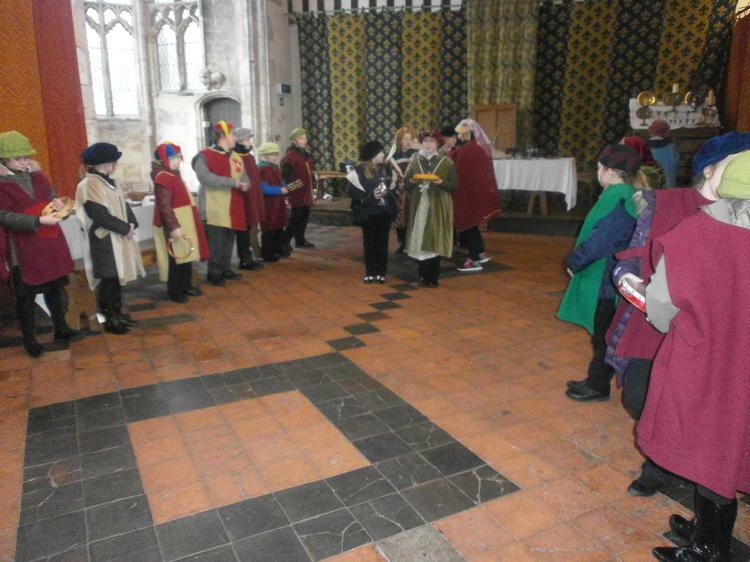 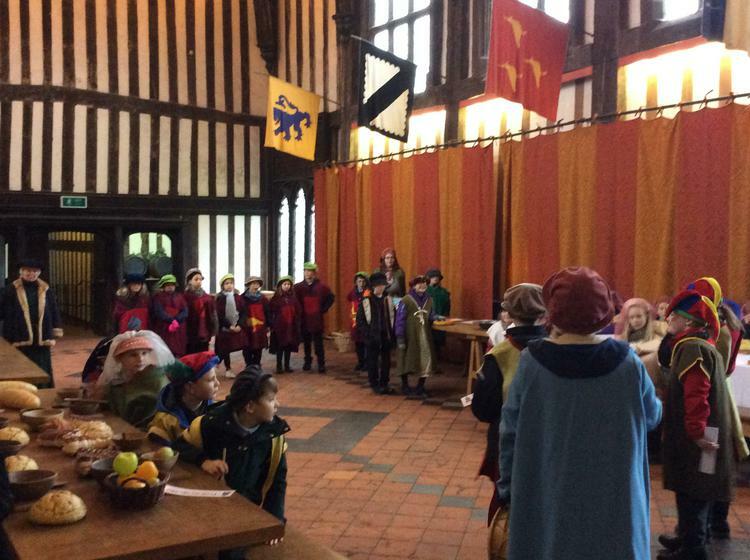 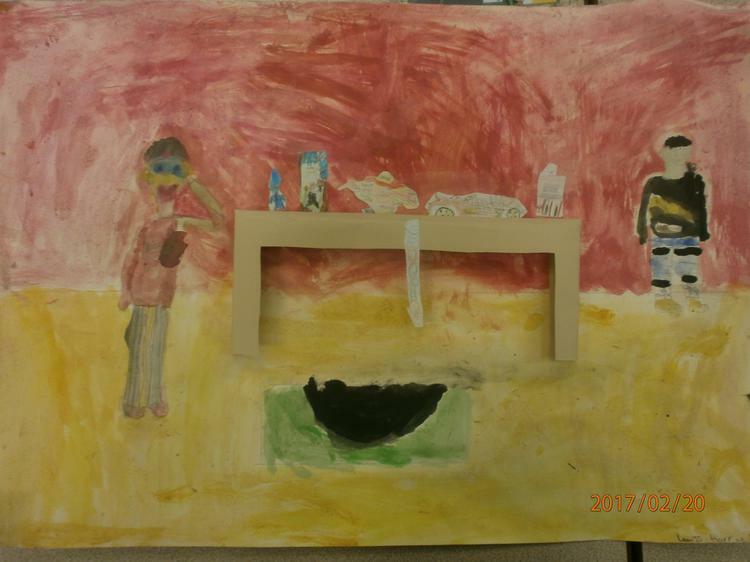 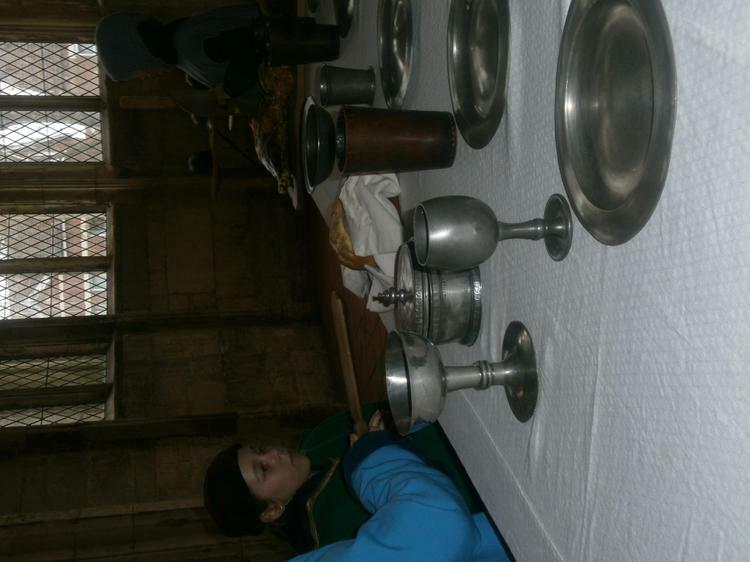 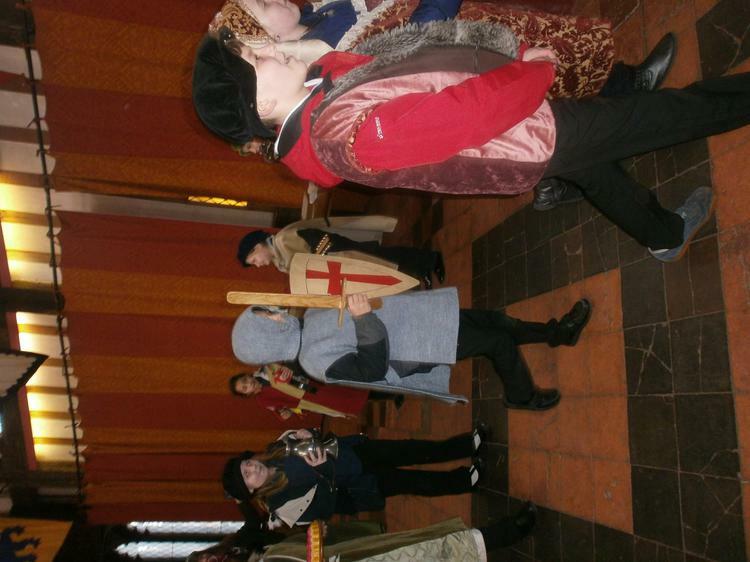 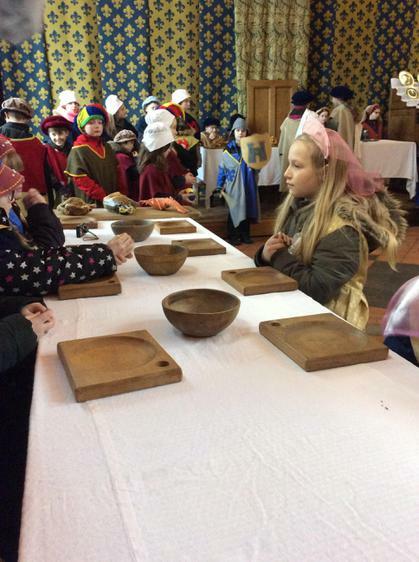 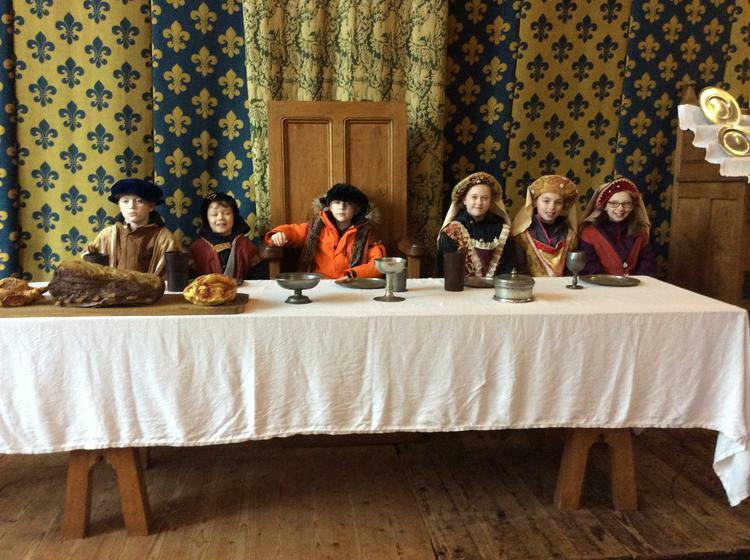 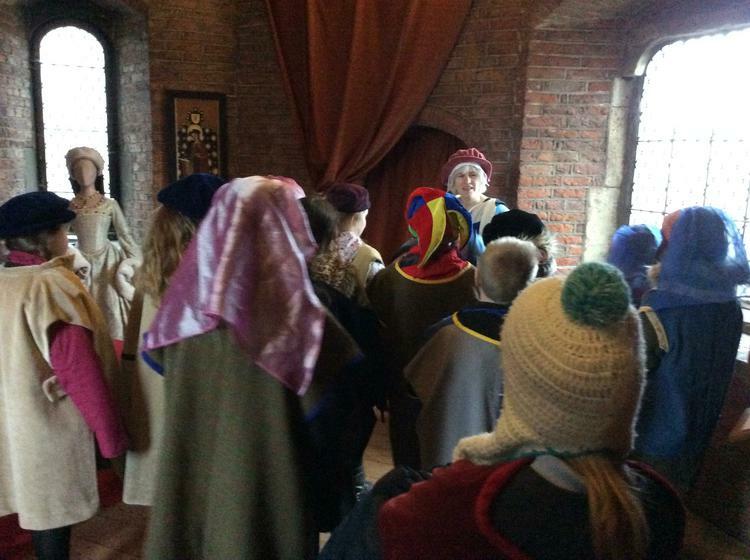 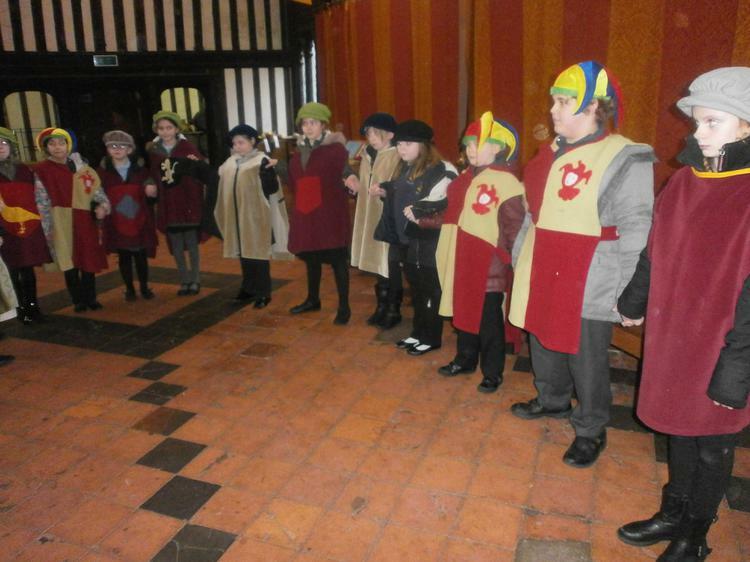 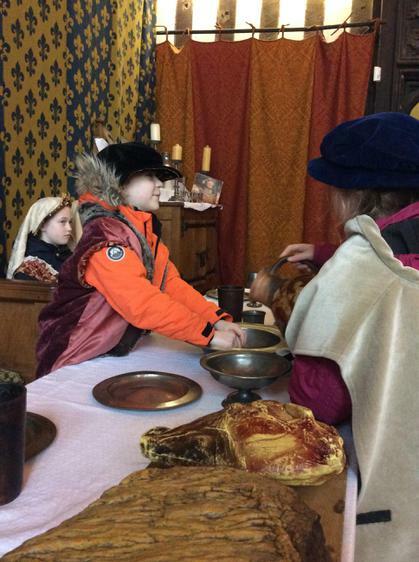 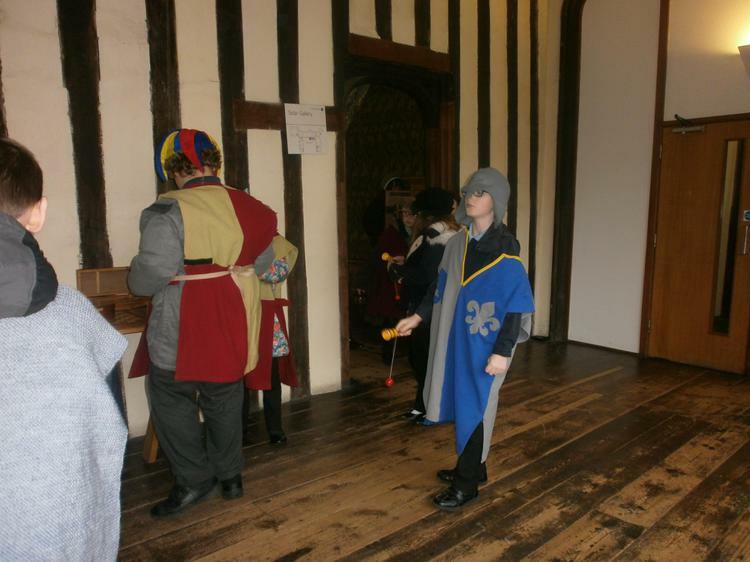 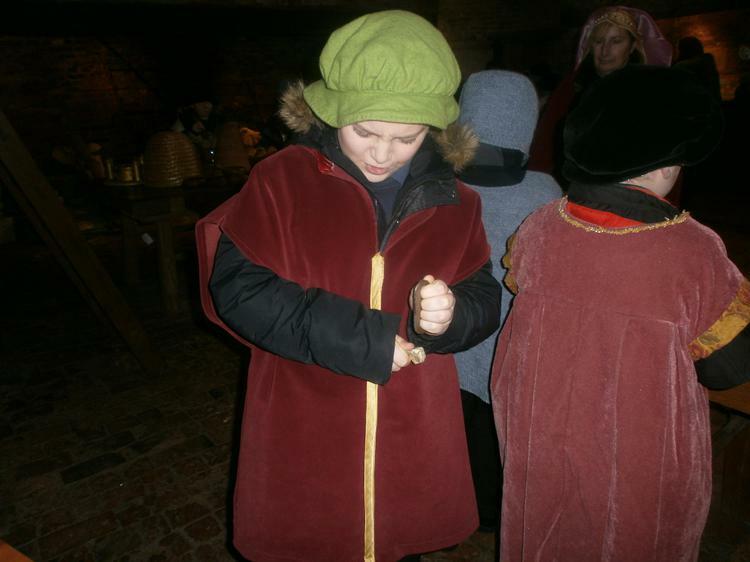 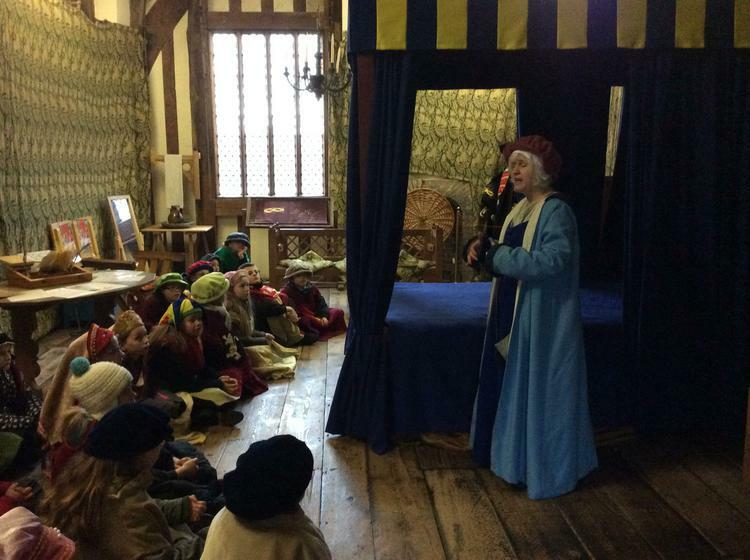 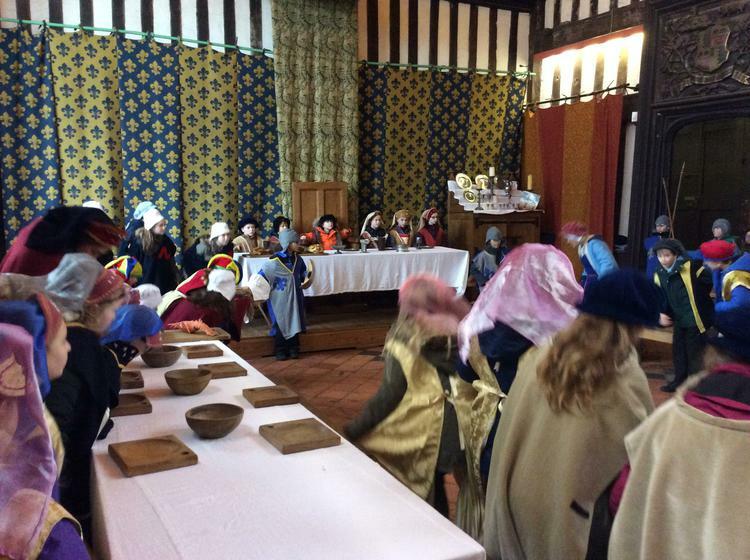 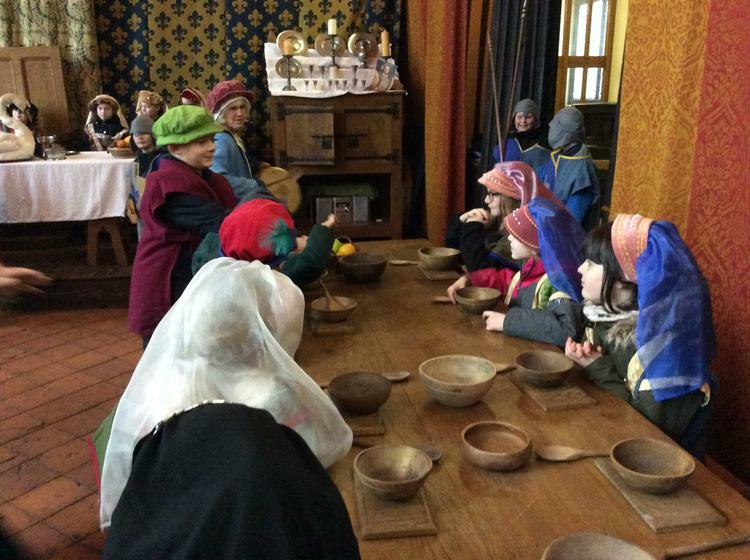 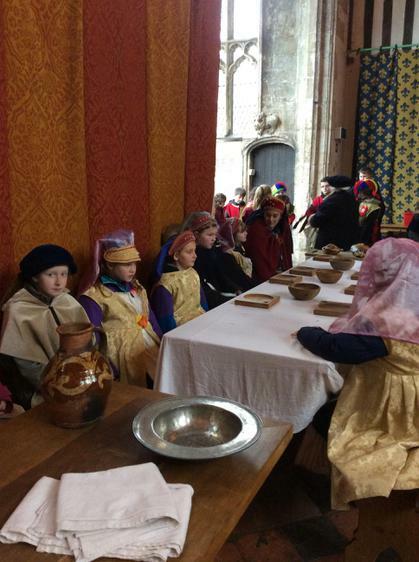 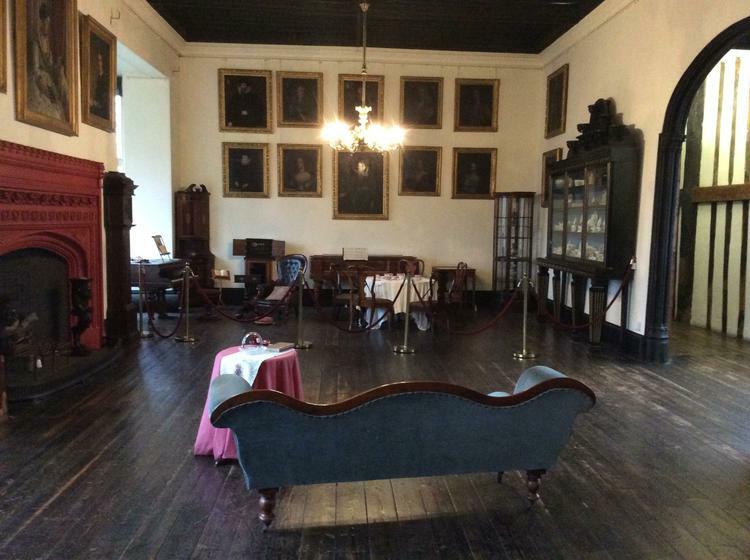 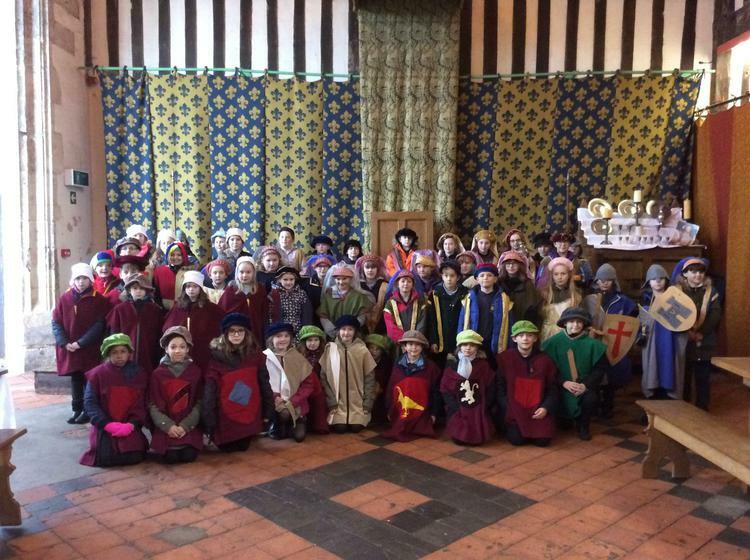 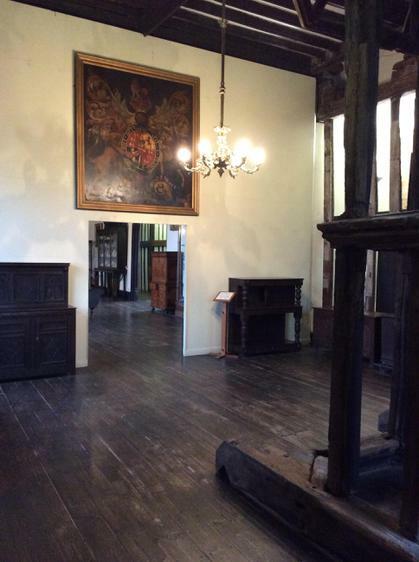 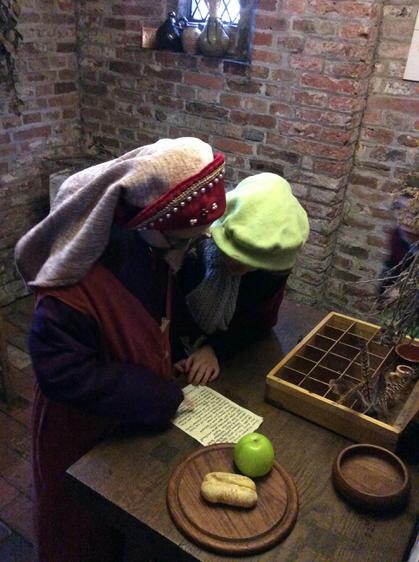 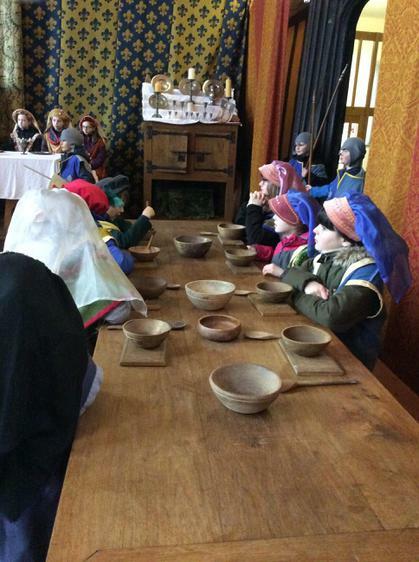 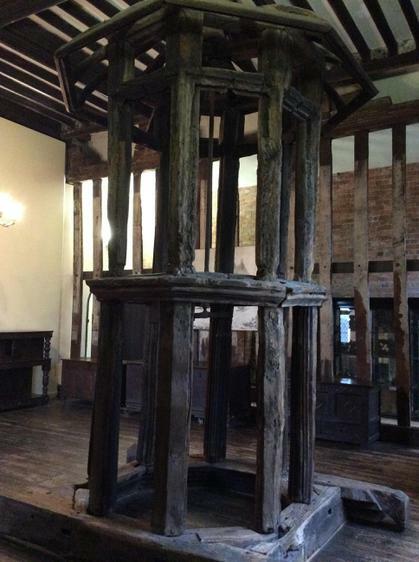 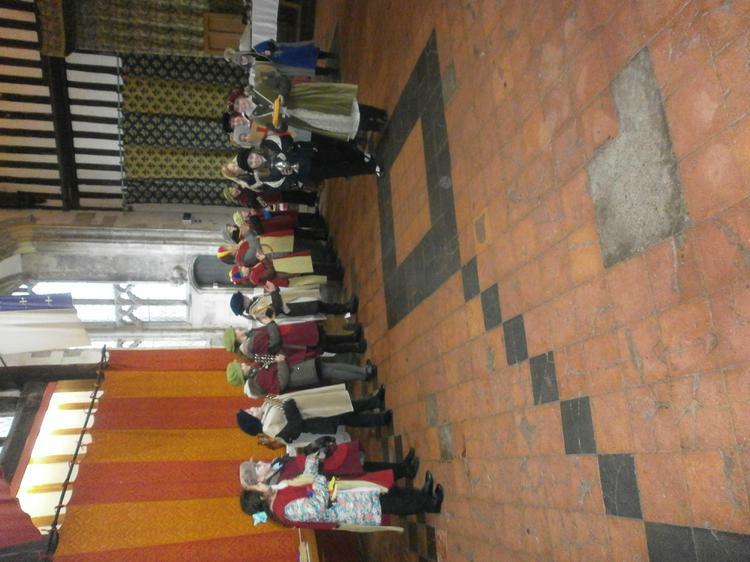 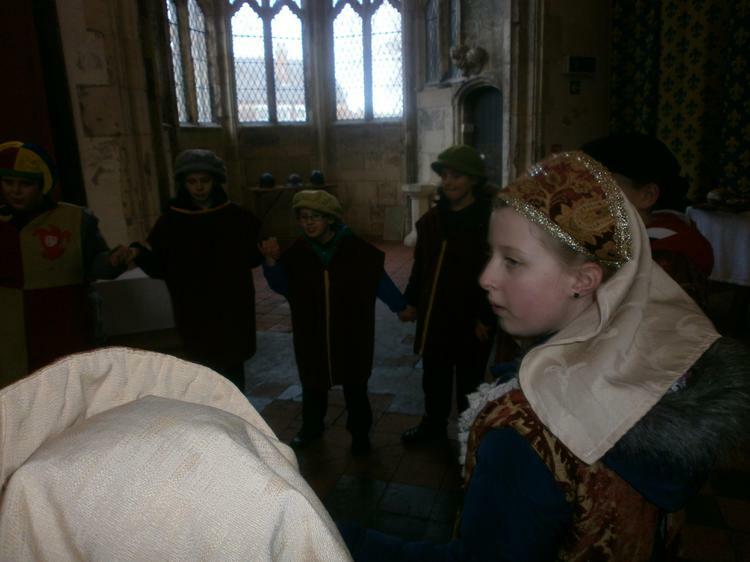 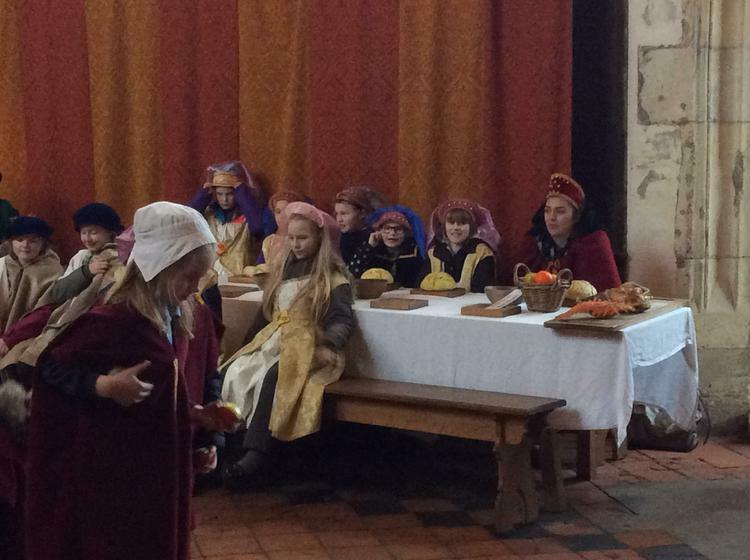 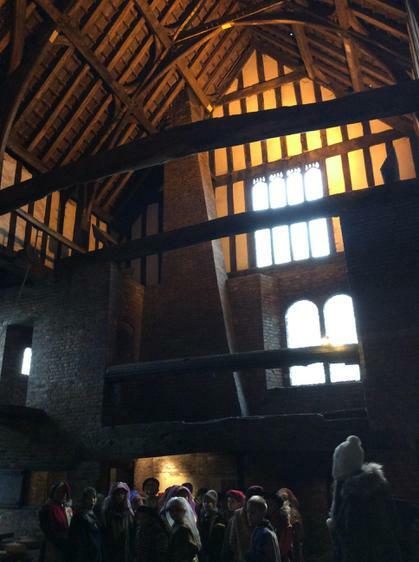 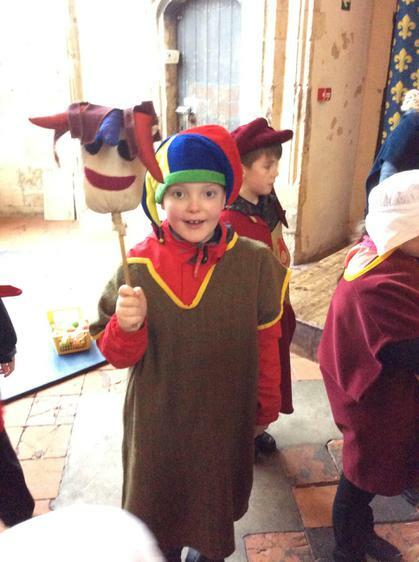 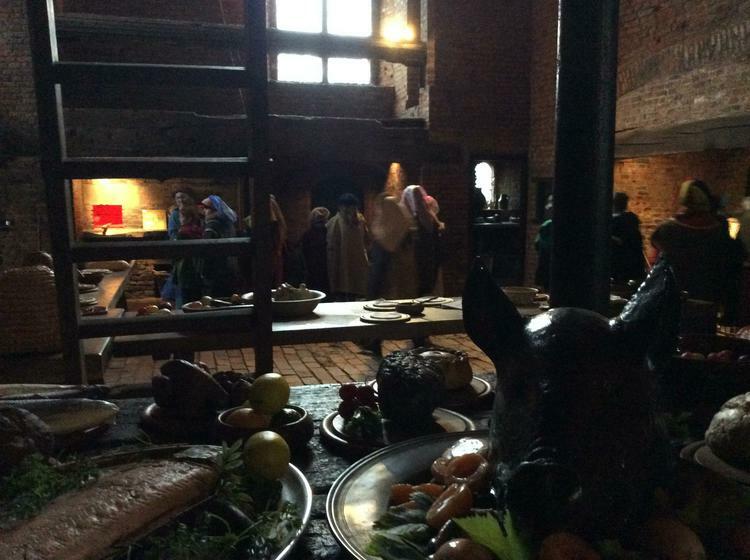 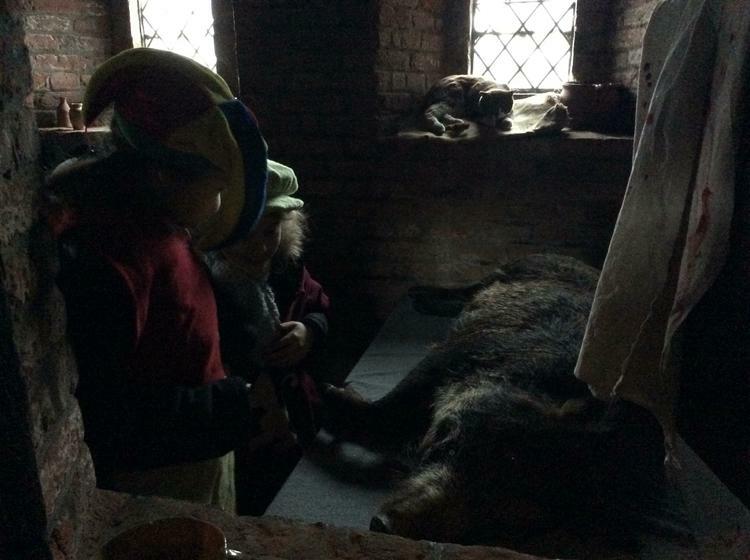 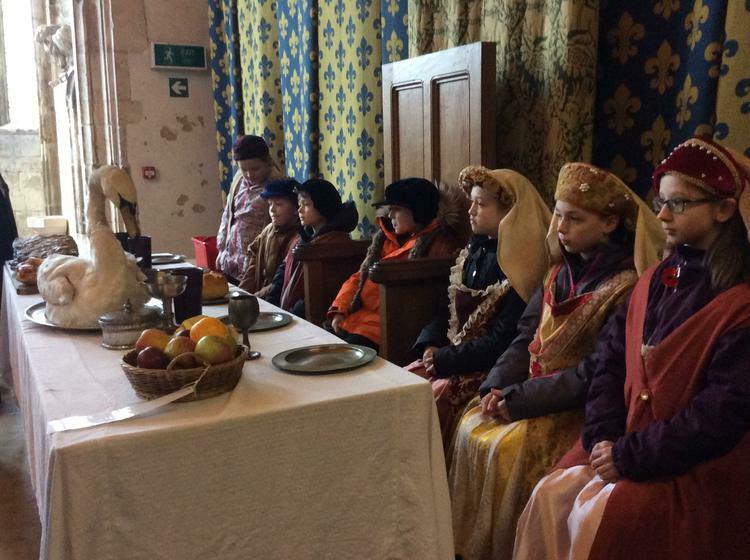 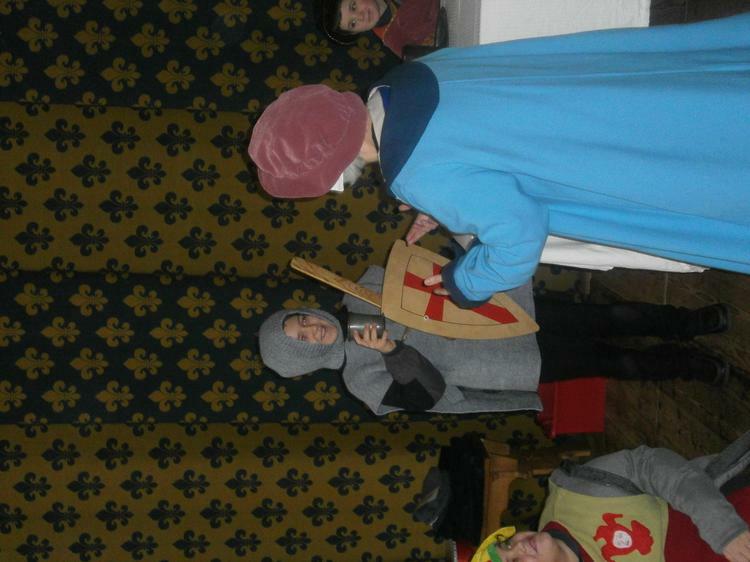 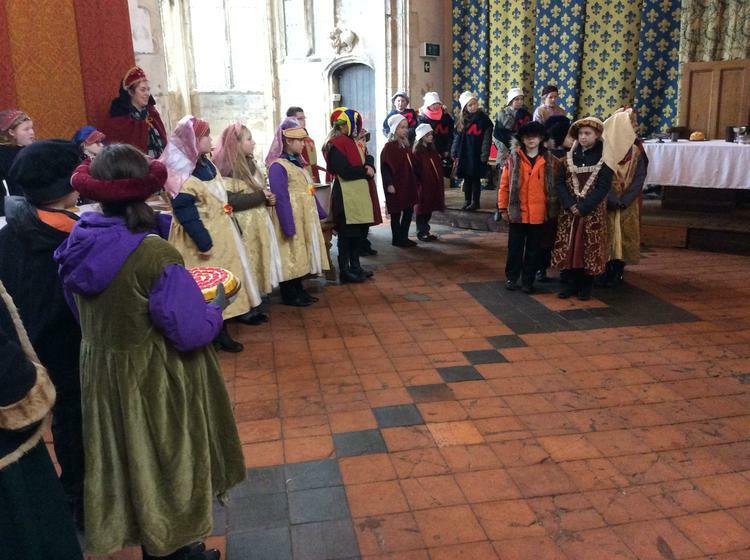 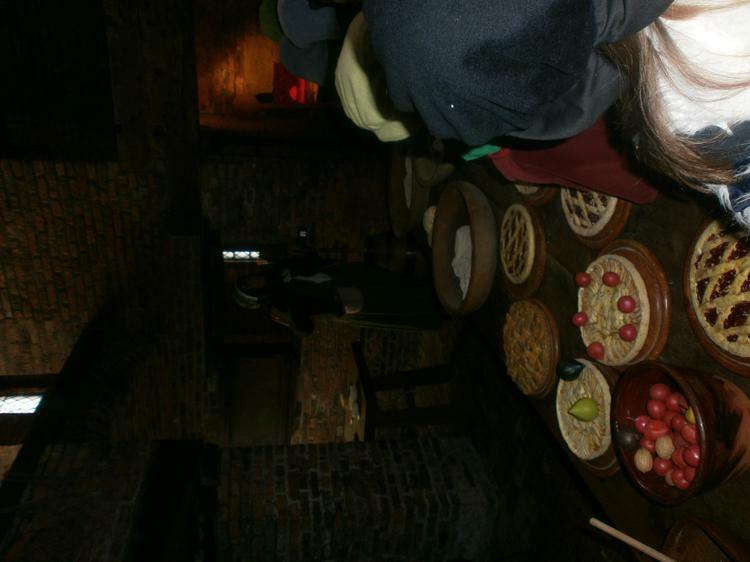 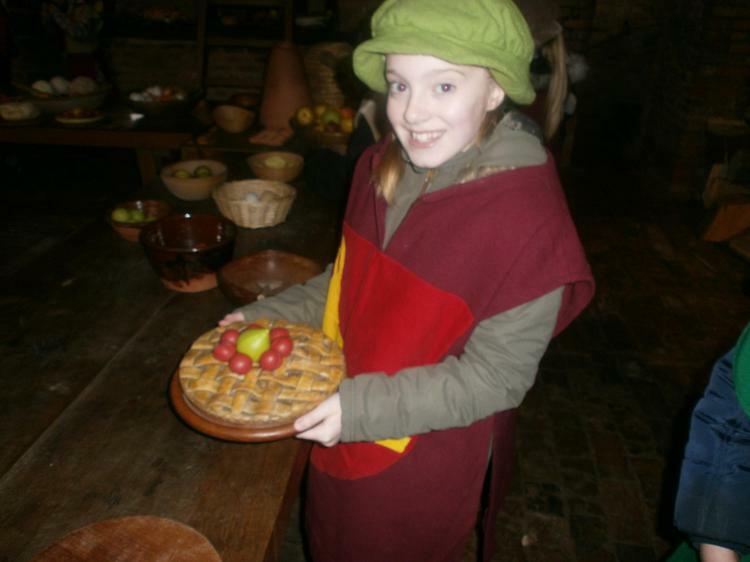 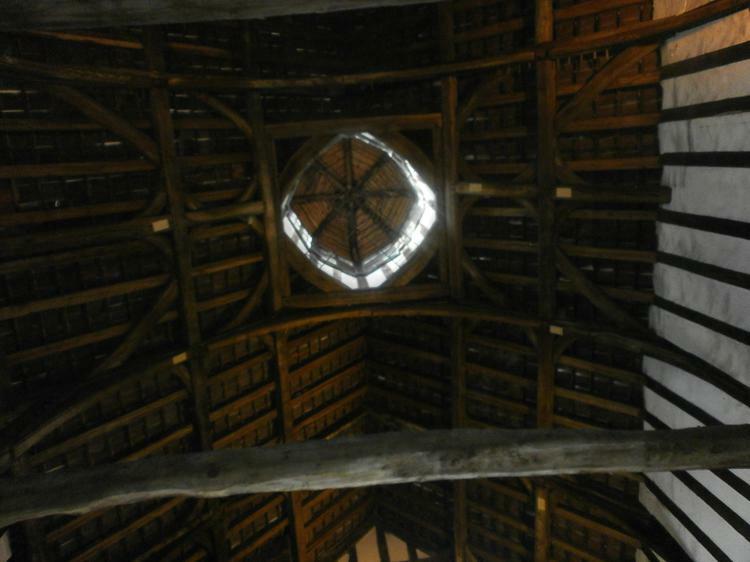 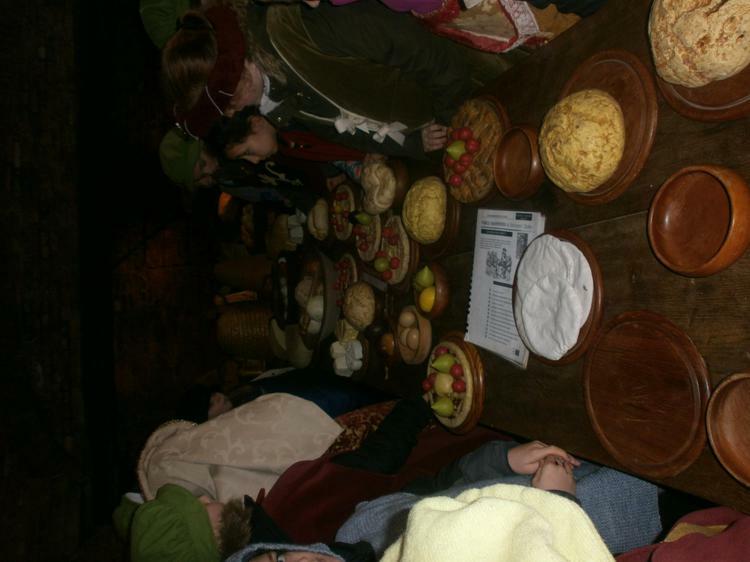 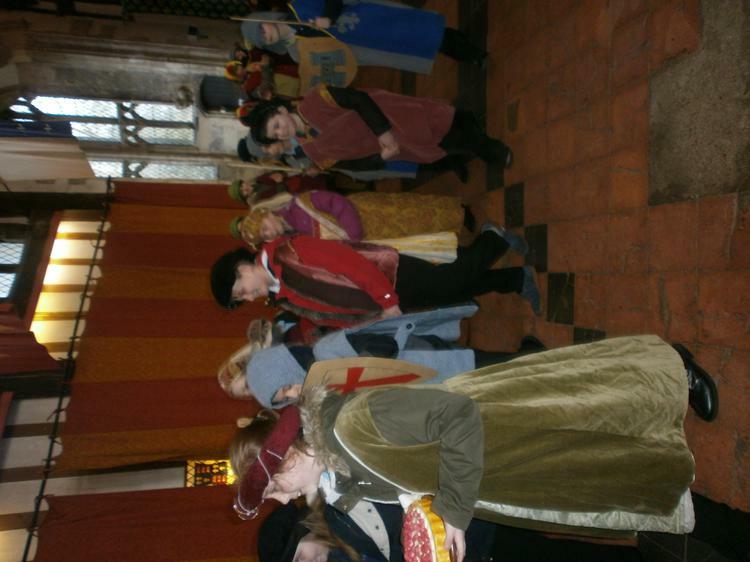 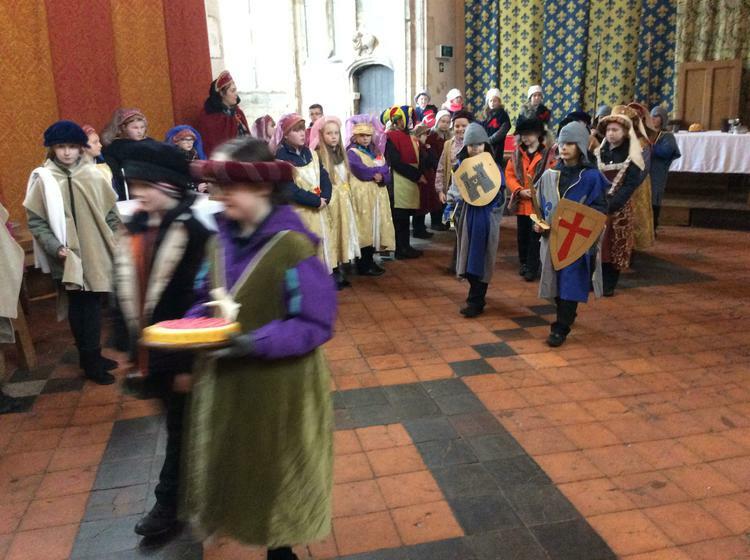 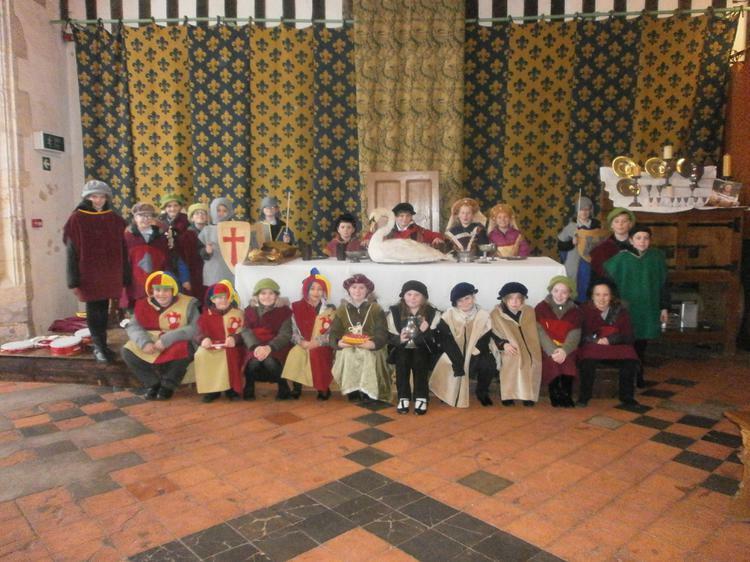 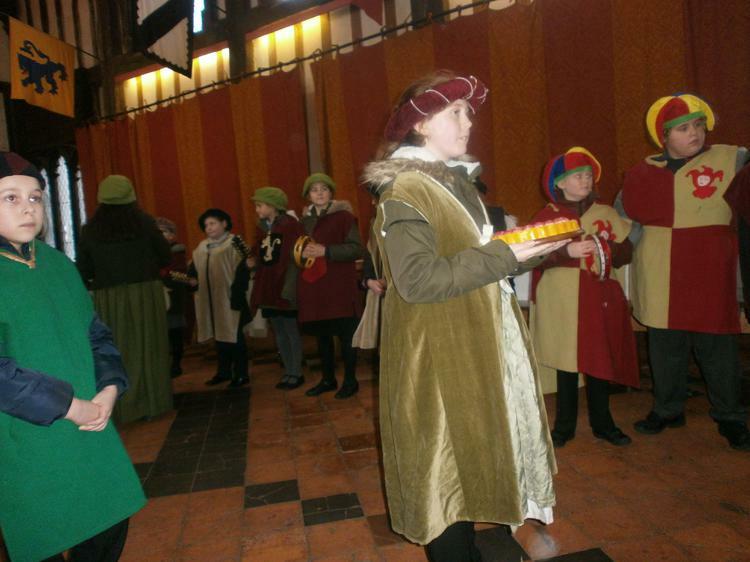 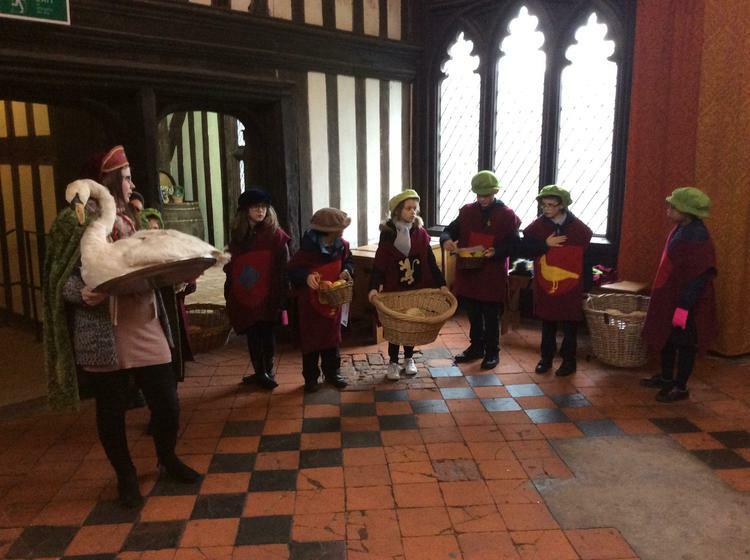 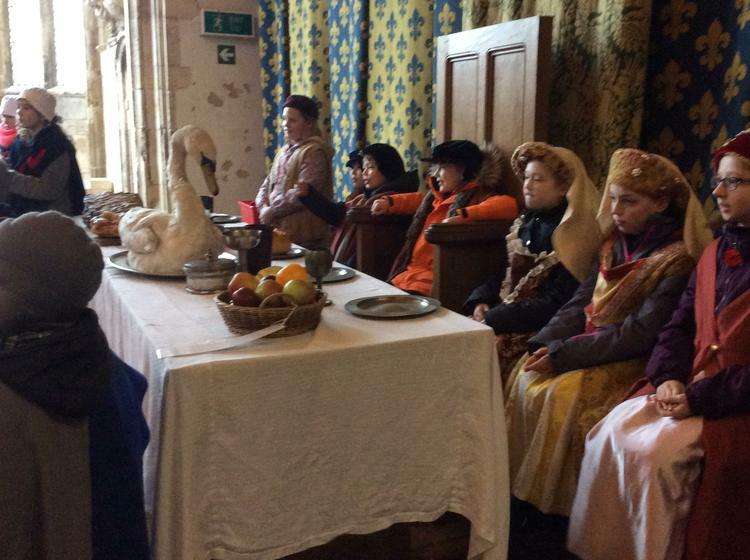 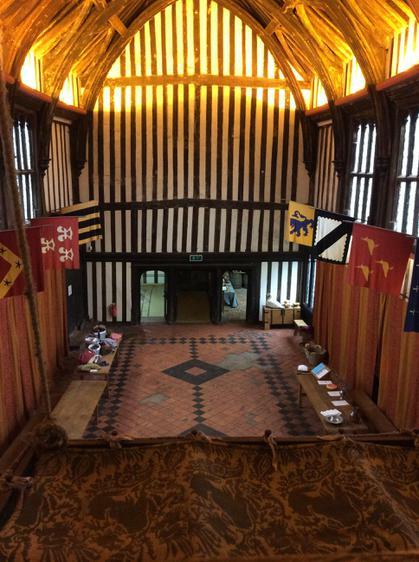 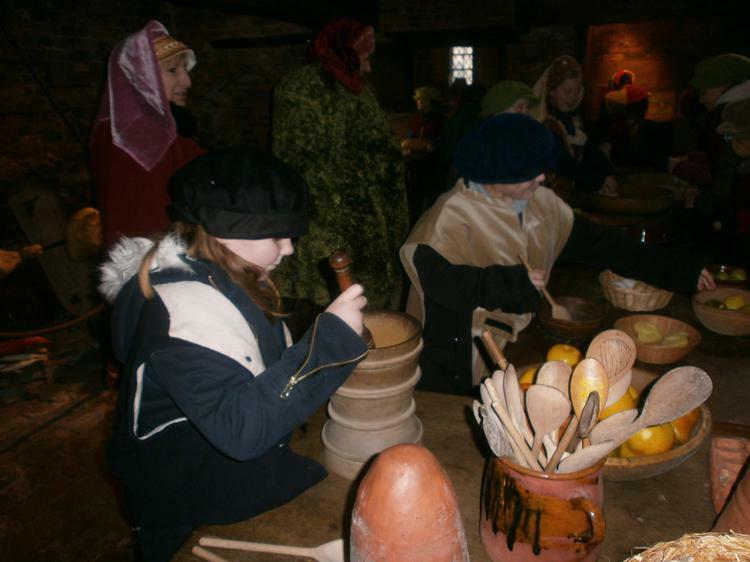 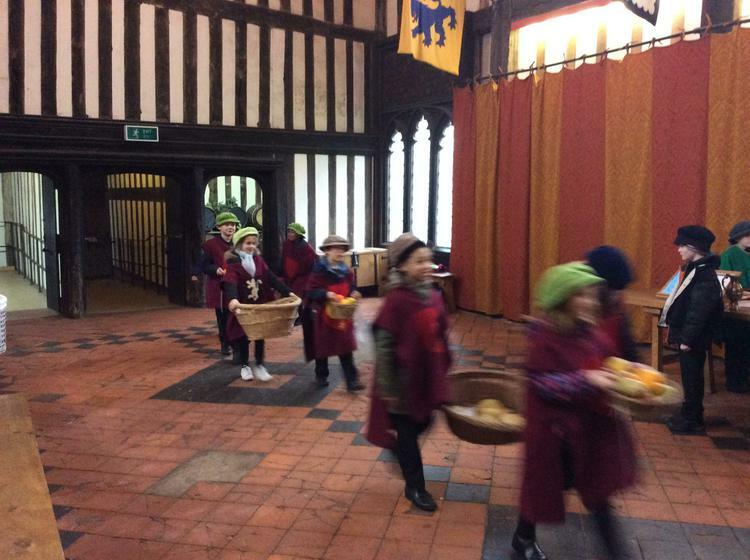 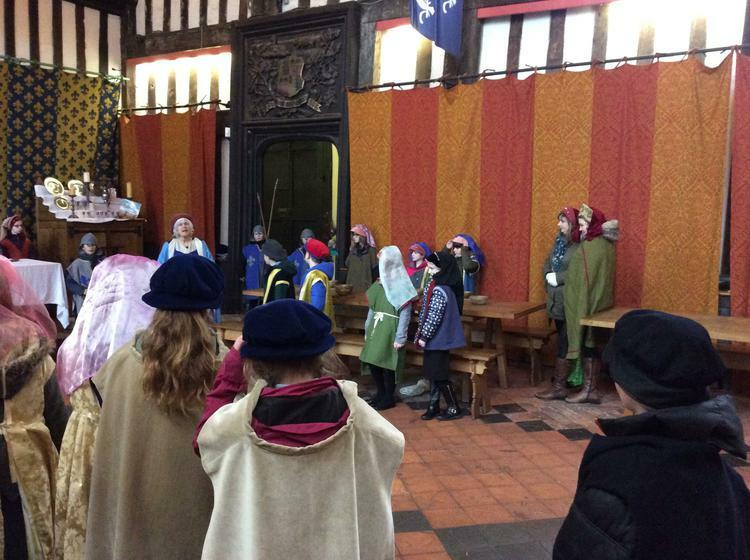 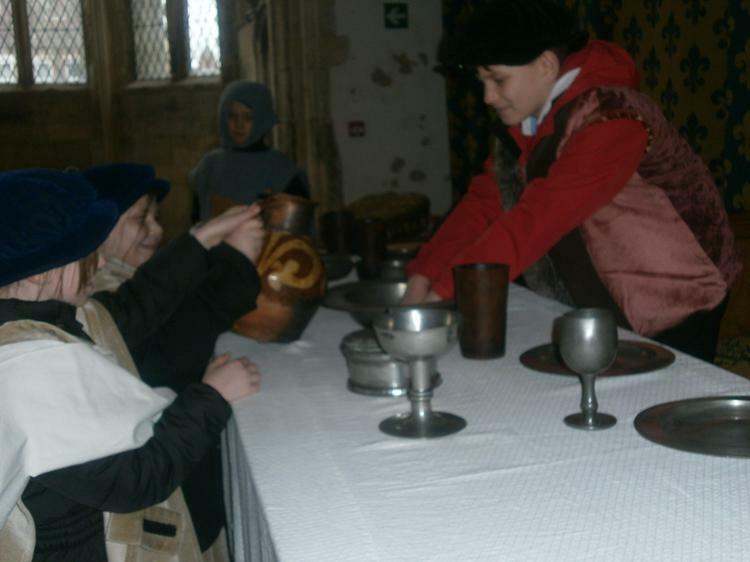 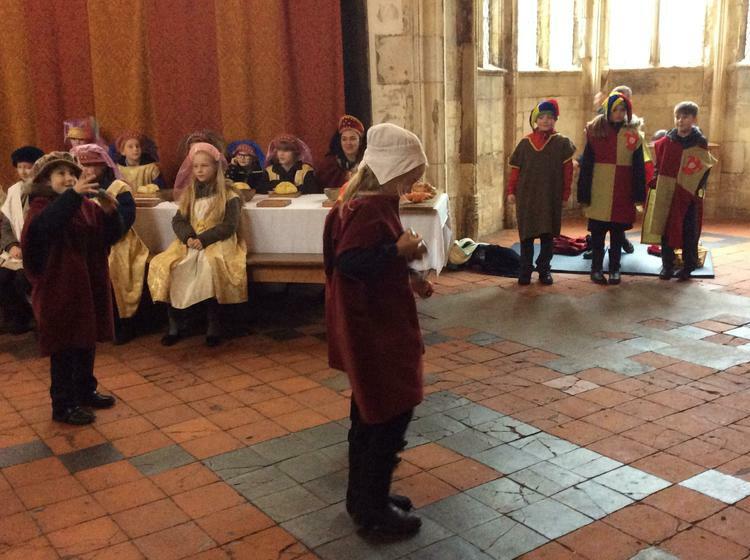 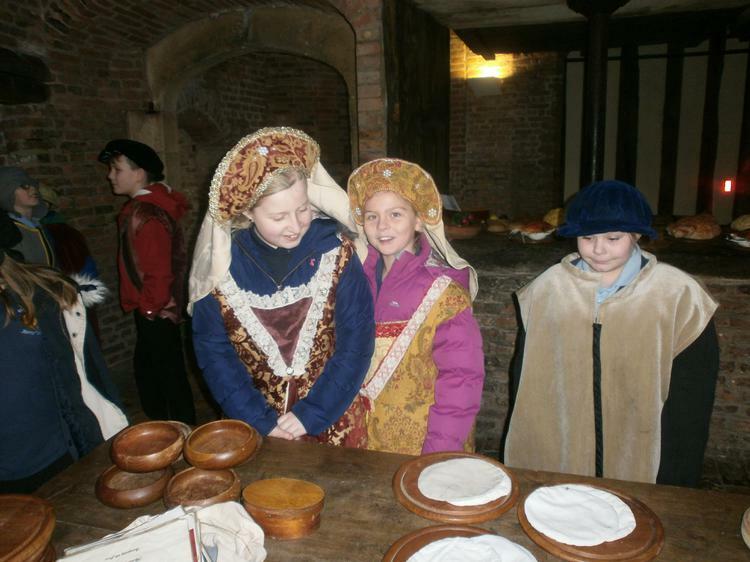 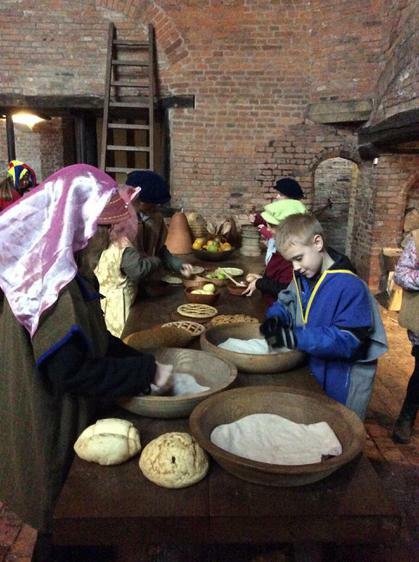 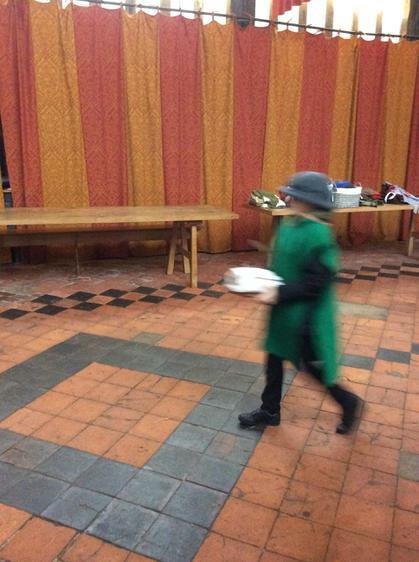 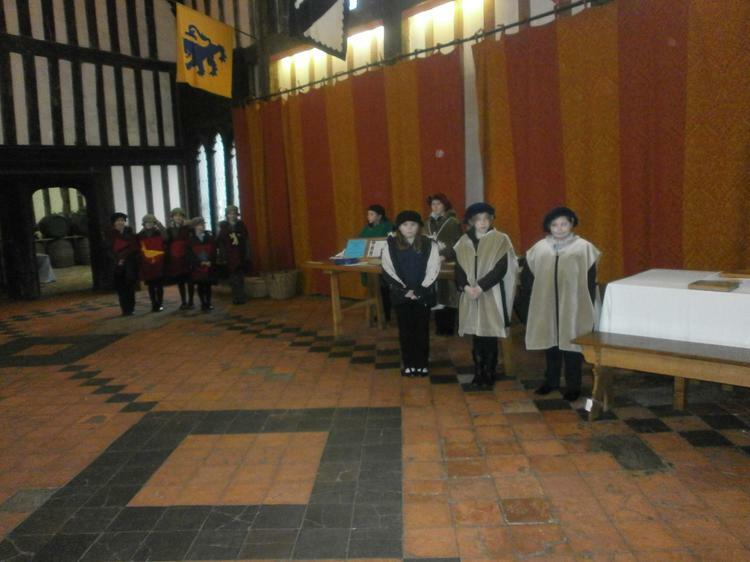 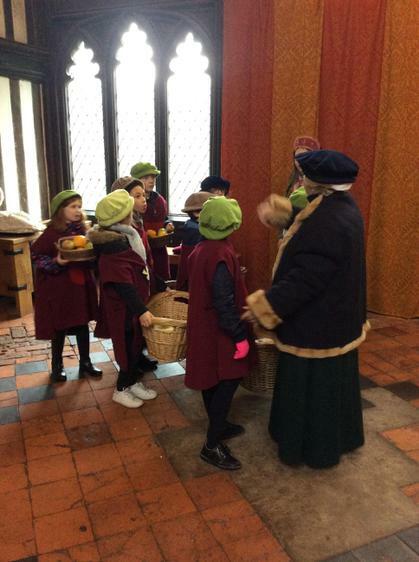 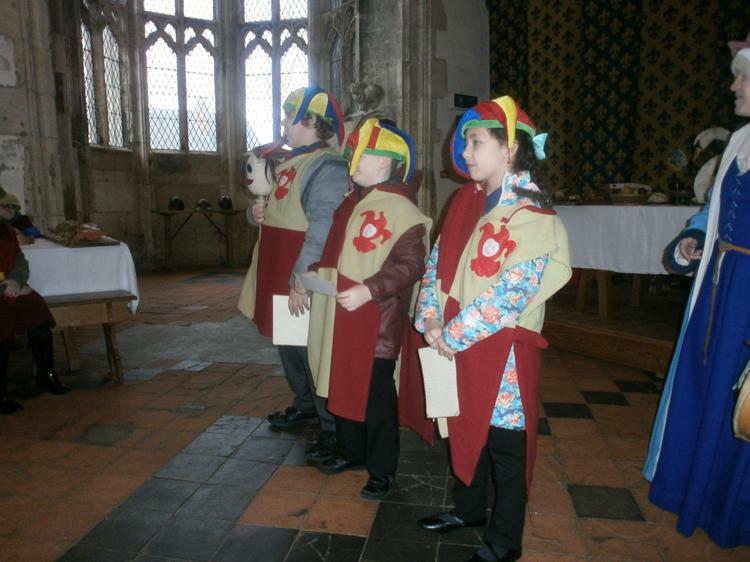 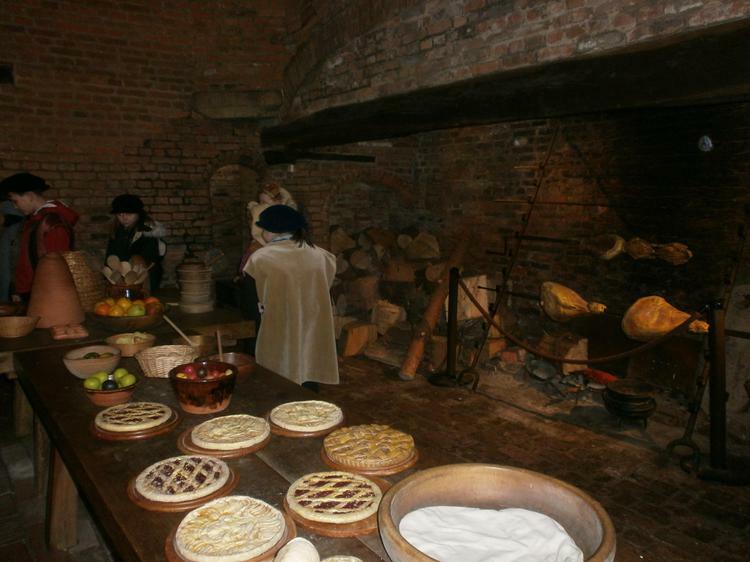 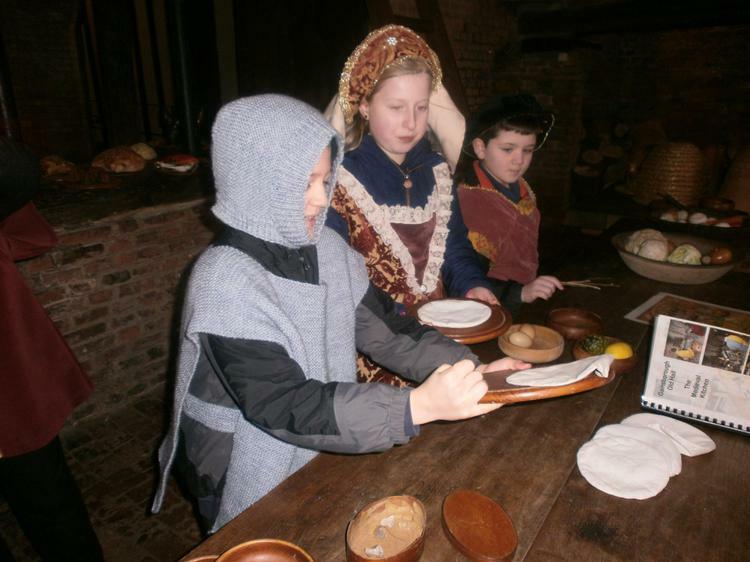 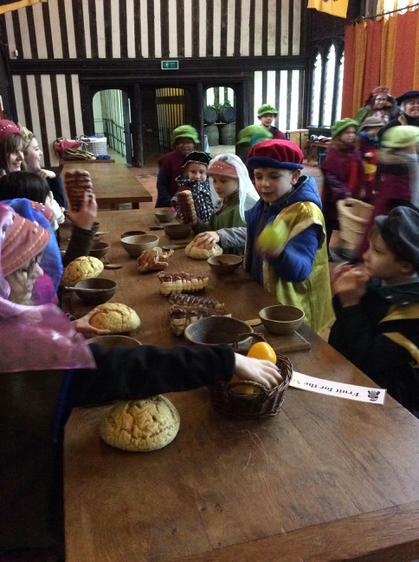 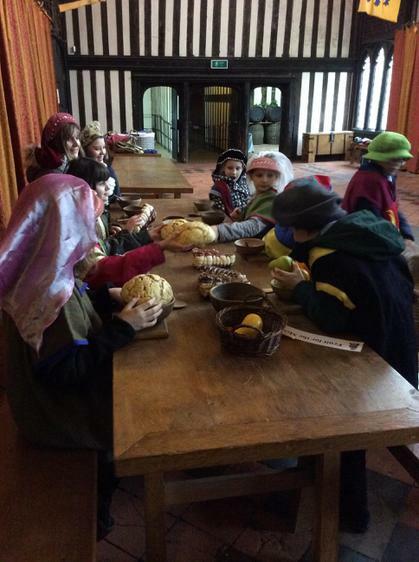 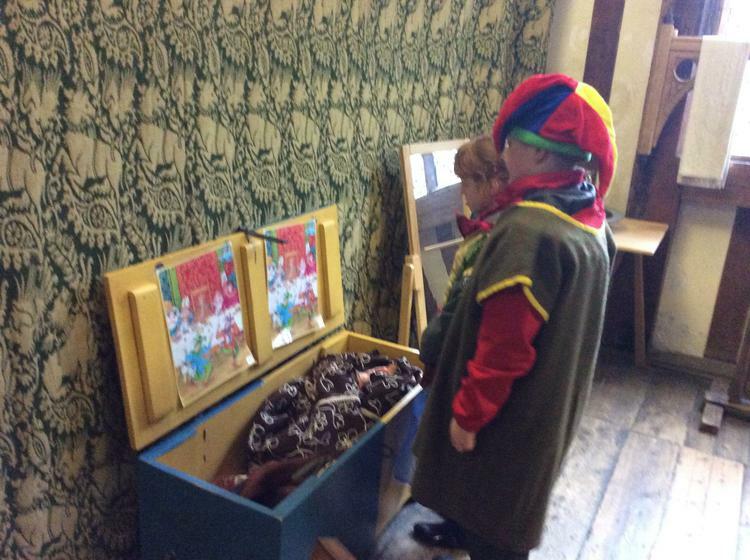 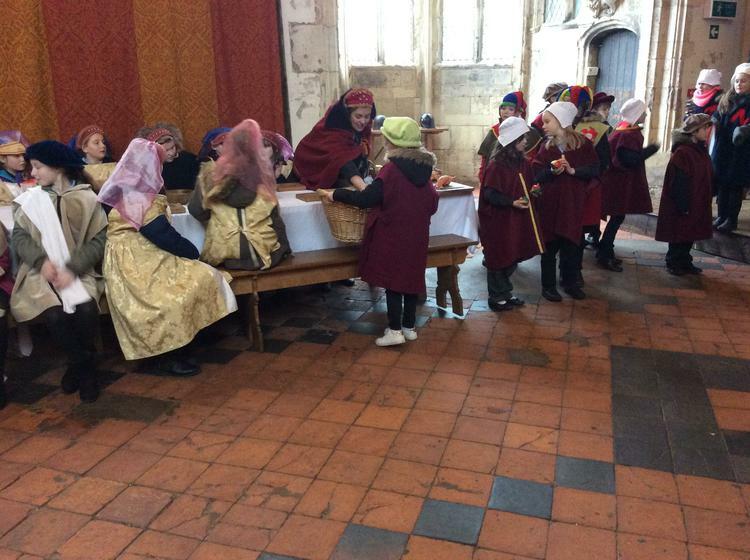 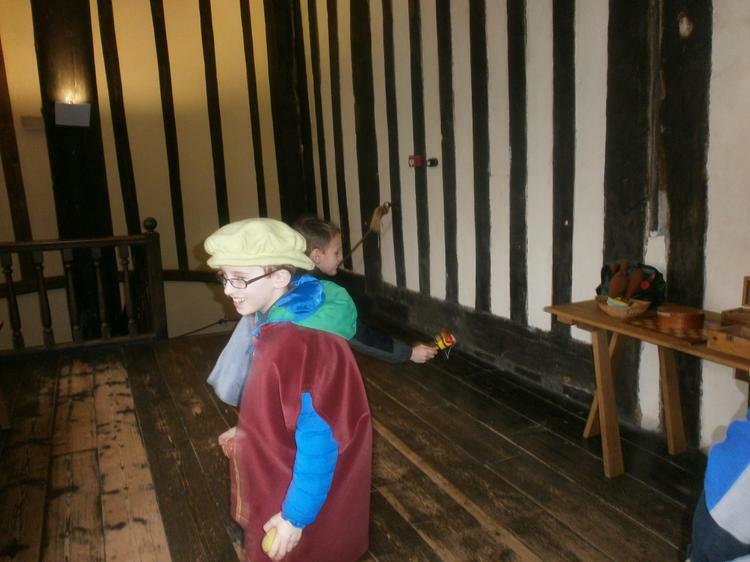 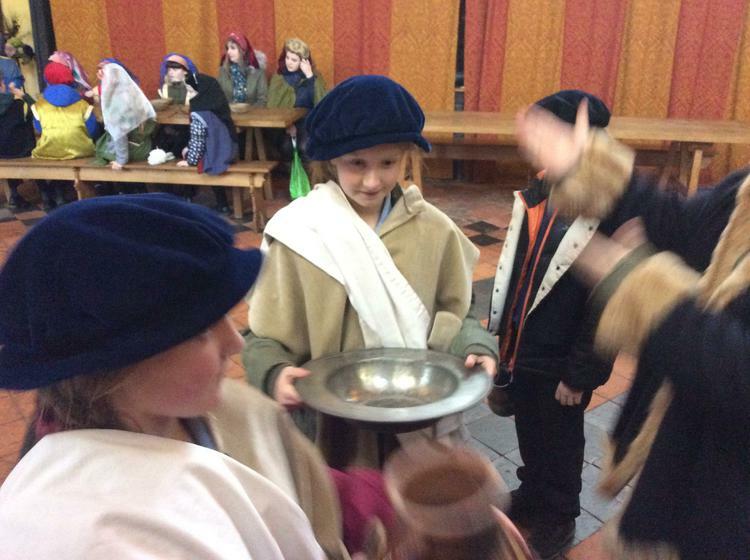 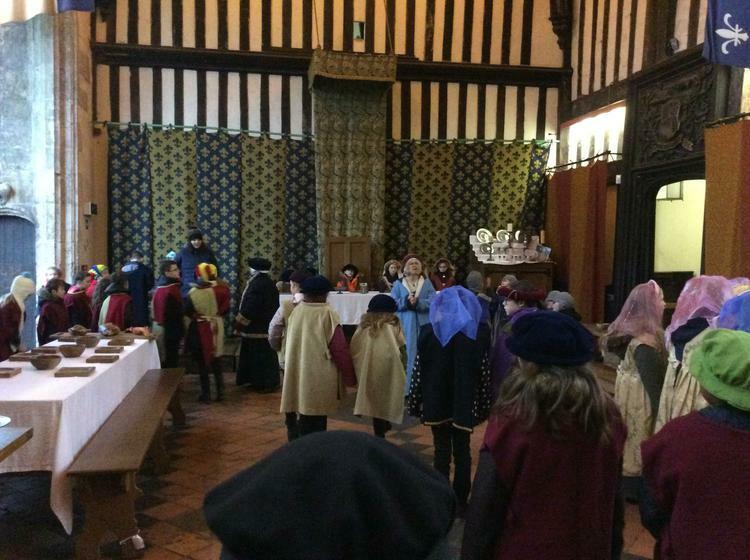 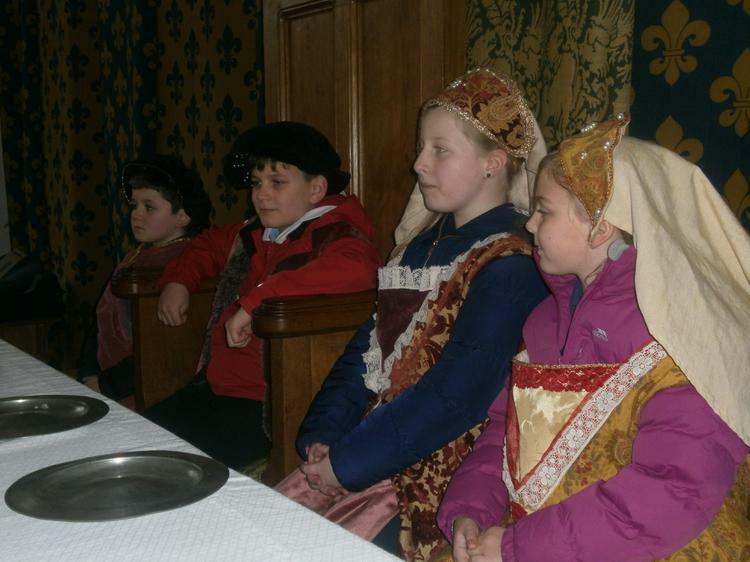 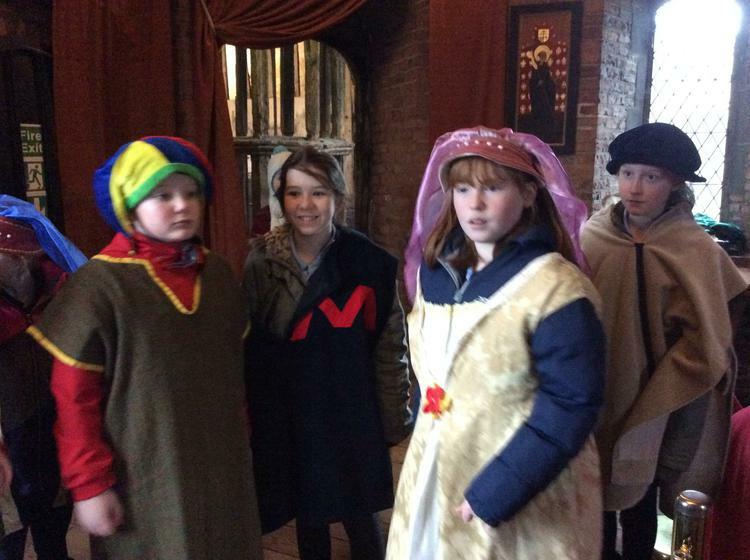 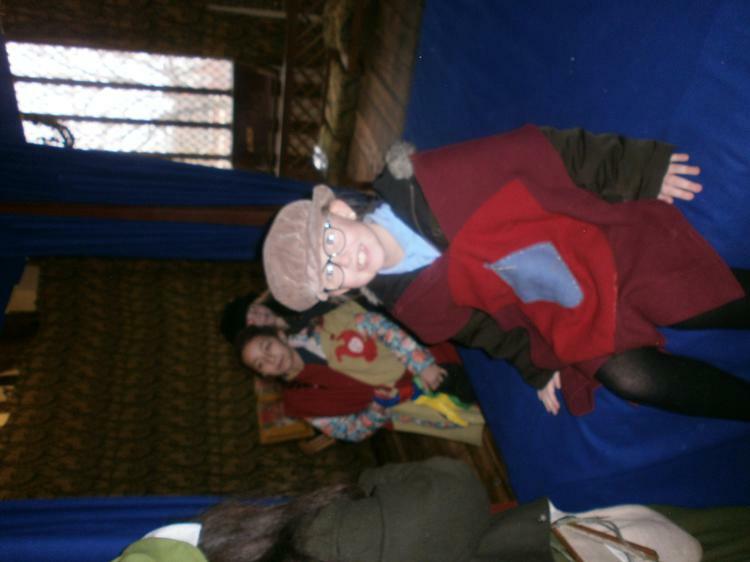 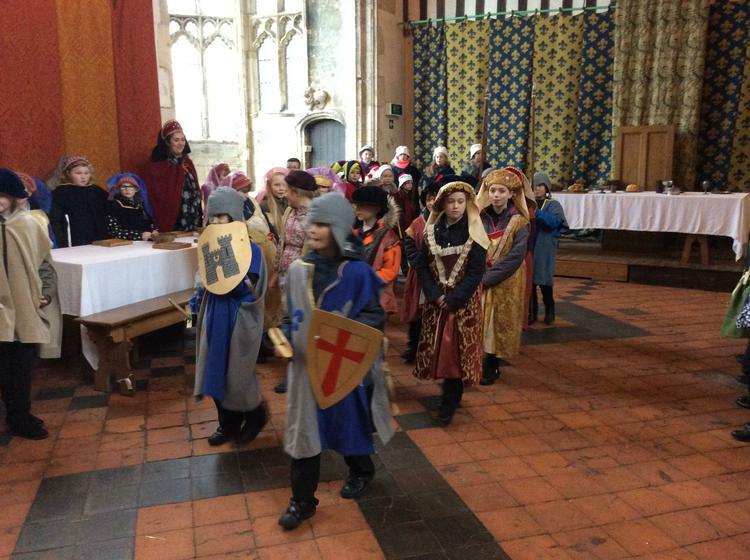 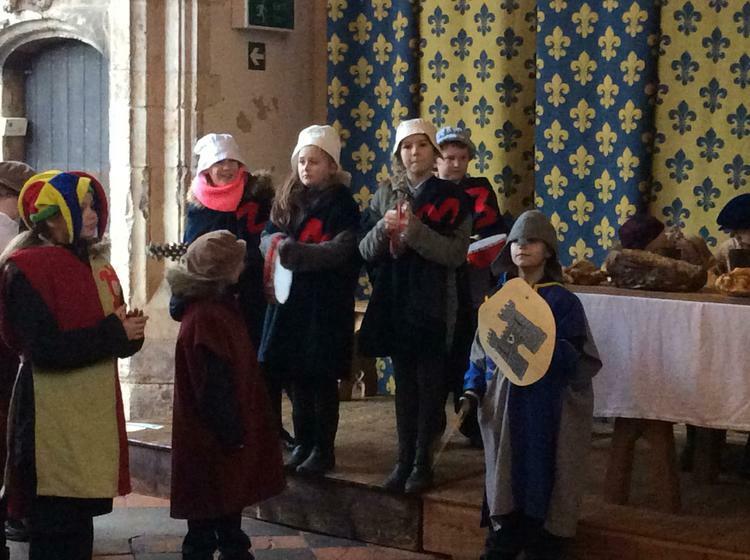 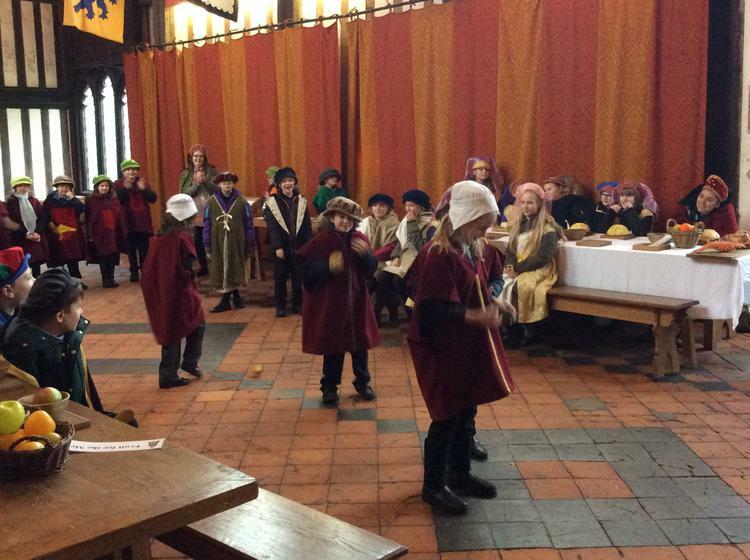 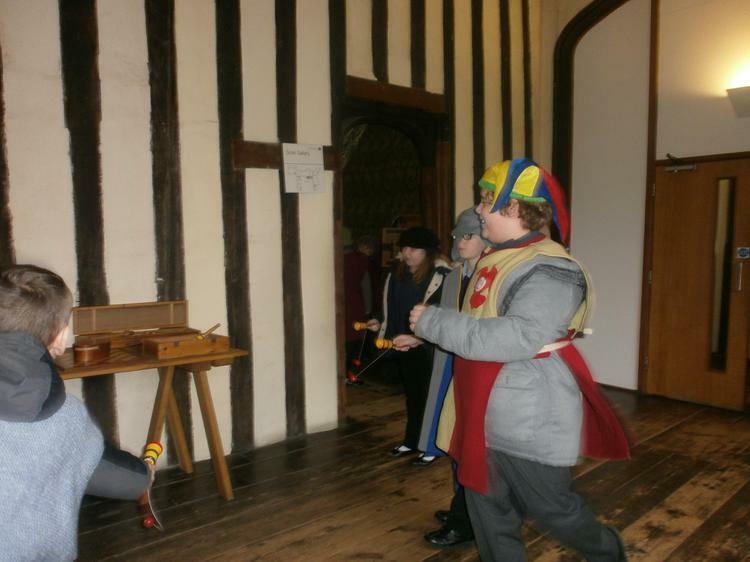 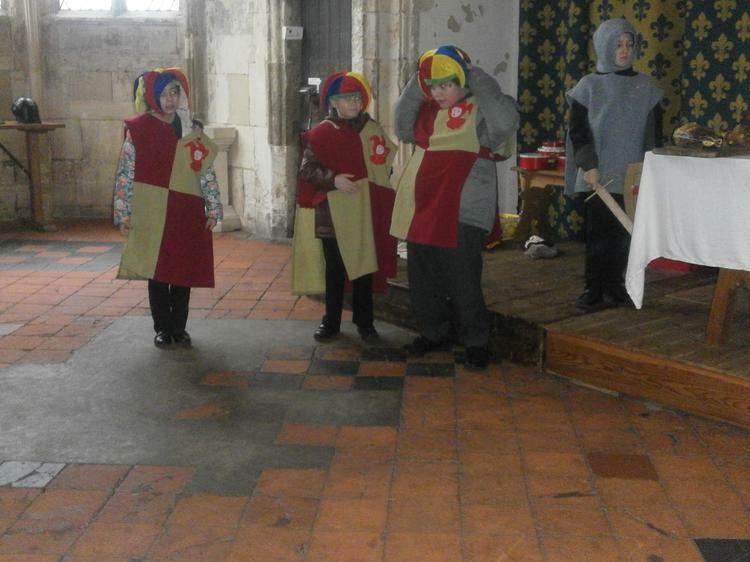 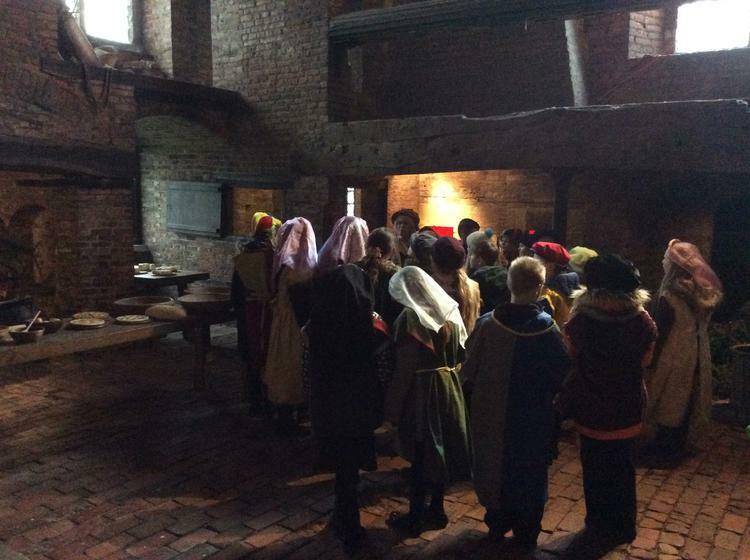 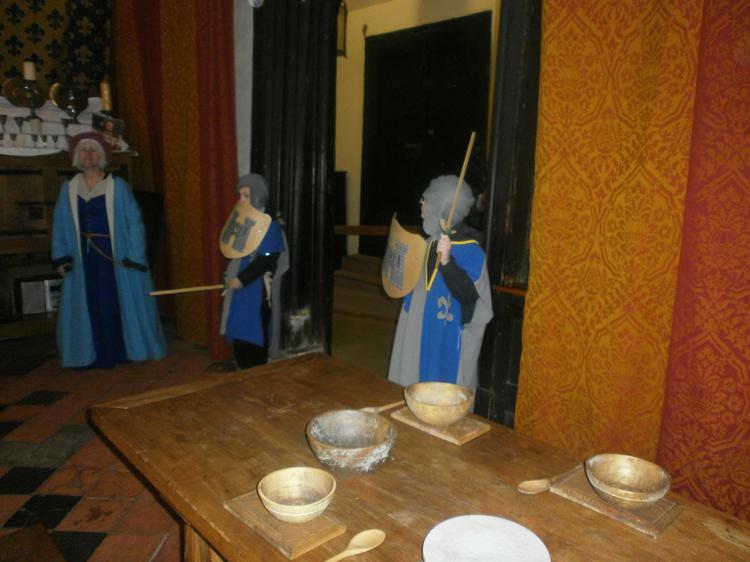 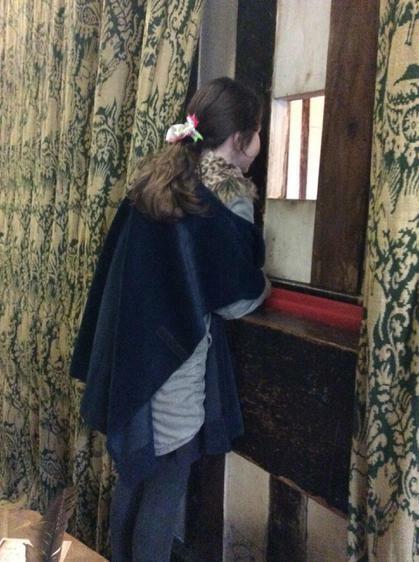 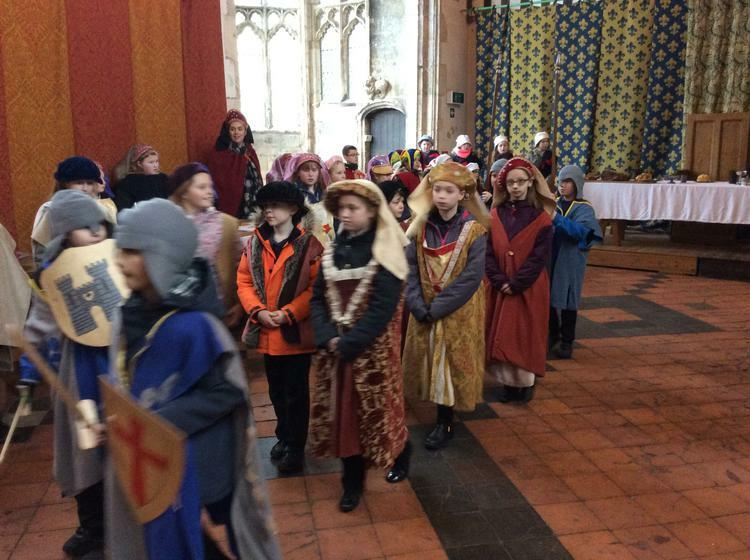 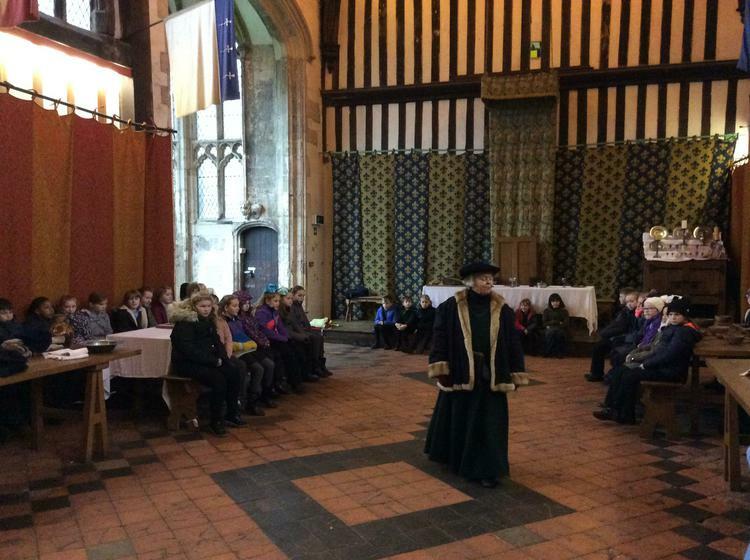 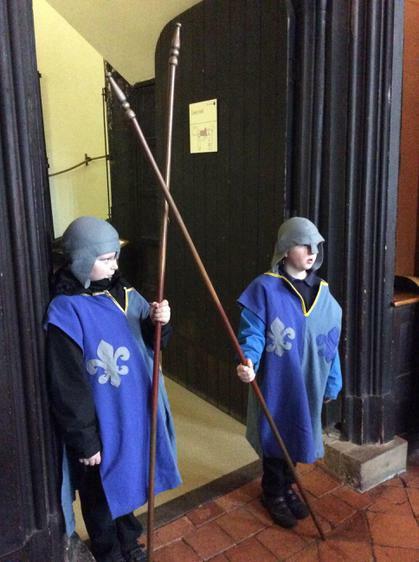 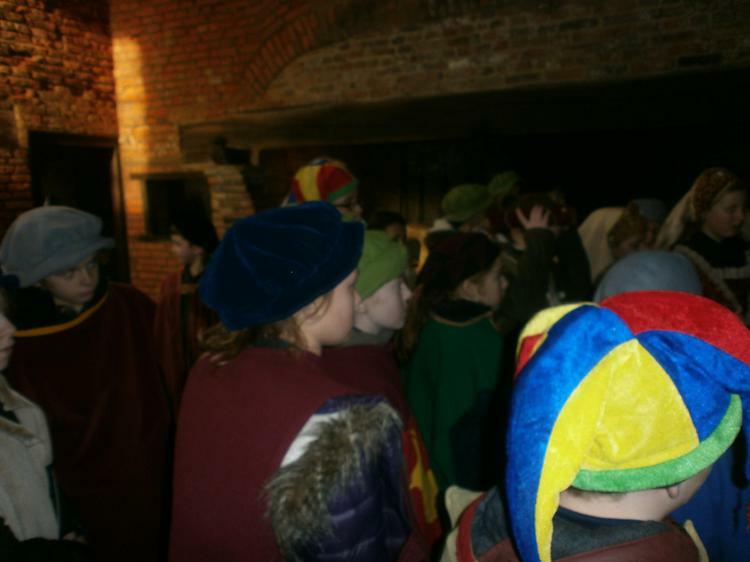 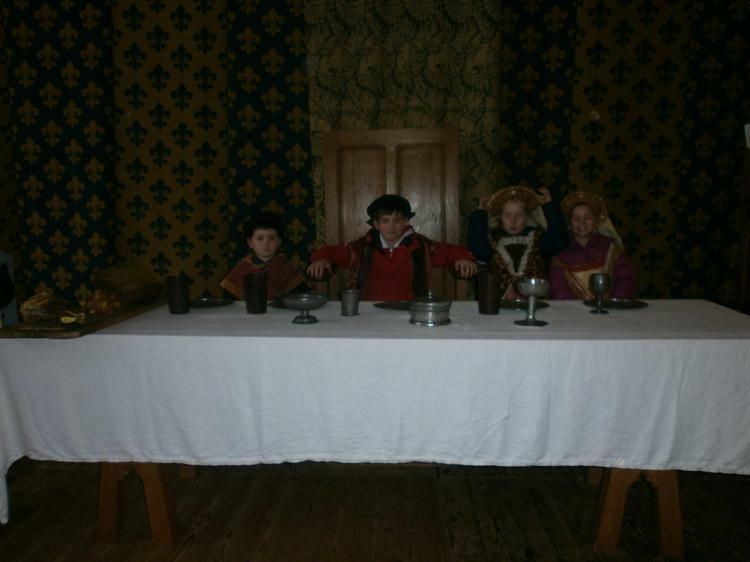 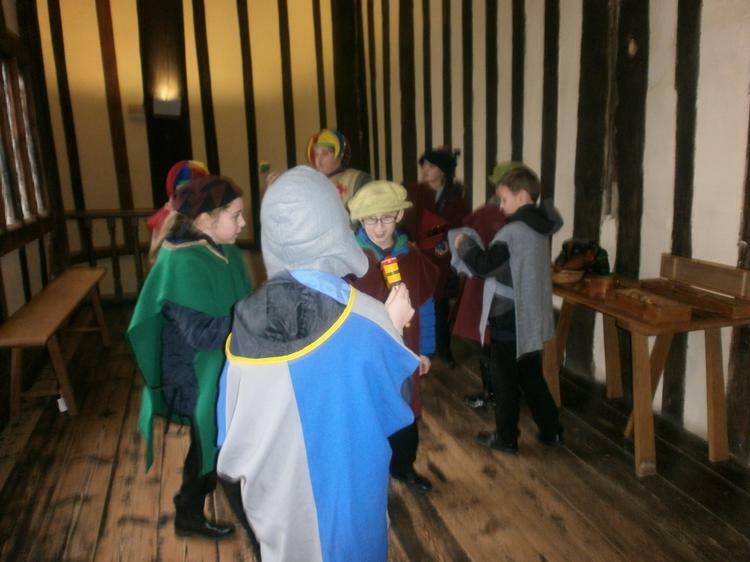 exploring the hall and re-enacting King Henry VIII's banquet. 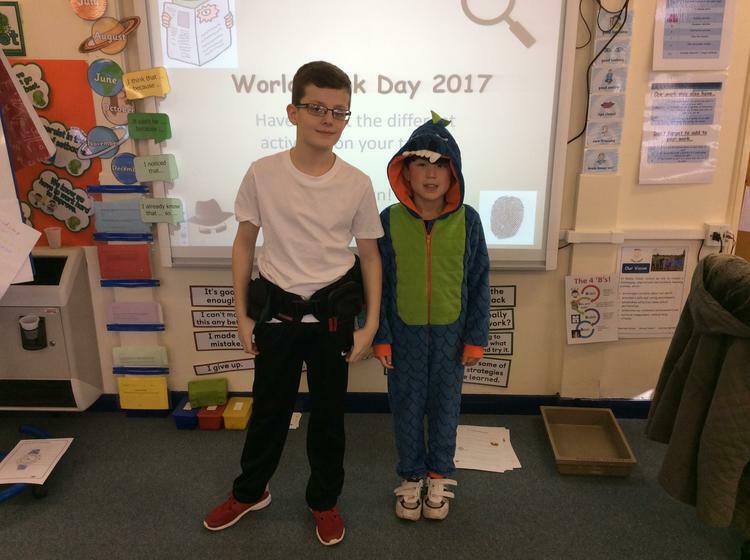 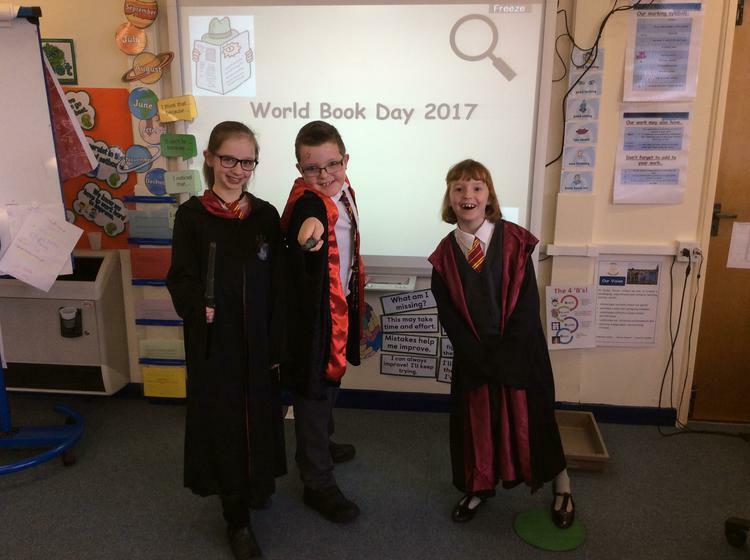 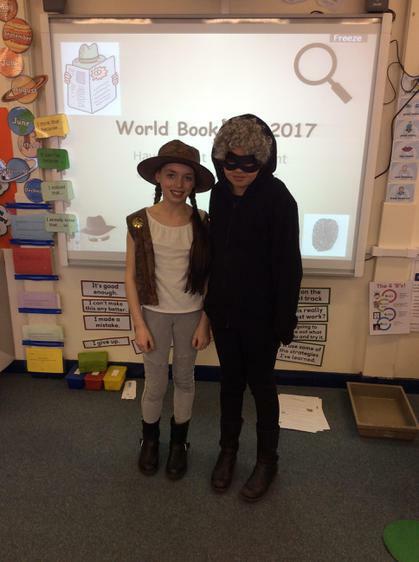 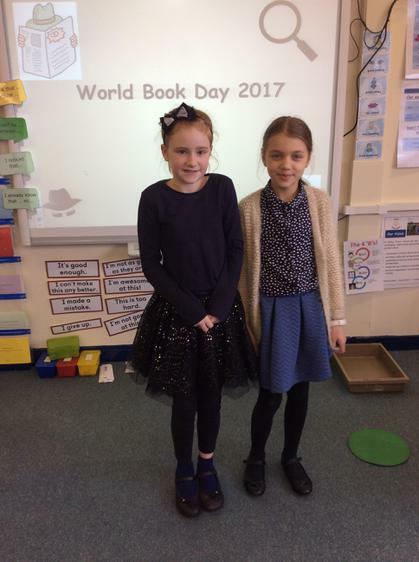 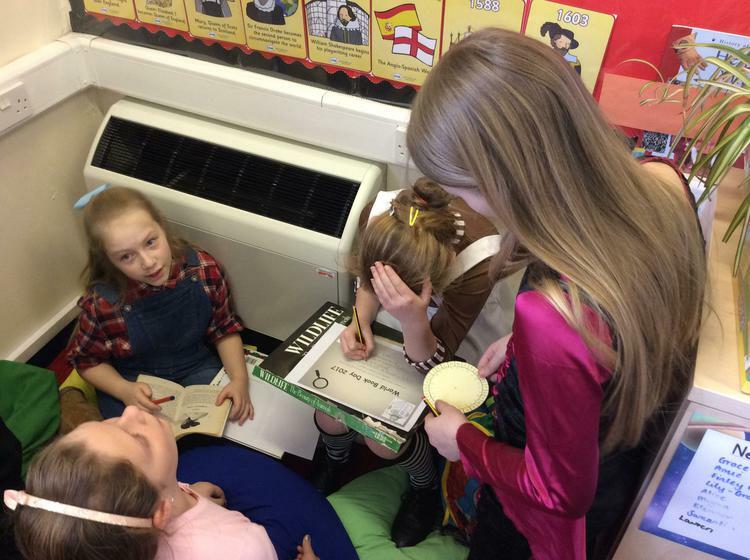 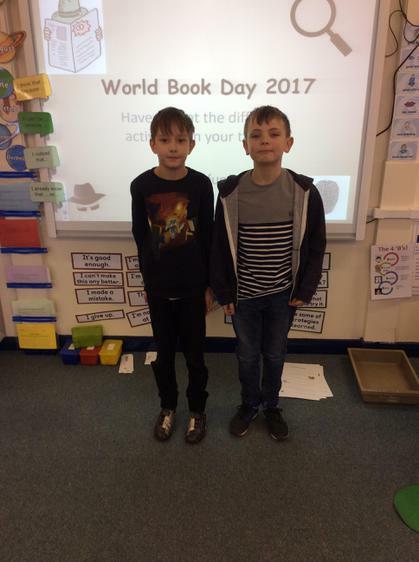 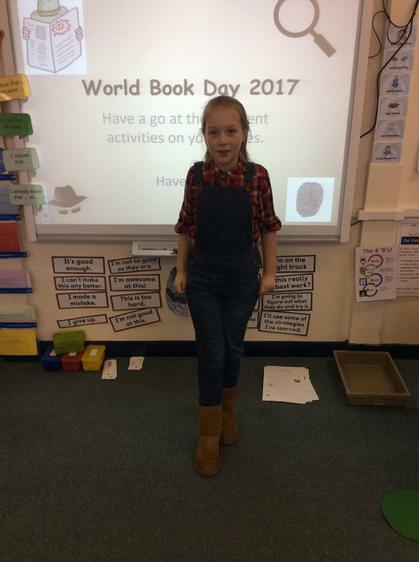 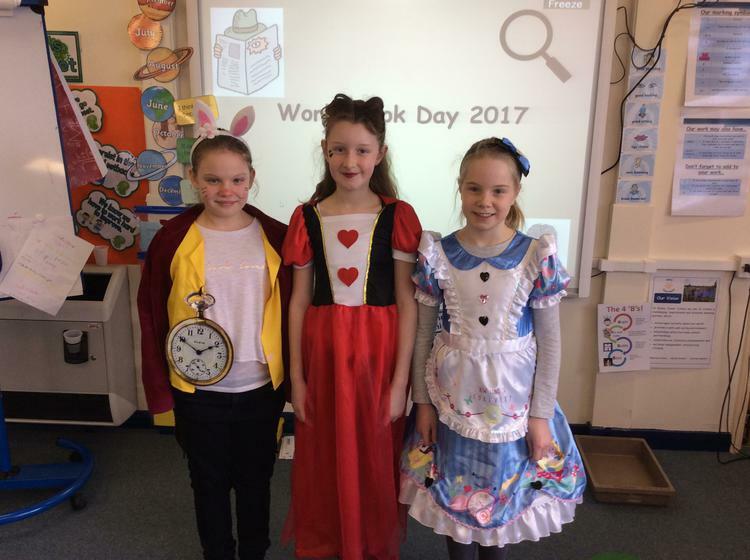 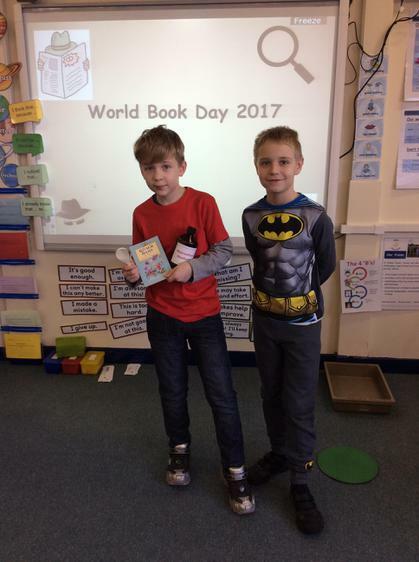 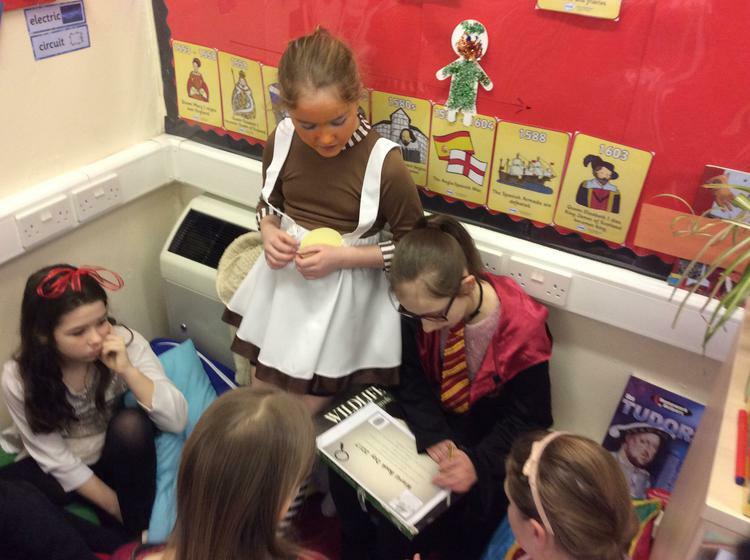 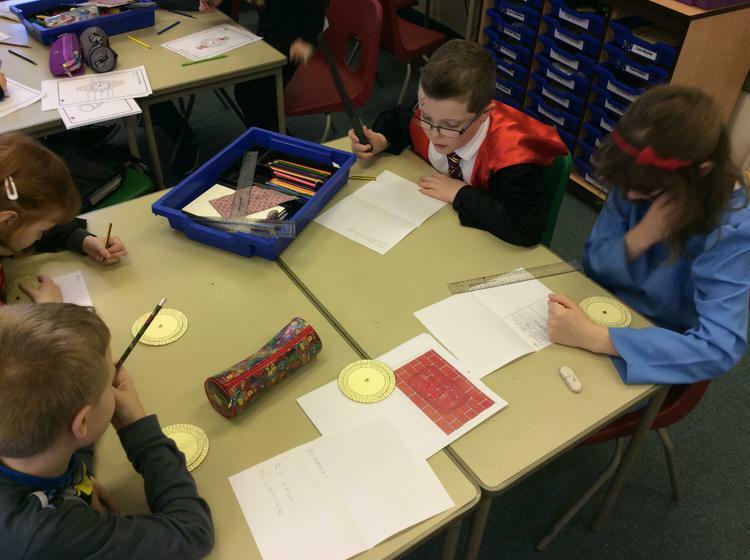 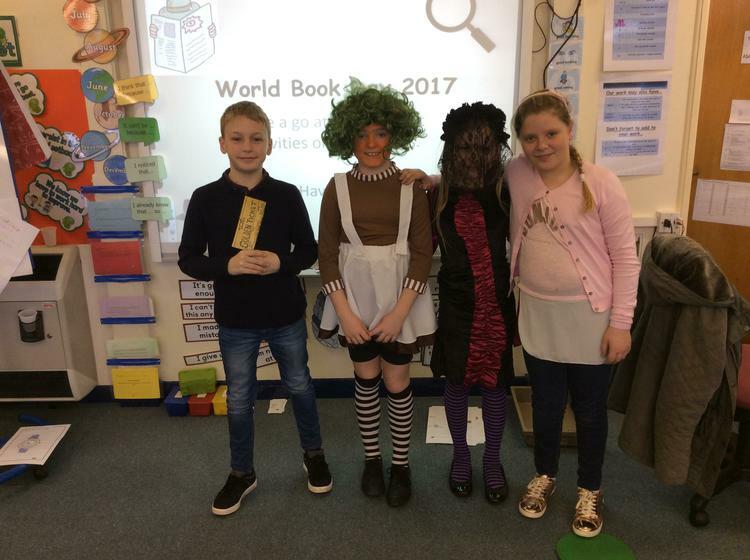 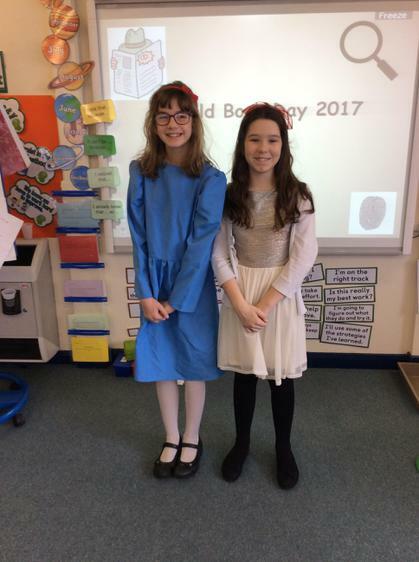 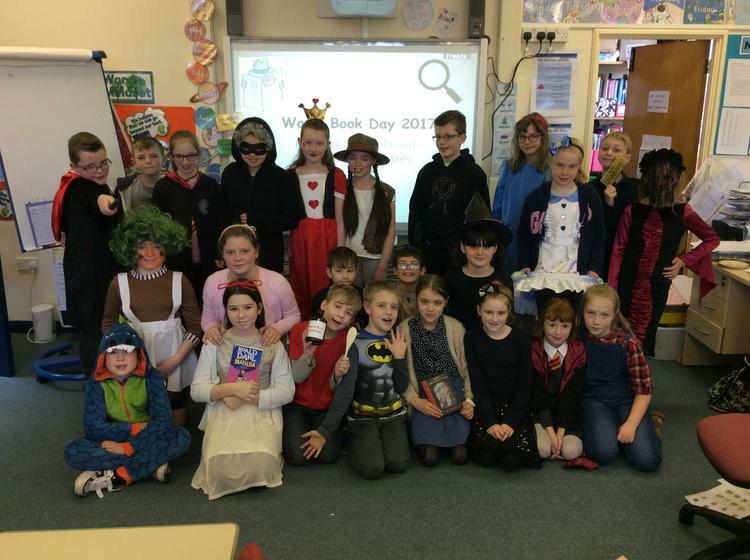 5RT's version of The Ambassadors..
Year 5 had a great time dressing up for World Book Day and taking part in activities based on books by the author Malorie Blackman. 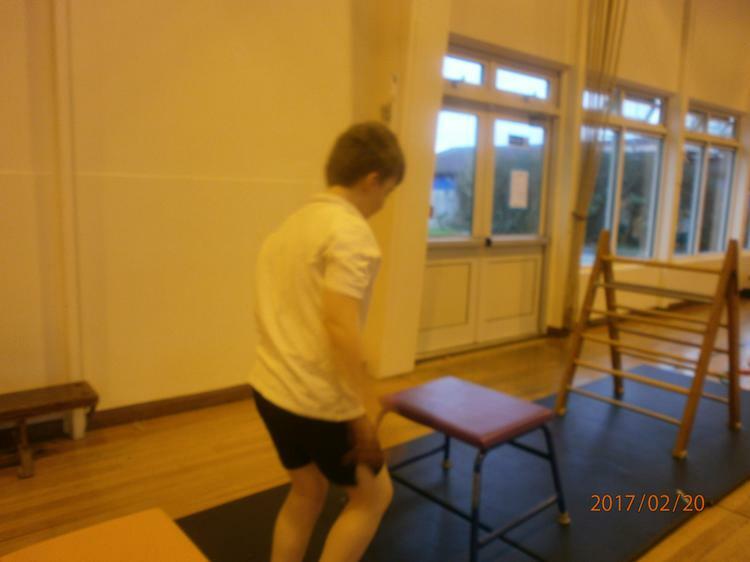 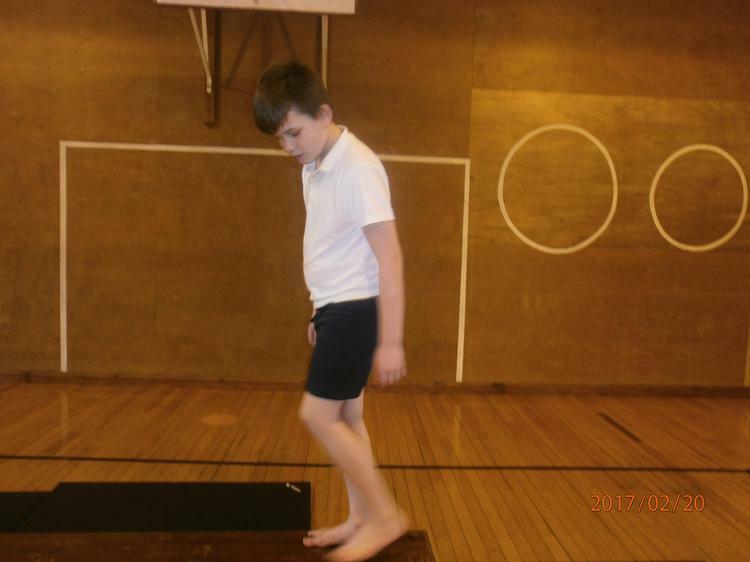 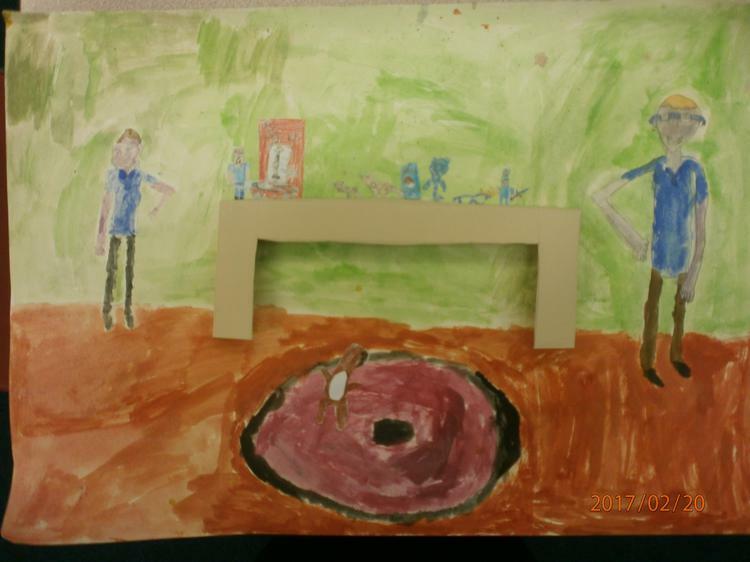 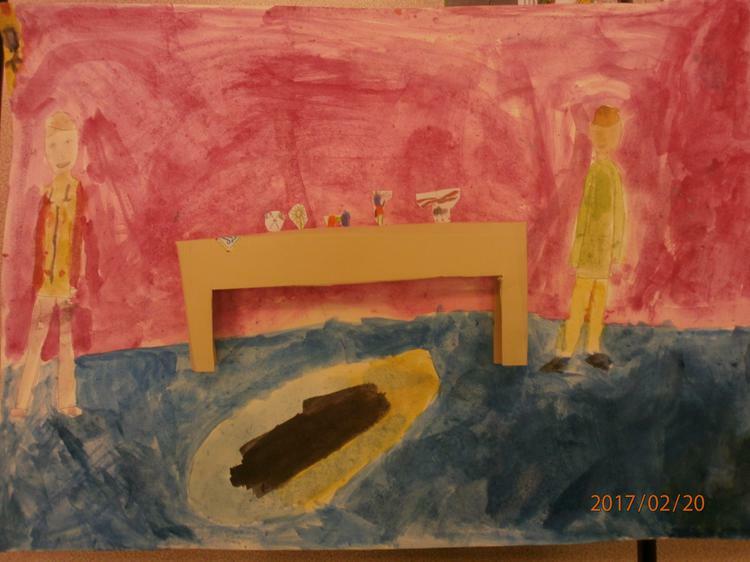 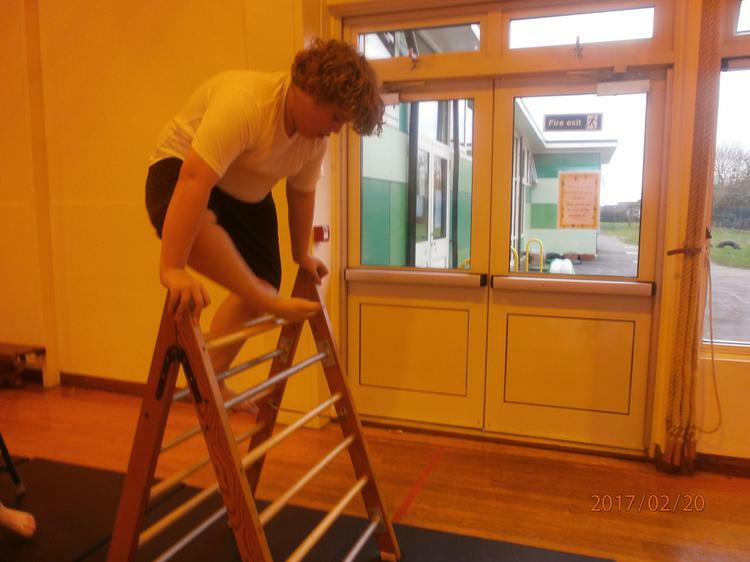 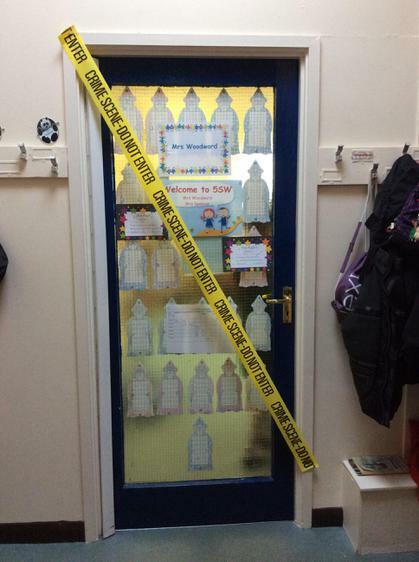 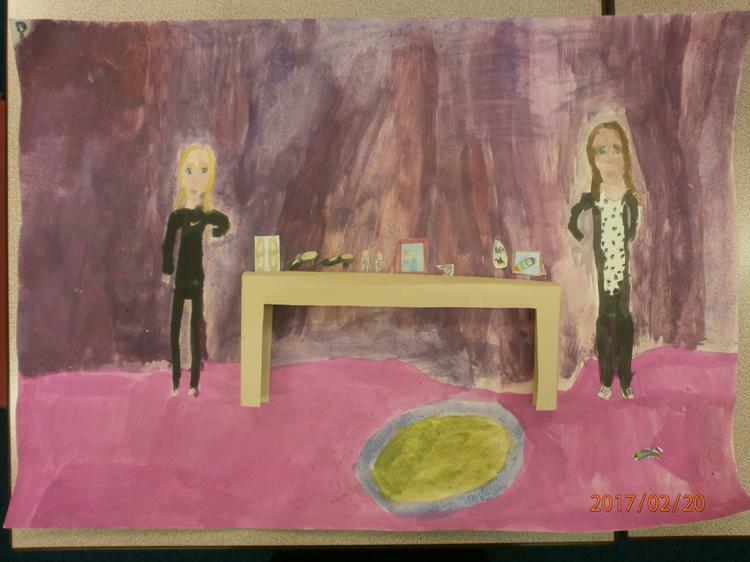 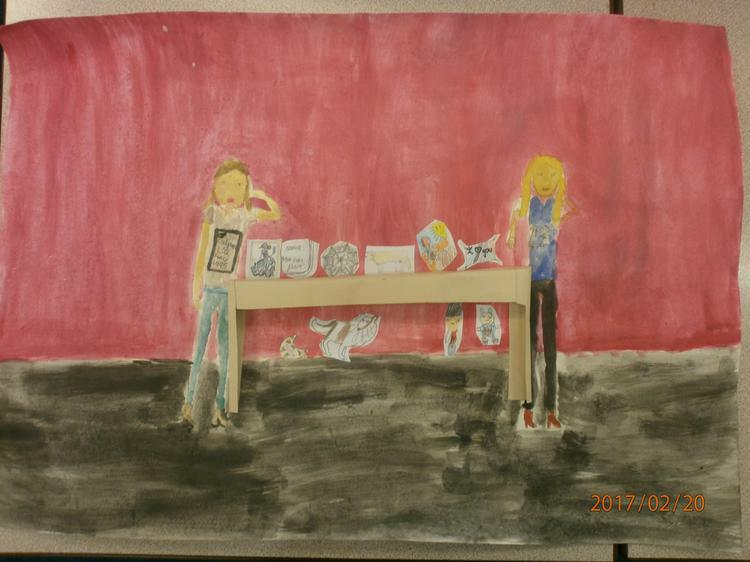 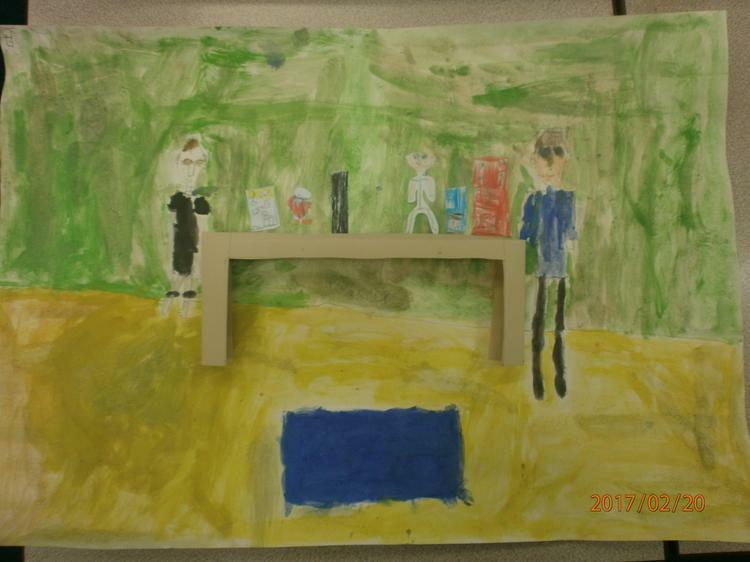 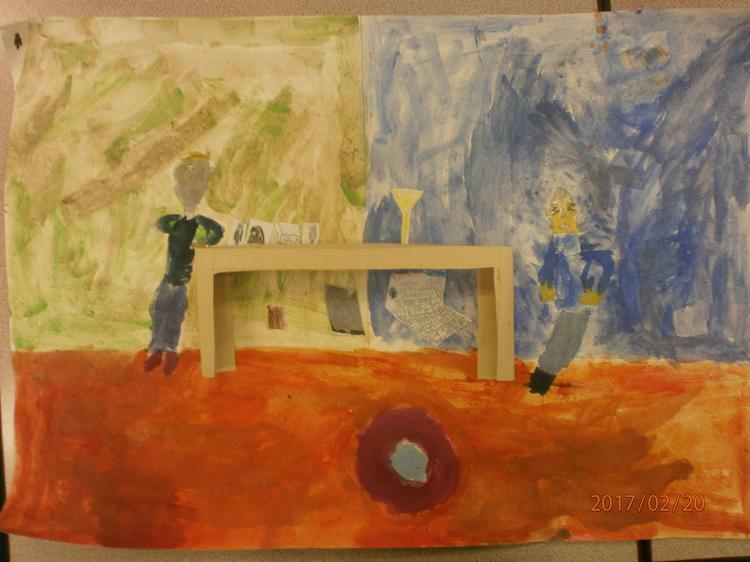 5SW approached the classroom to discover a crime had been committed and they had to use their detective skills to solve the crime and bring the criminal to justice! 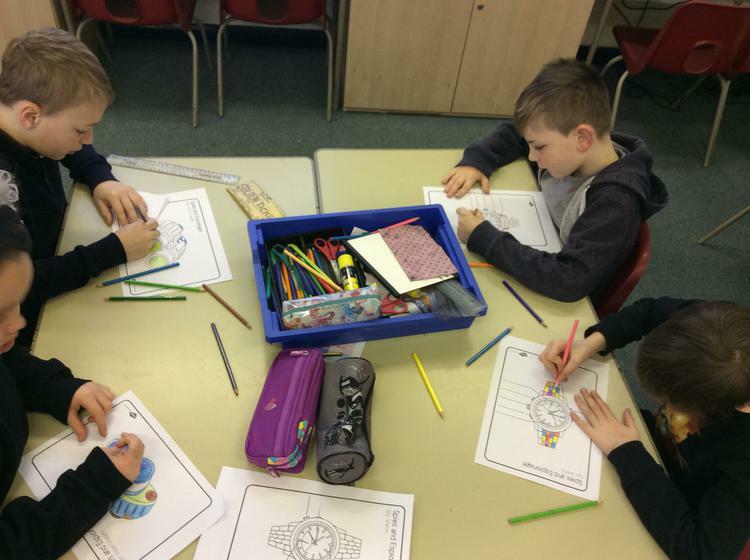 We all had a lot of fun solving codes, taking the fingerprints of some suspects (teachers) and designing spy watches and glasses. 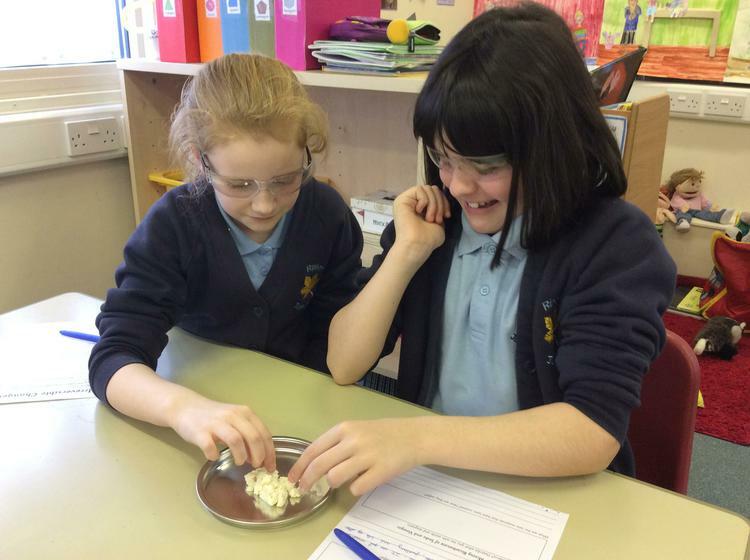 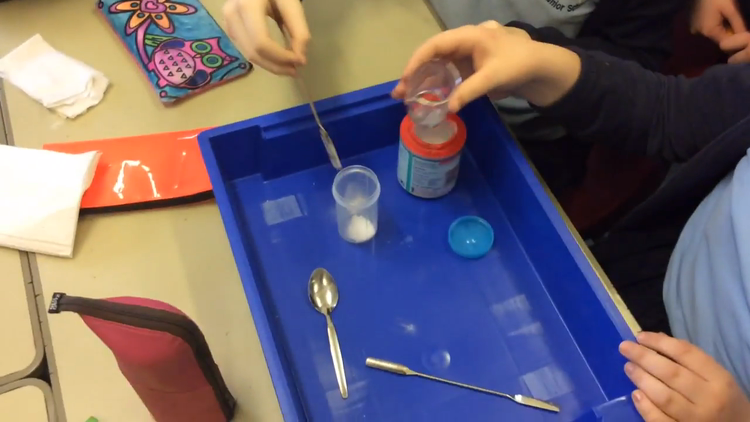 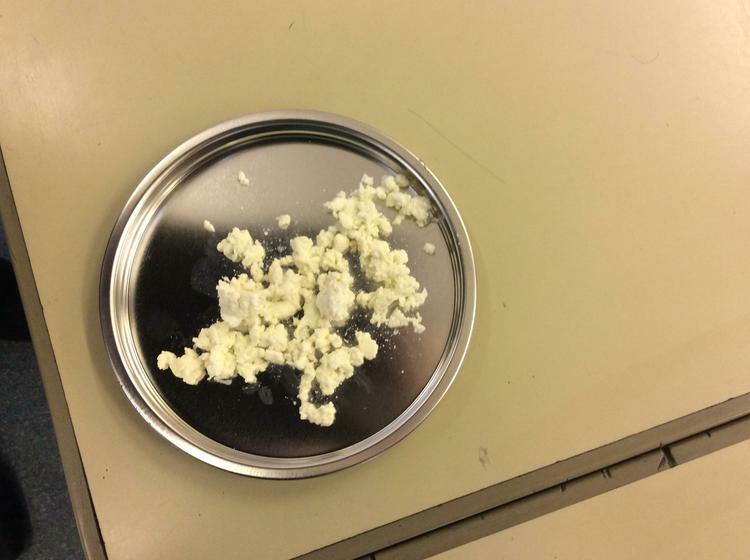 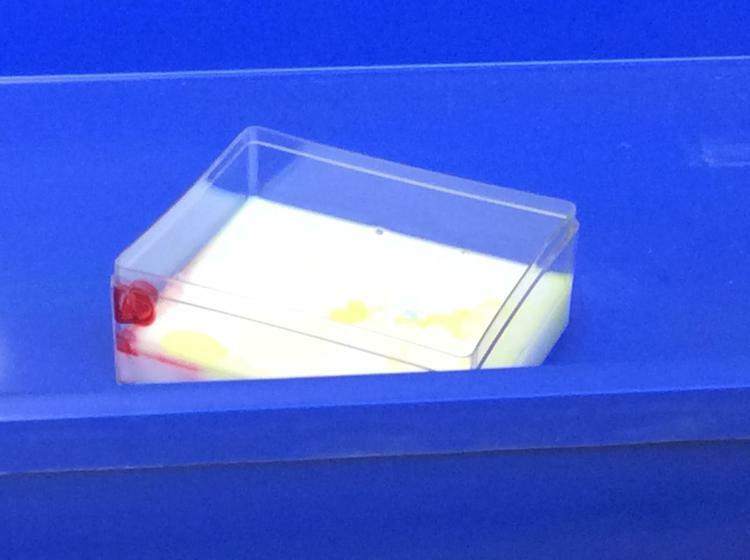 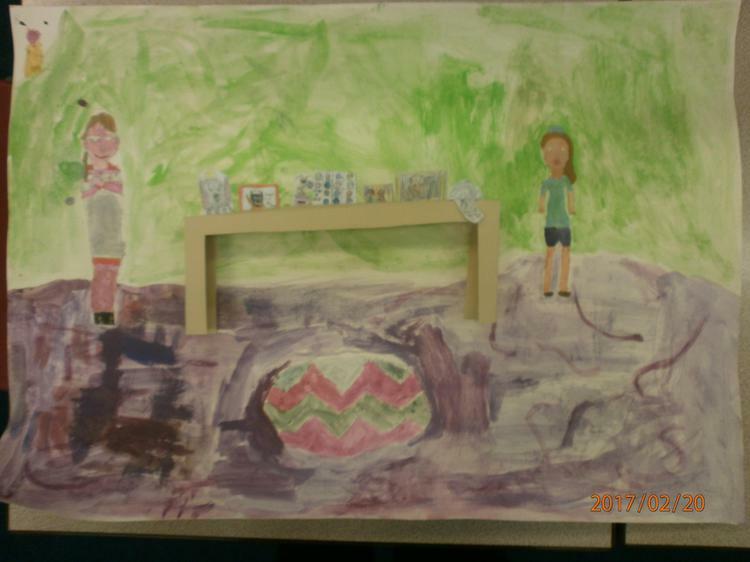 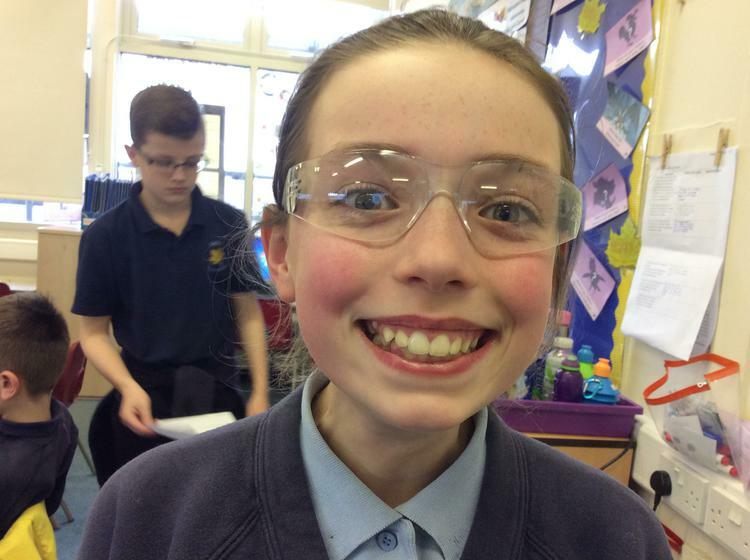 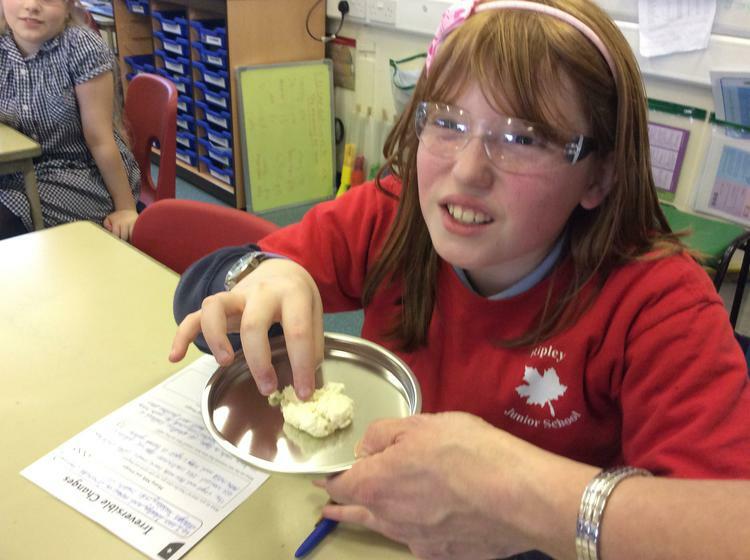 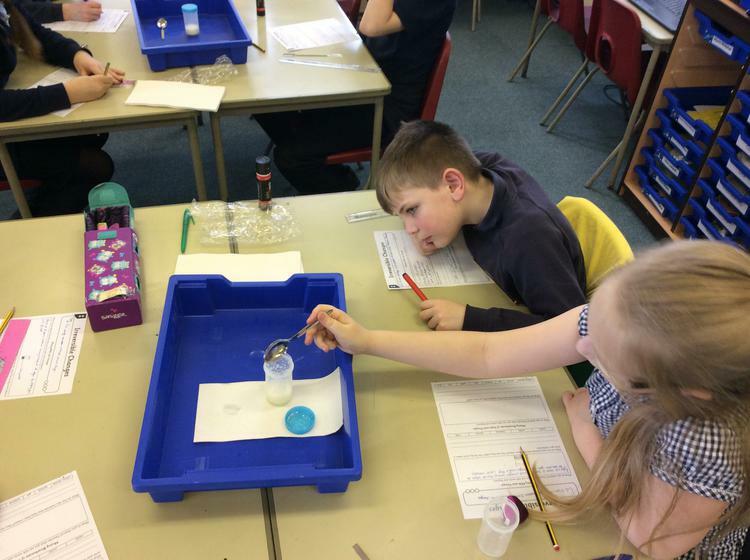 As part of our Science topic on Materials, we investigated what happened when milk and vinegar were mixed together. 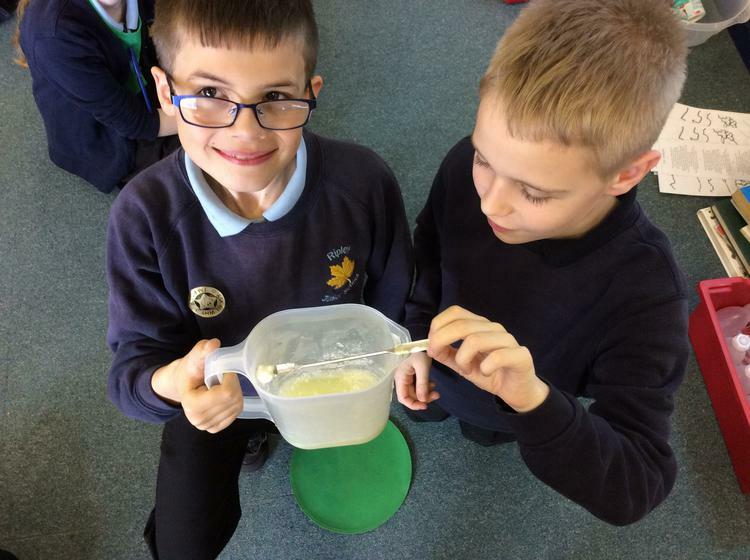 What new product did we make? 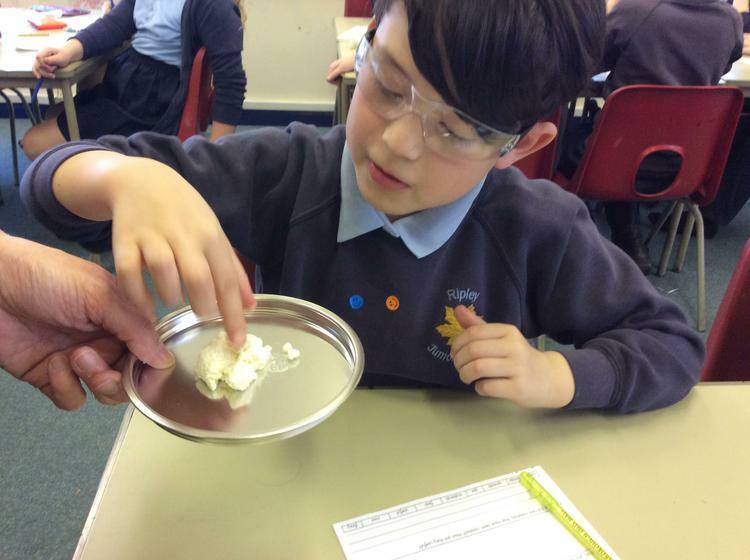 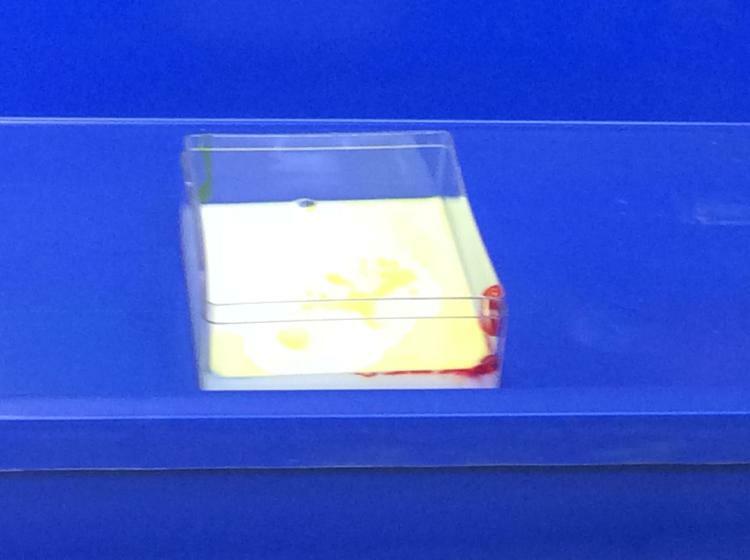 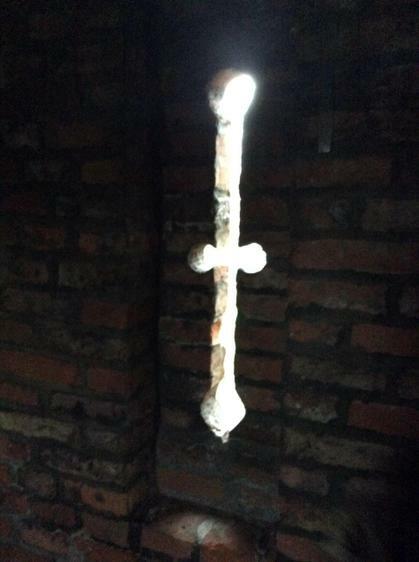 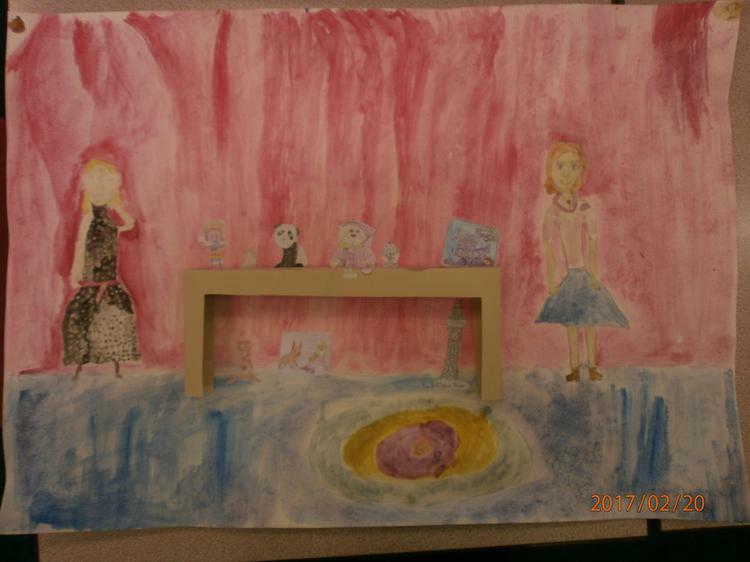 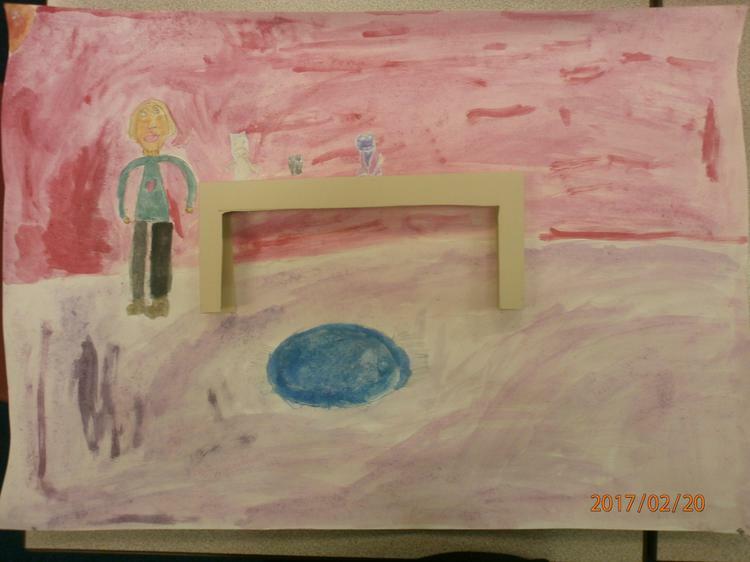 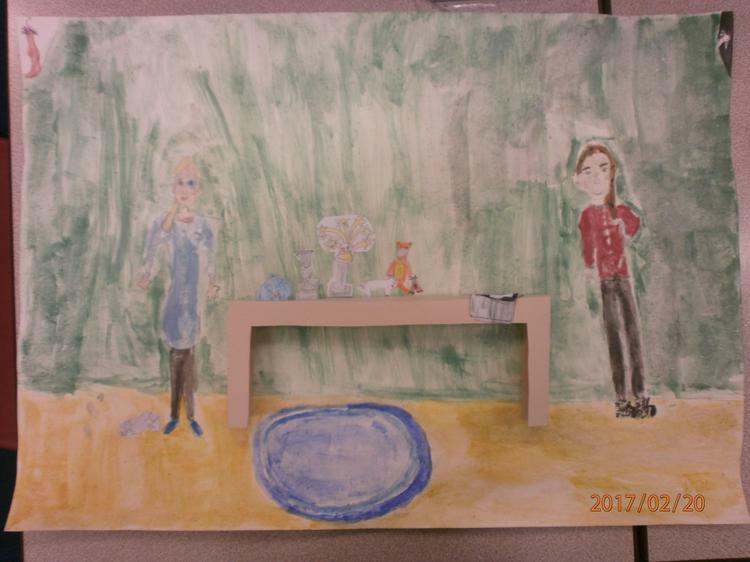 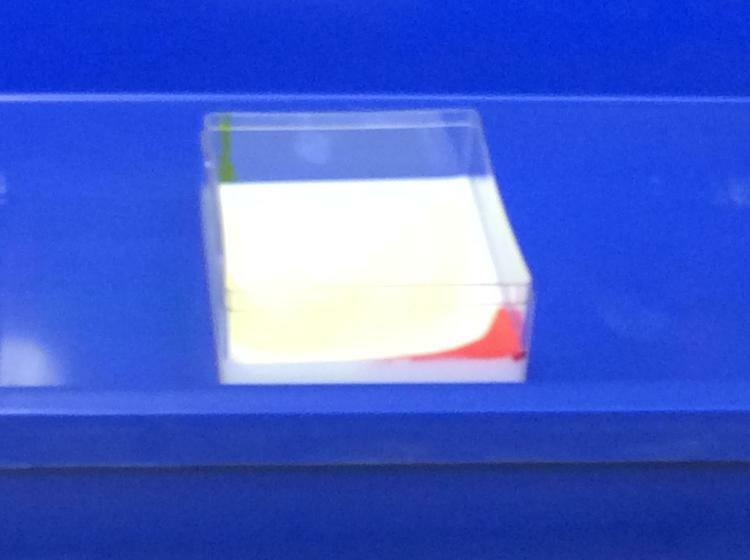 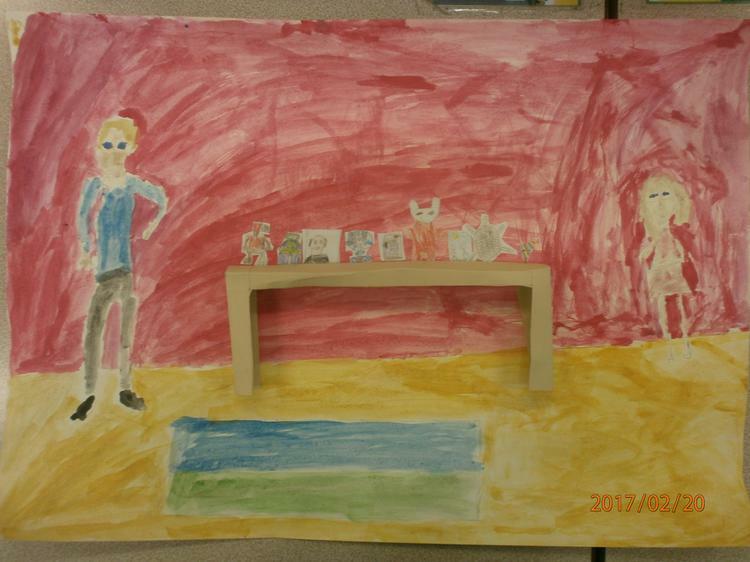 What new product have we made? 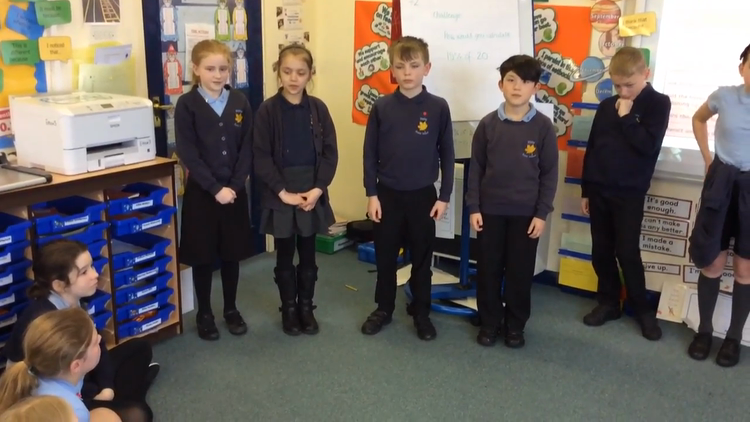 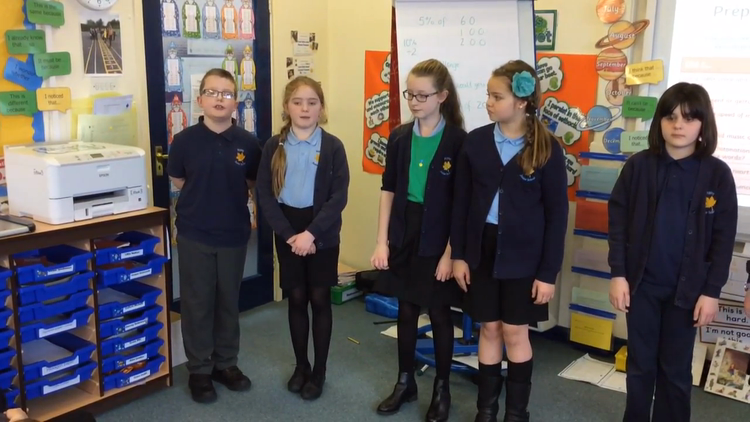 5SW perform their own version of The Bandersnatch written in the same style as The Jabberwocky by Lewis Carroll.